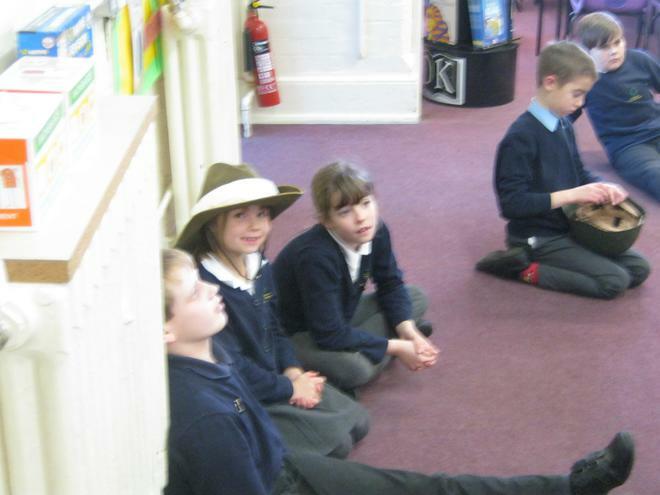 Welcome to Oak Class. 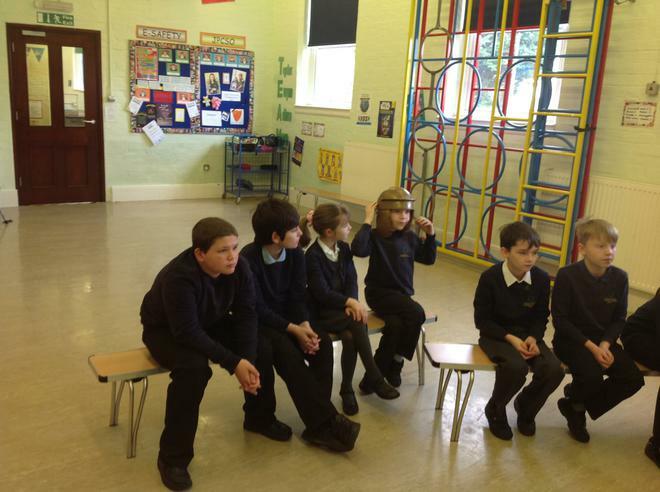 There are 25 Year 4, 5 and 6 pupils in our class. 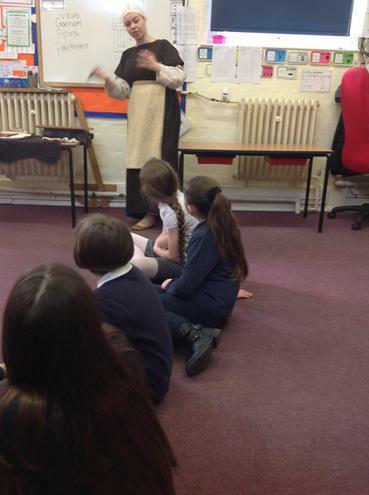 Mr Pollard is the class teacher and our teaching assistants are Mrs Podro and Mrs Smith. 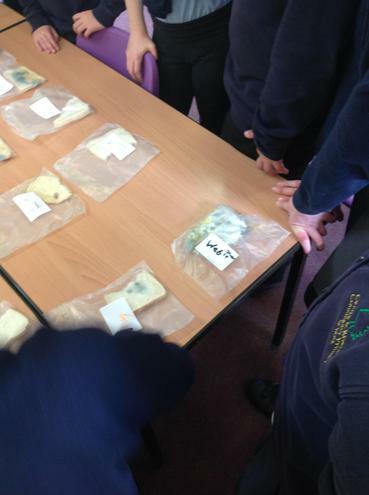 Science this term will allow us the investigate the classification of animals. 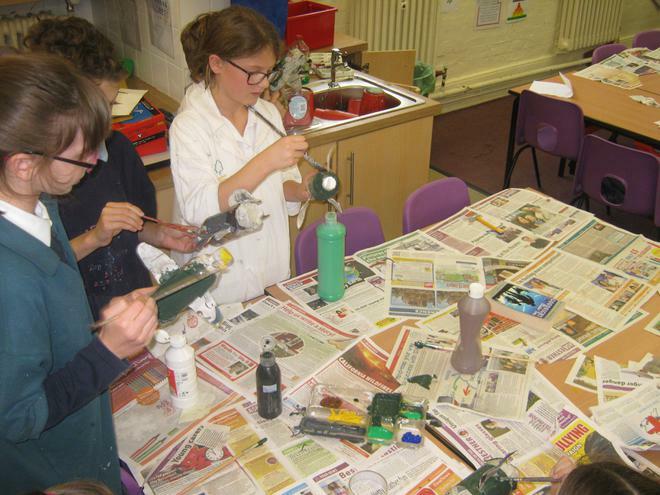 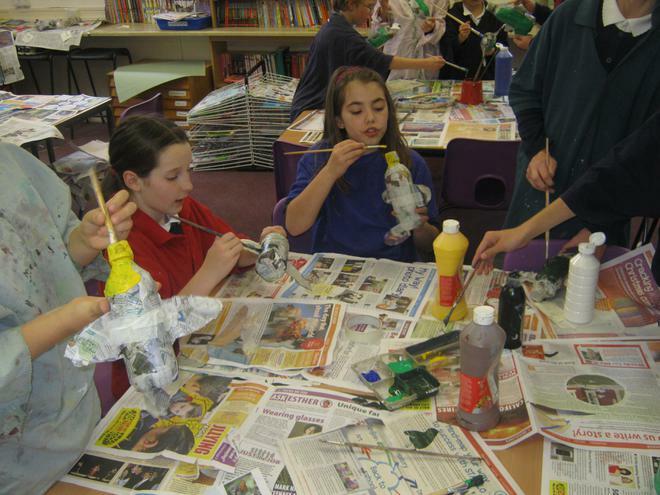 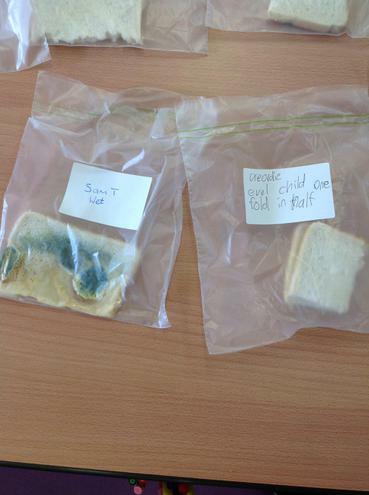 The children will be growing their very own micro-organisms. 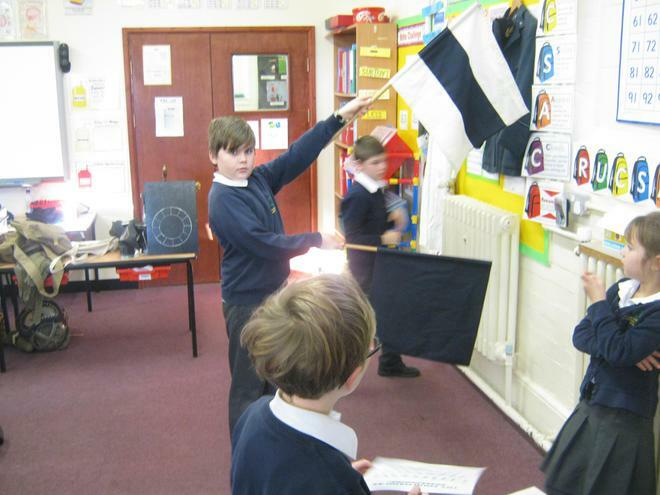 In Literacy, we continue to focus on handwriting, spelling and grammar. 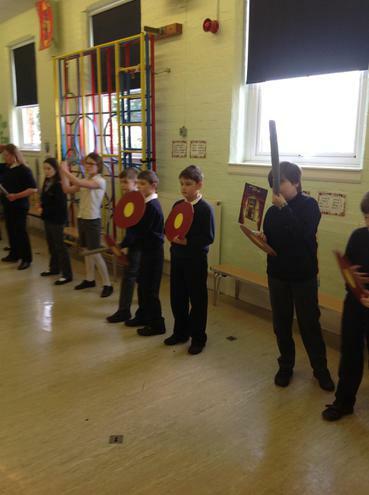 We will be looking in greater detail the book Eye Of The Wolf. 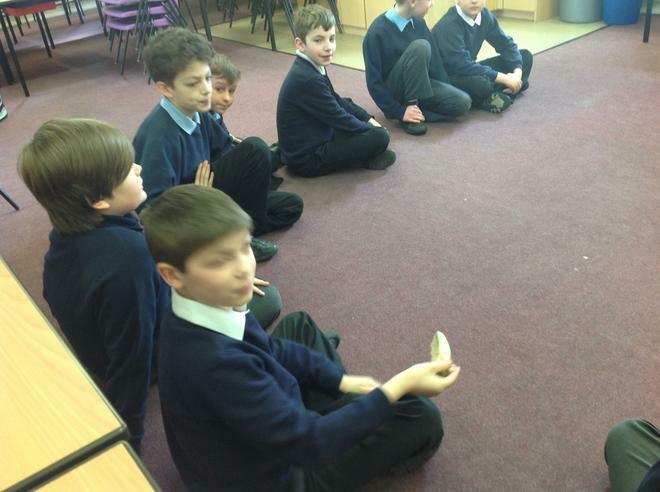 Whilst in RE we will look at Buddhism and their beliefs. 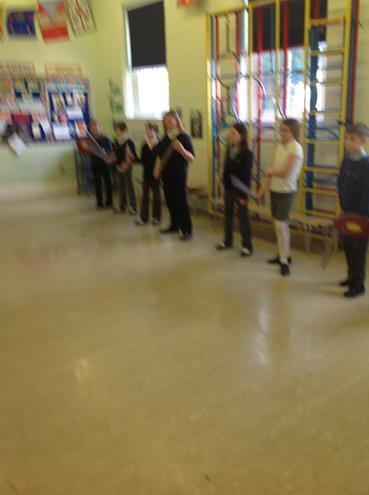 We will also continue to work with Liz, our music teacher on a variety of Wednesday afternoons. 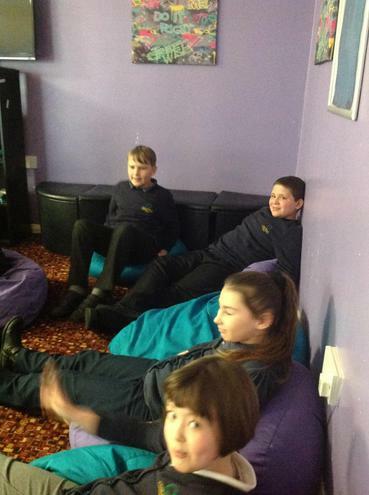 In Computing we will be developing our very own blogs to put onto the school blogging page. 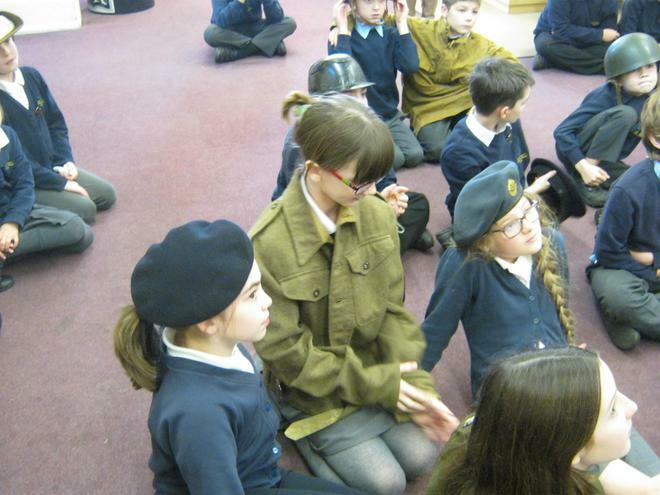 The children will be using their interests to blog and hopefully will attract attention from passing readers to leave comments and possibly trend world wide! 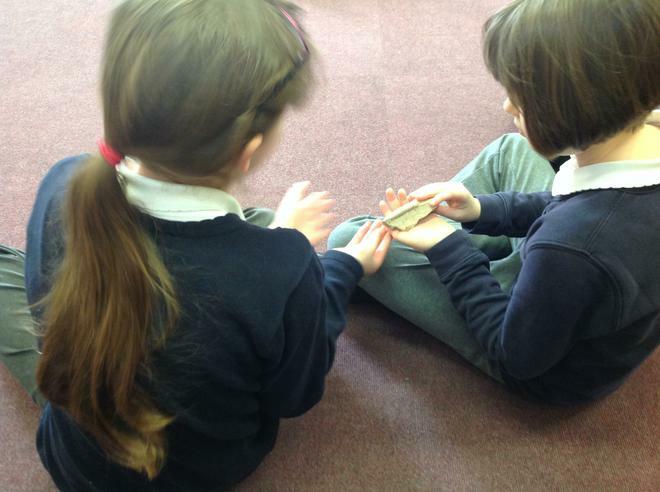 Our math’s continues to have a big focus on mental calculation skills and applying our mathematical knowledge to solve real life problems. 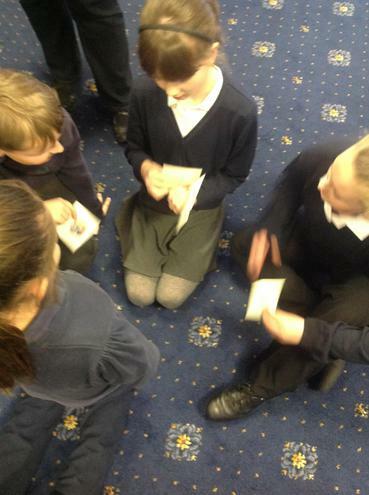 The children are currently exploring to use written and mental multiplication and division. 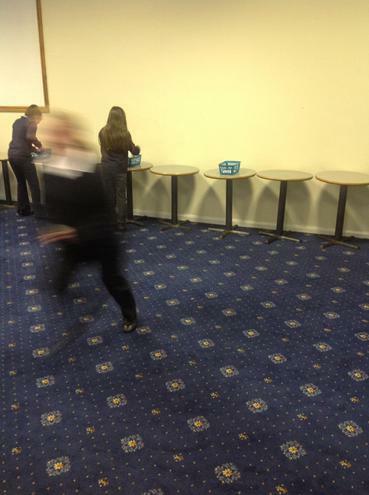 With many groups looking to improve their times tables. 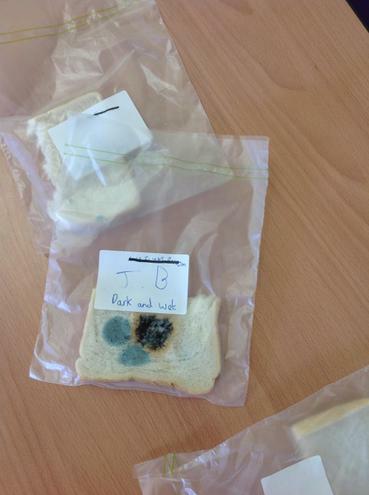 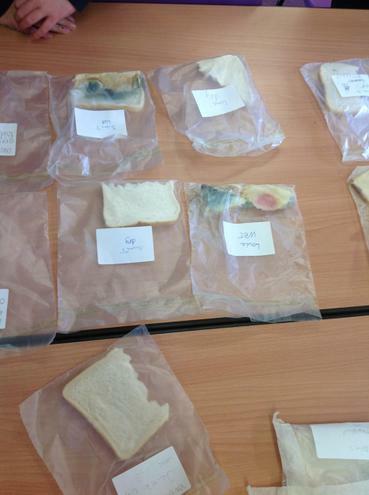 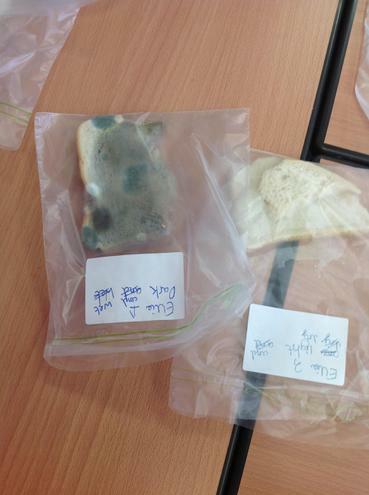 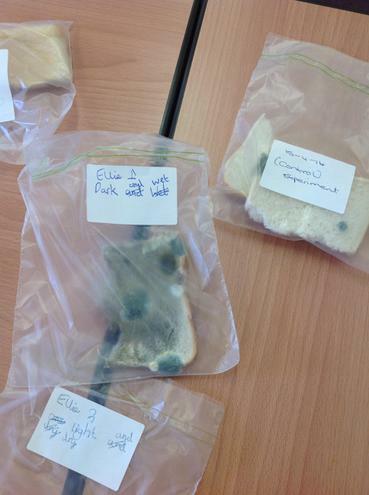 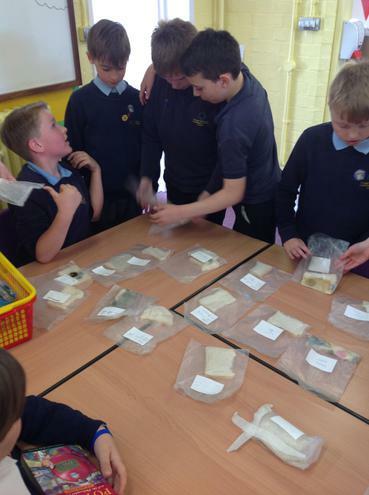 Check out the micro-organisms (mould) Oak class have been growing! 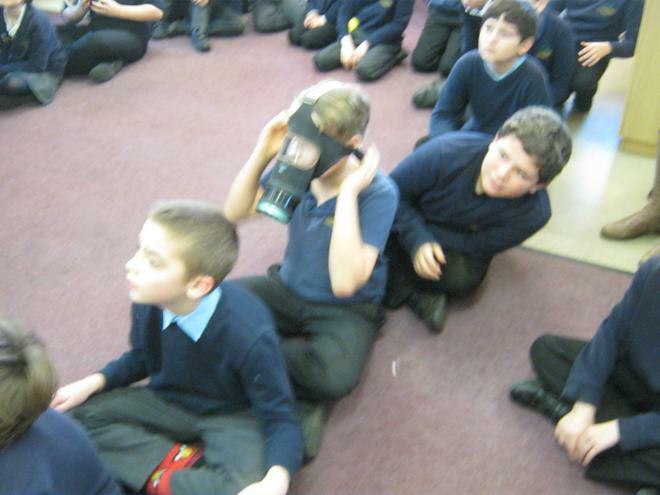 All in the name of science!! 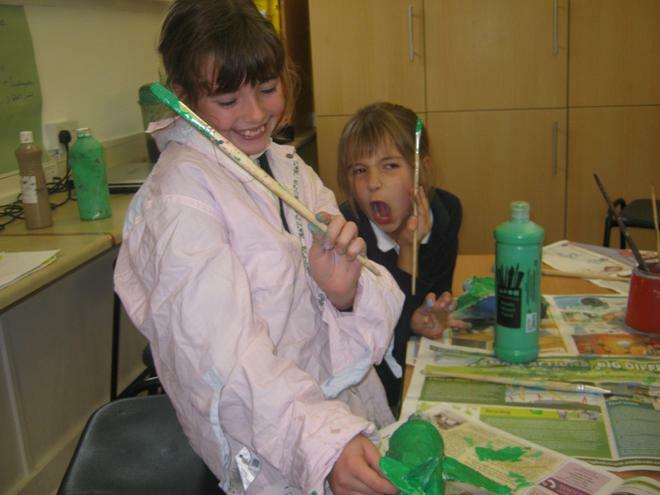 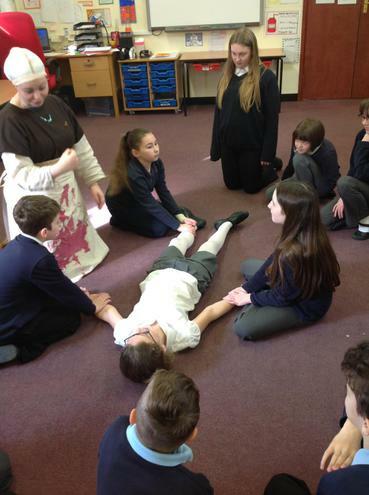 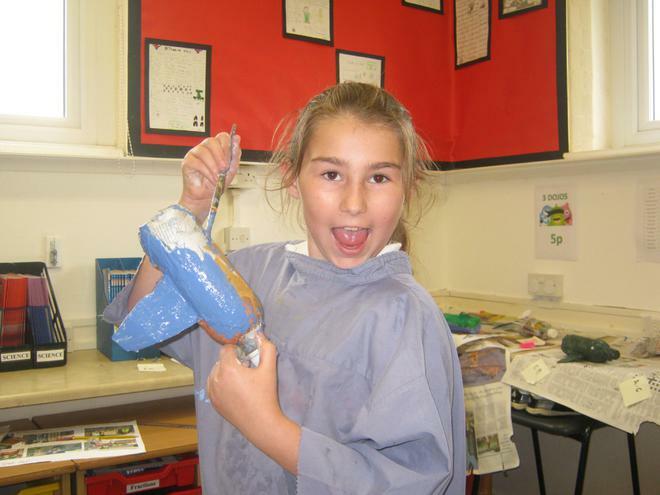 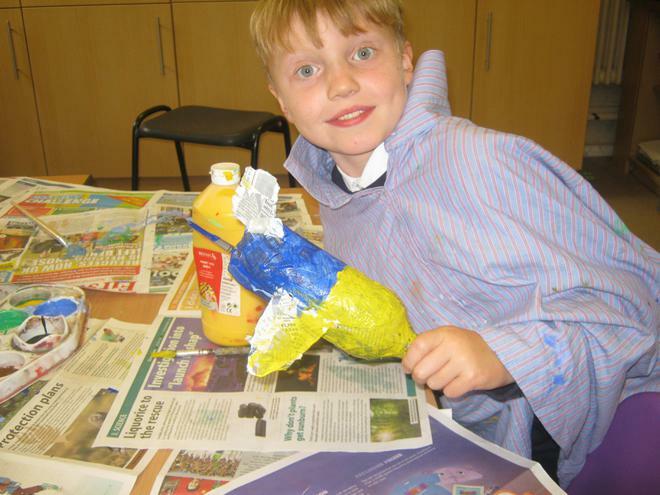 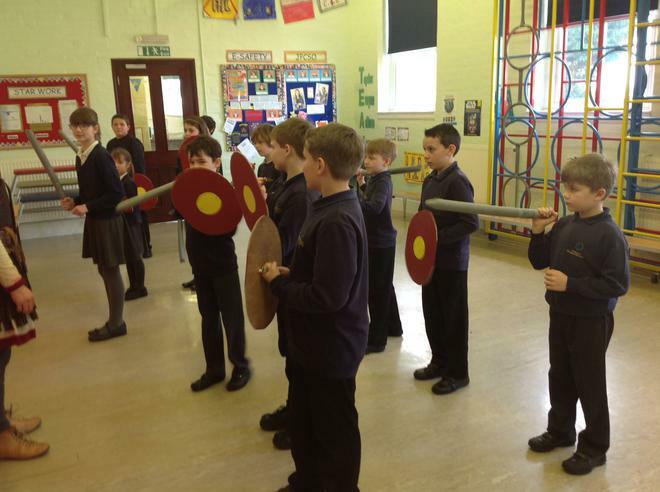 This term our topic is Romans and we have been focusing on areas such as how the legend of Romulus and Remus founded Rome, the types of entertainment the Romans enjoyed, what did the Romans do for Britain and what artefacts did the Romans leave behind. 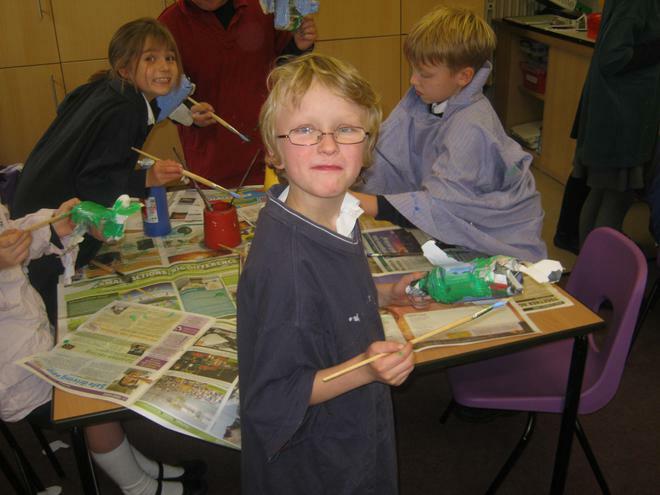 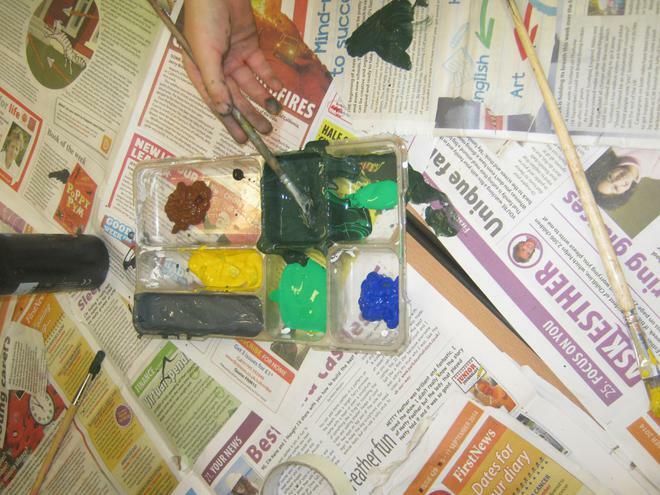 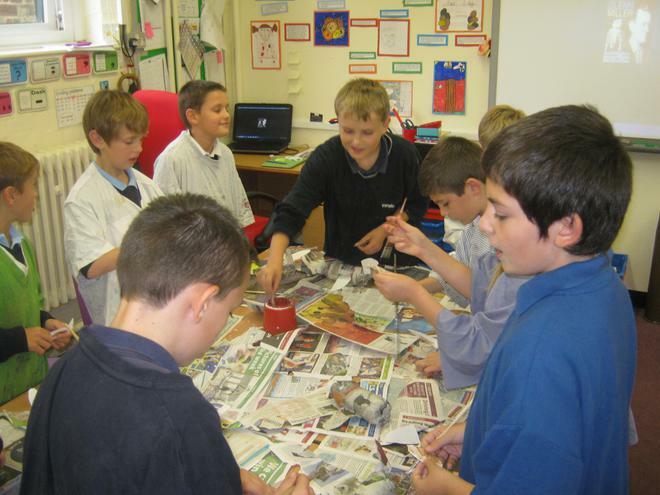 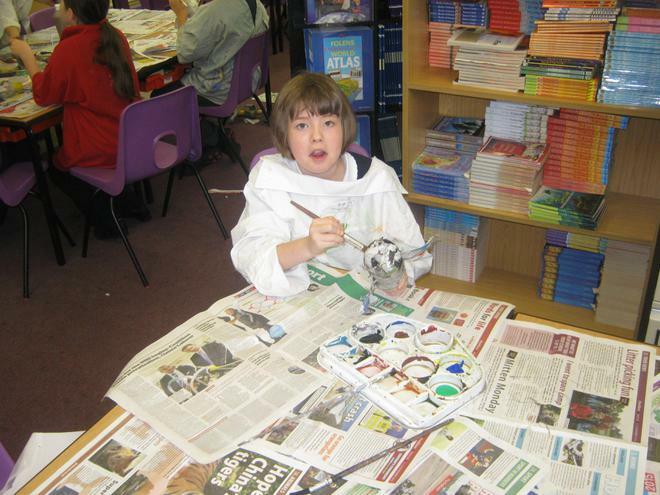 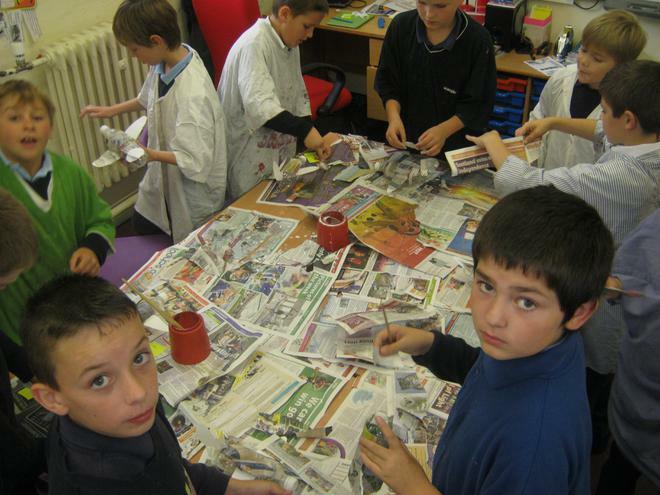 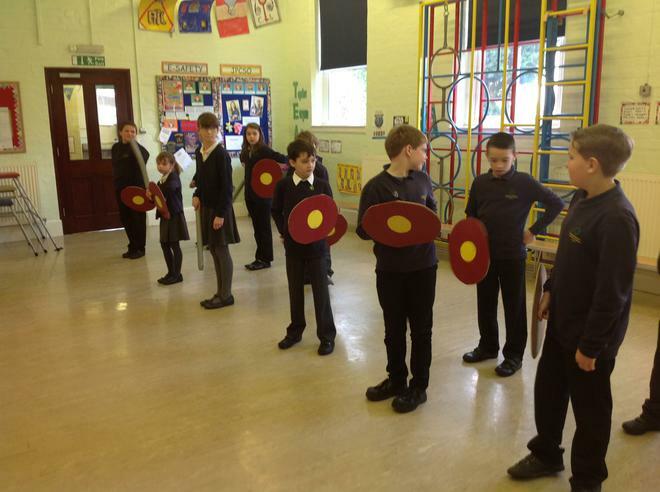 With a link to Roman Mosaics, in art we will be designing and creating our own Roman artefacts. 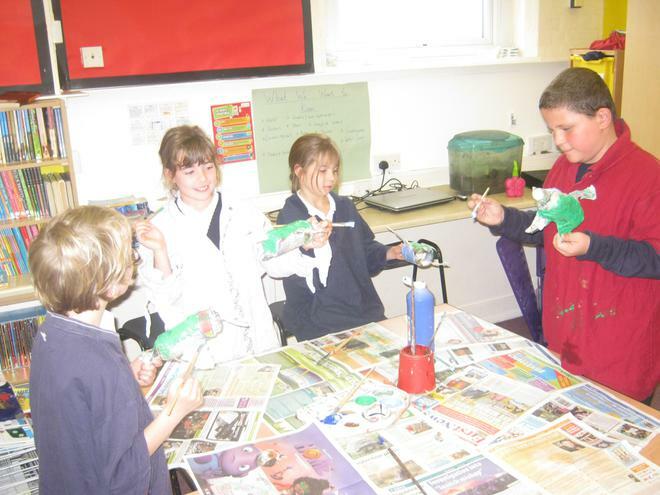 Science this term takes us in the direction of life cycles. 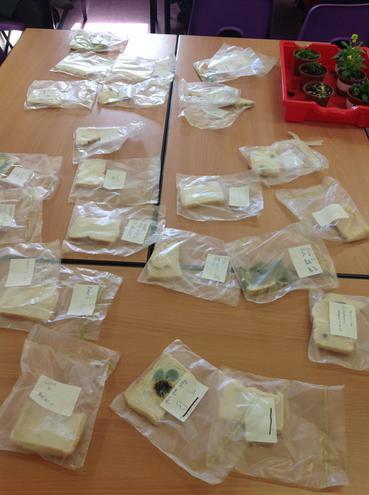 We will be exploring different life cycles and recording data from our on-going broad bean experiment. 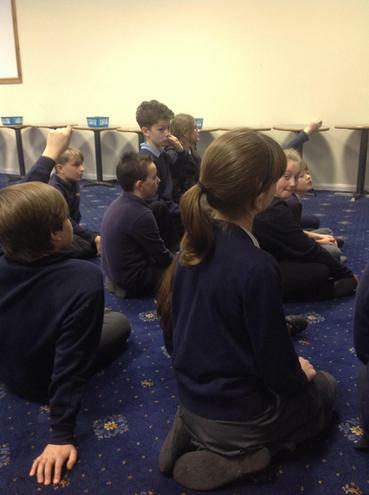 In Literacy, we are focusing on handwriting, spelling and grammar. 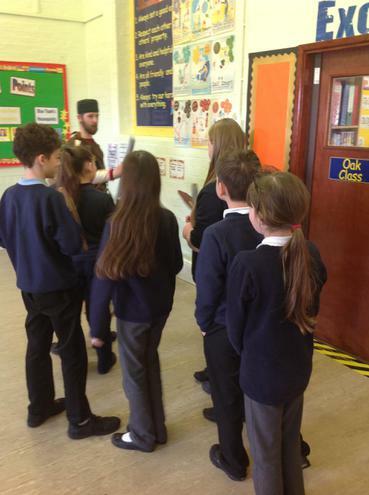 Whilst in RE (with Miss Verney) we will look at Sikhism and their beliefs whilst putting our spelling and grammar skills into practice with some extended writing. 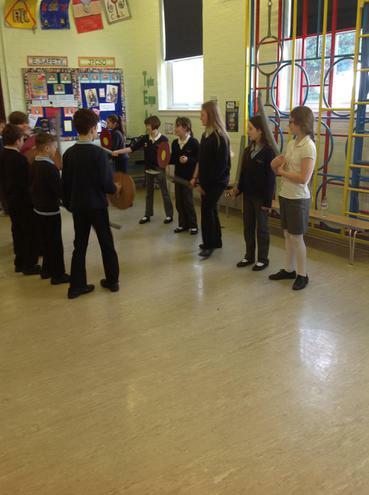 We will also continue to work with Liz, our music teacher on a variety of Wednesday afternoons. 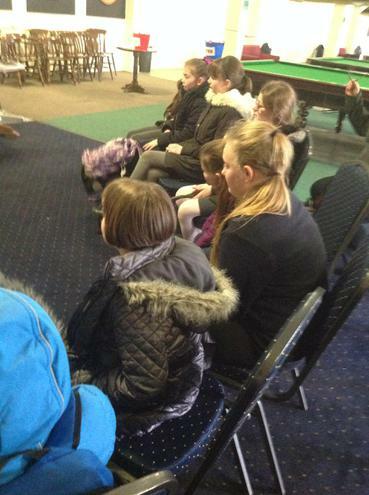 With some of the children practicing an Easter song. 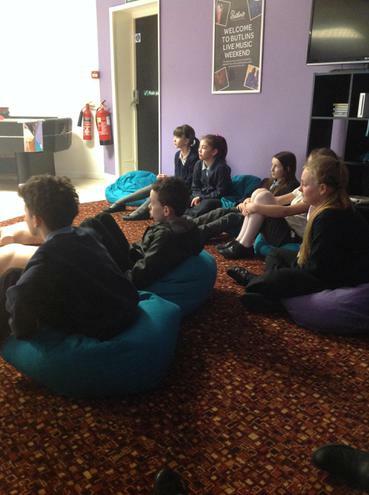 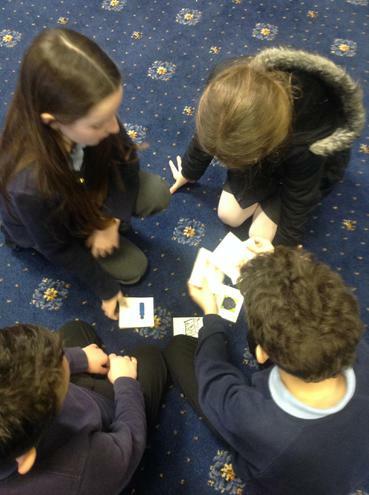 In Computing we will be developing our very own educational games through coding and creating our games on Scratch. 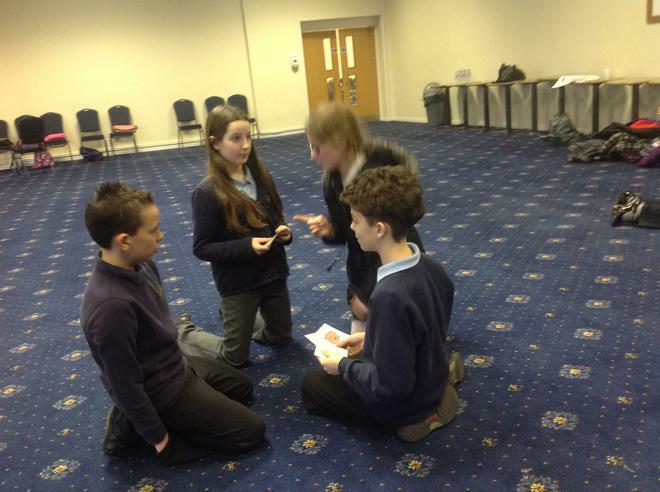 This will lead into a Dragon’s Den style pitch to see who will get the investment! 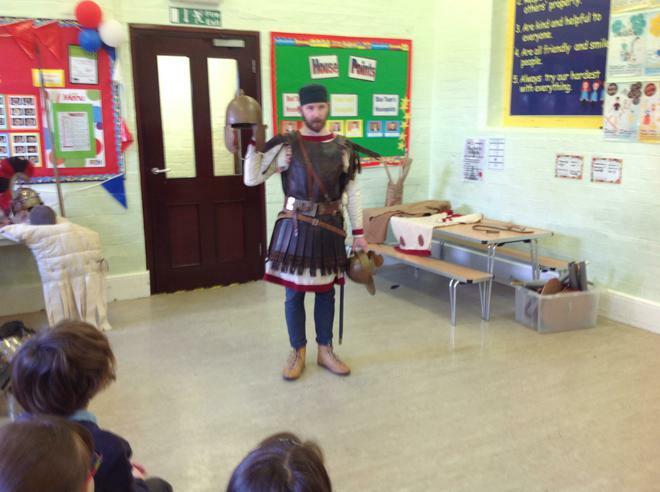 The Roman day! 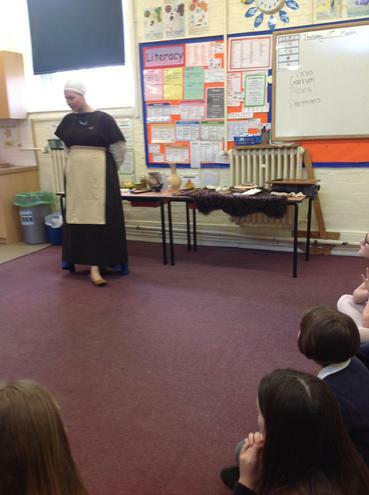 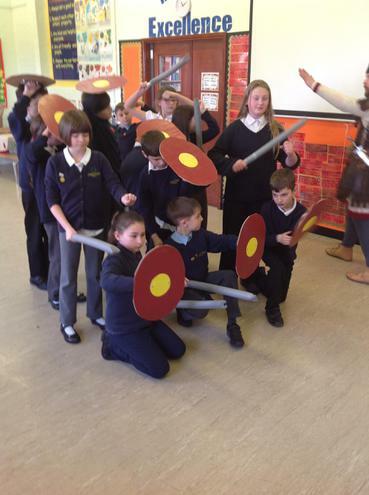 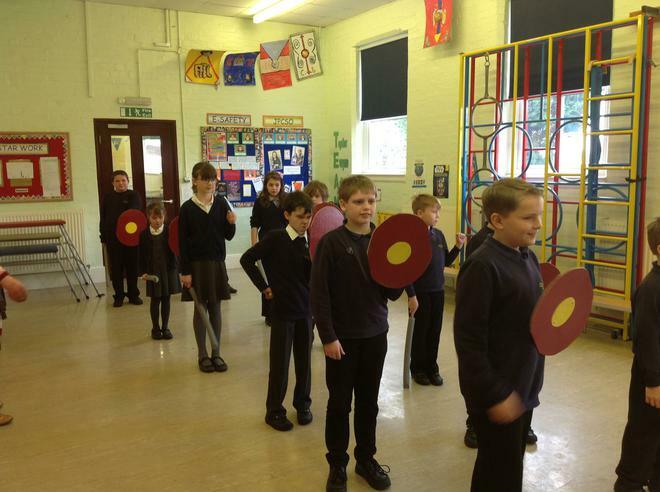 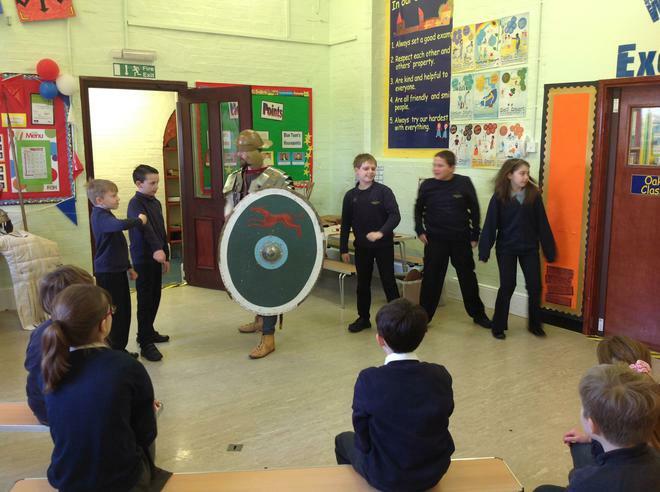 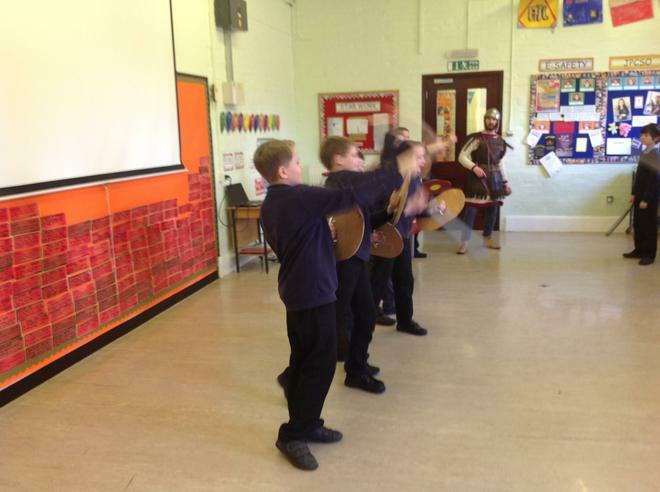 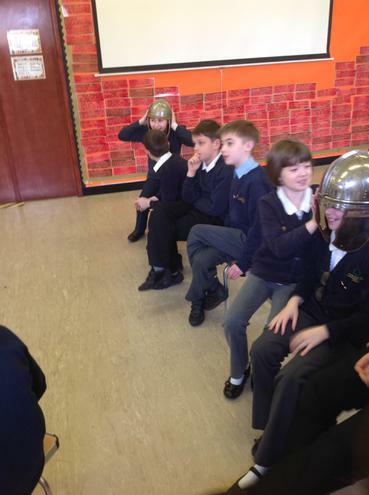 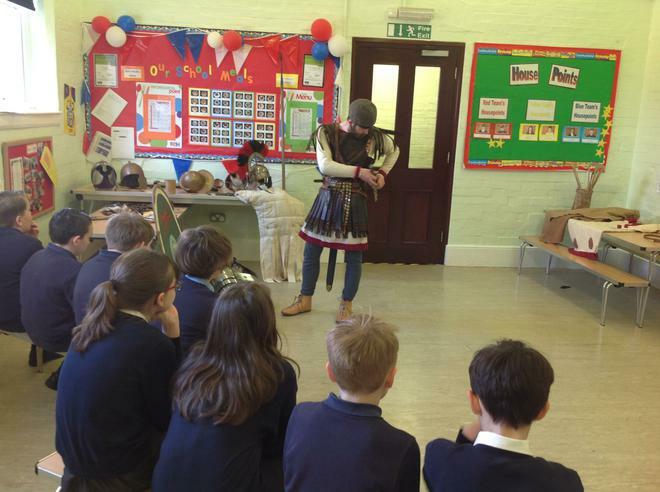 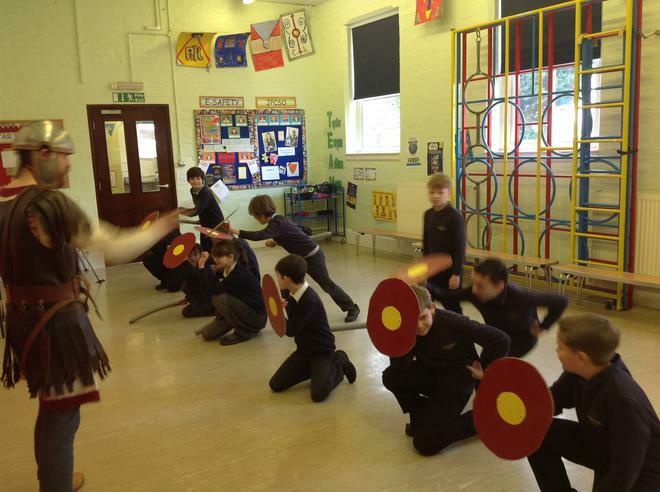 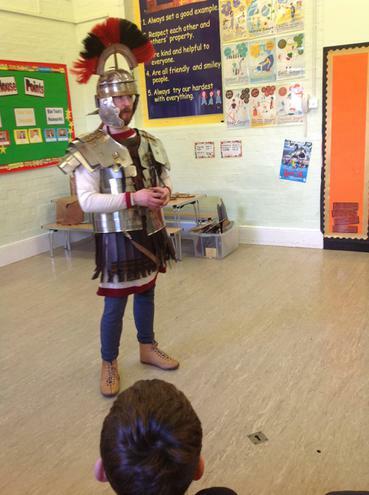 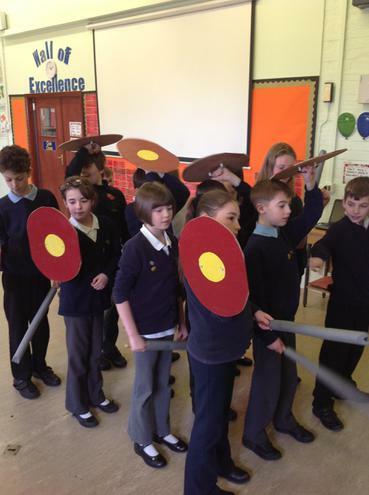 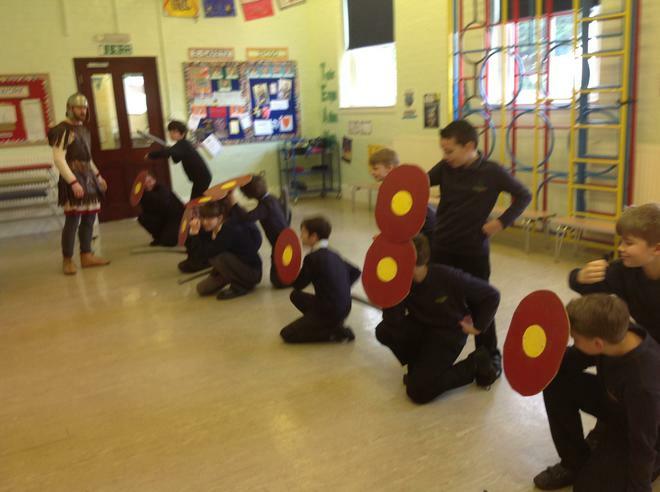 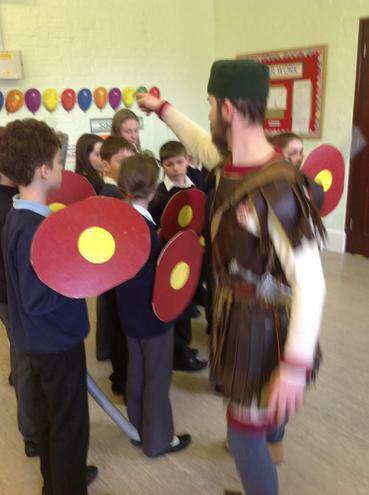 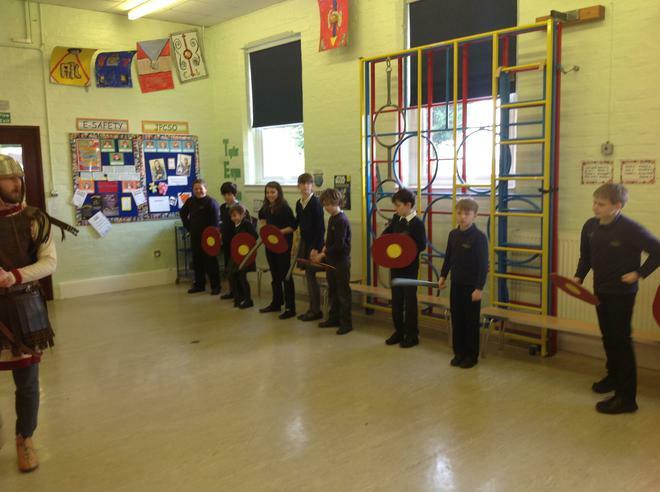 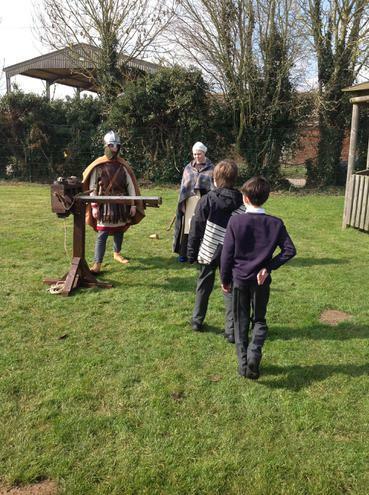 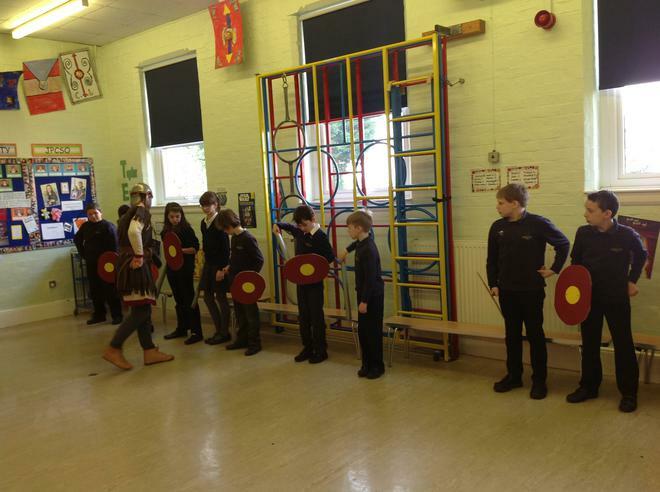 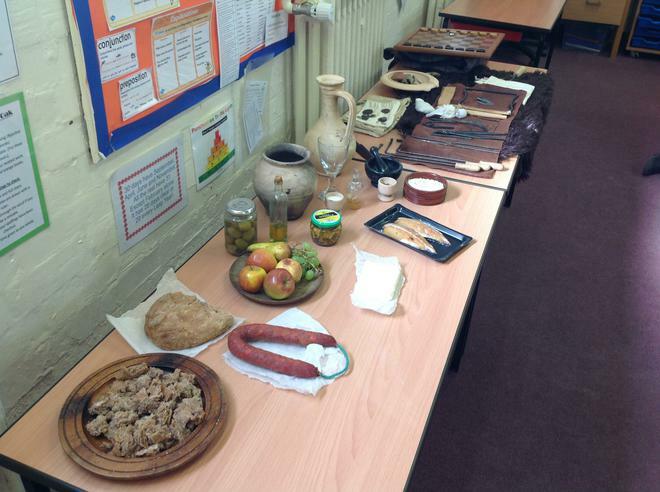 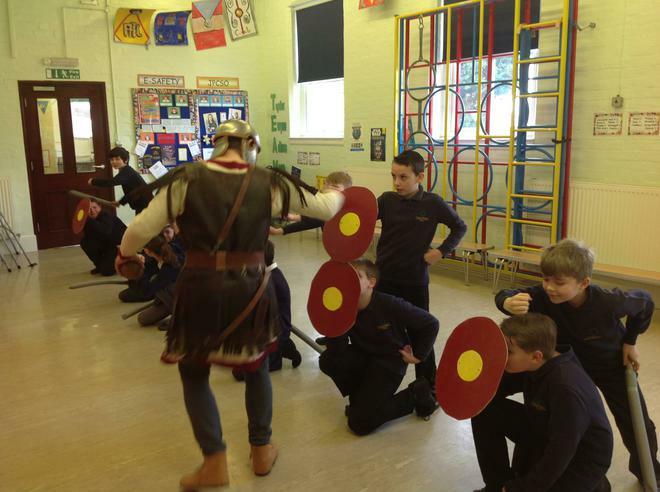 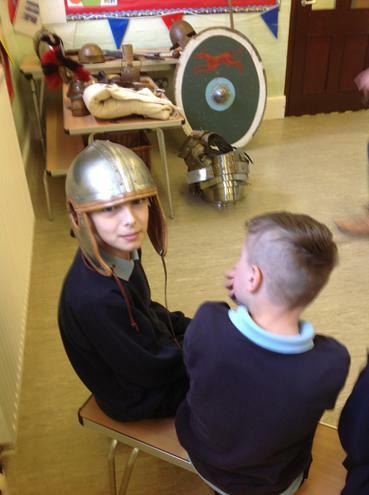 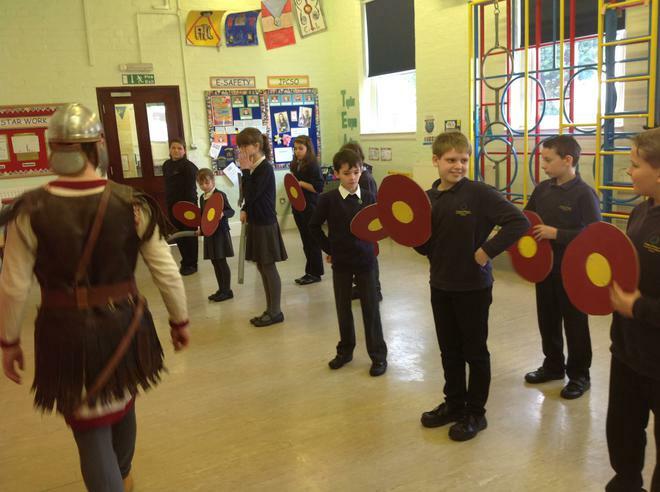 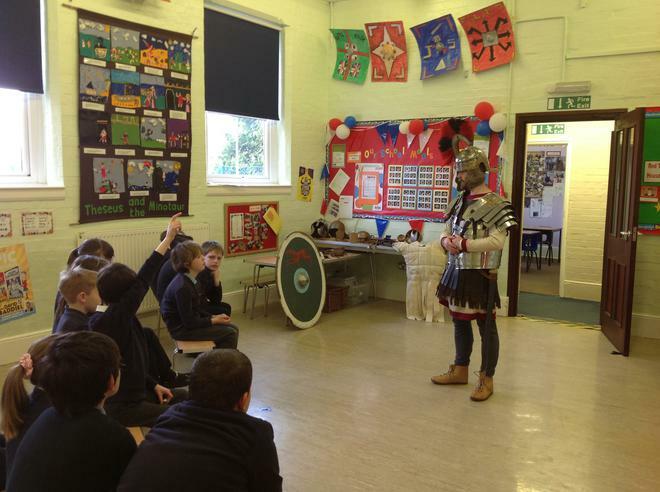 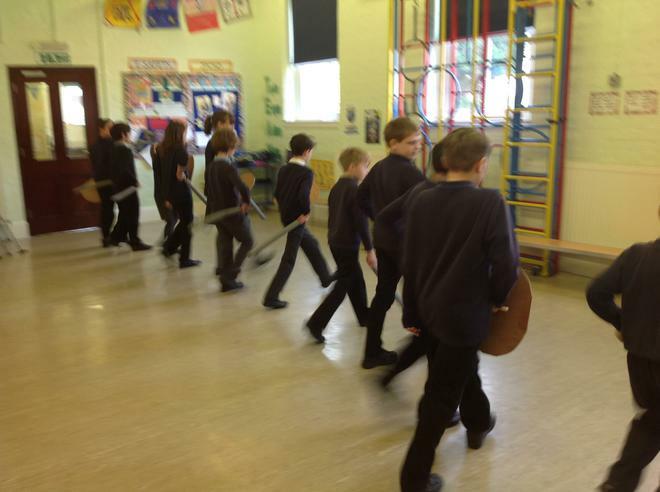 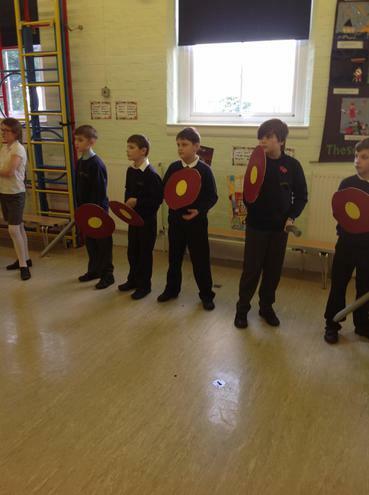 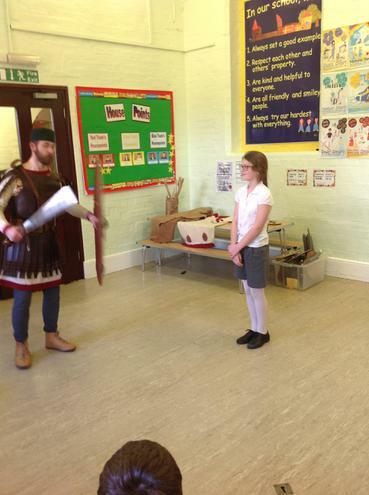 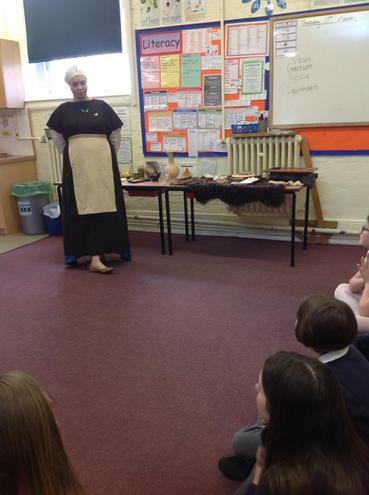 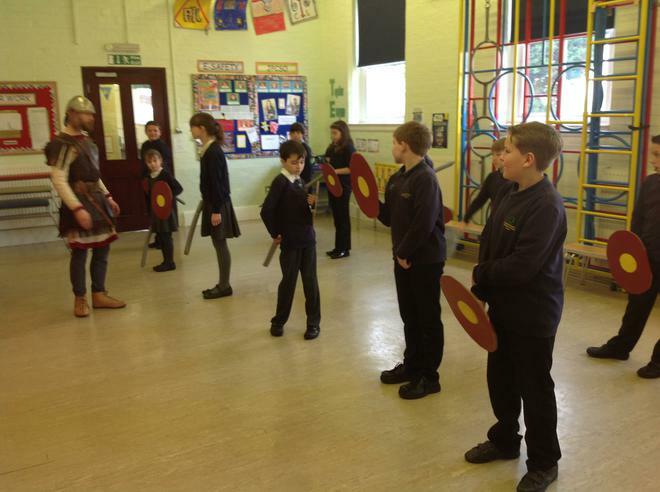 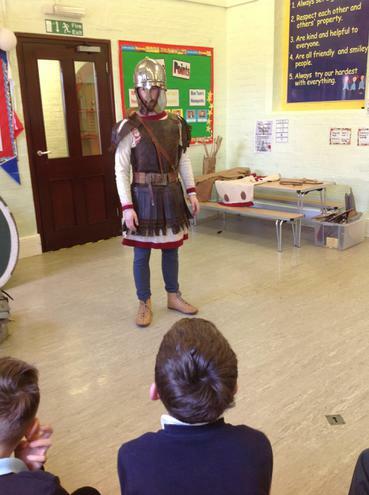 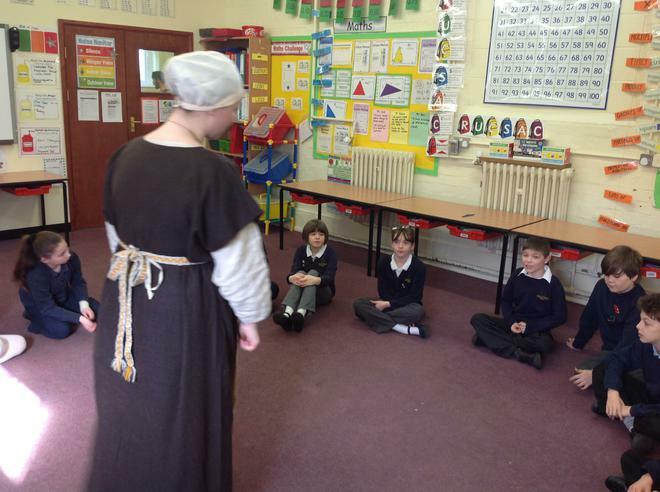 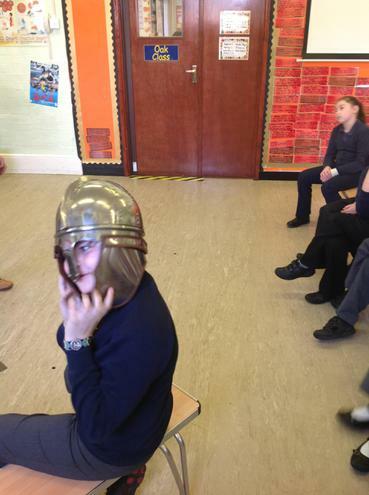 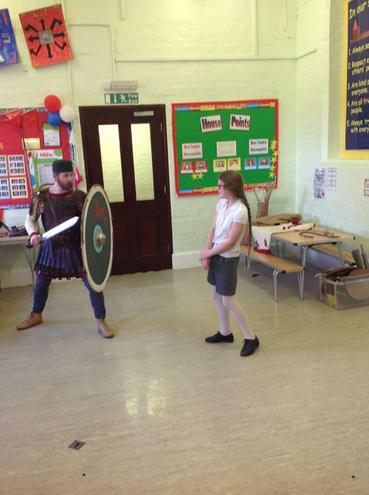 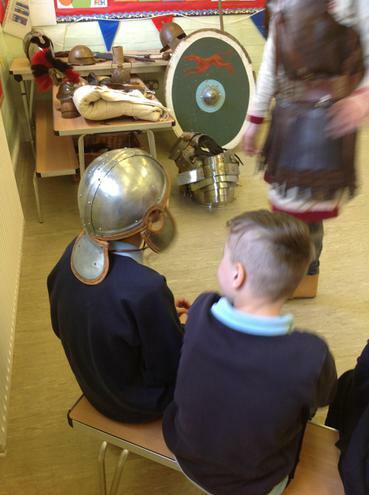 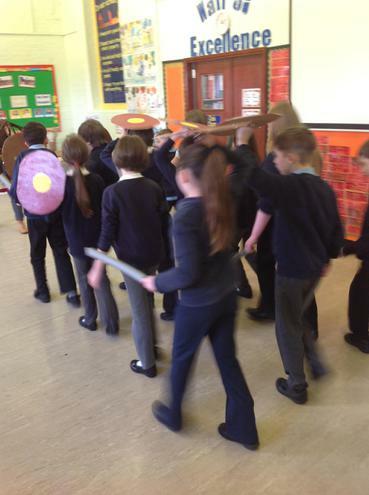 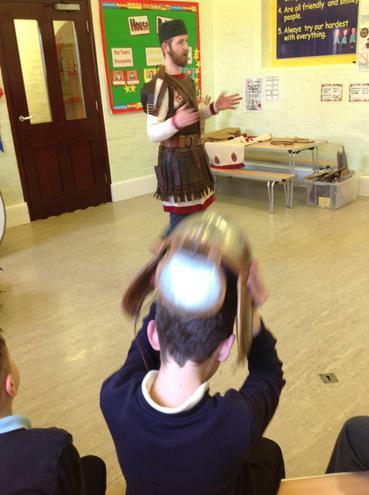 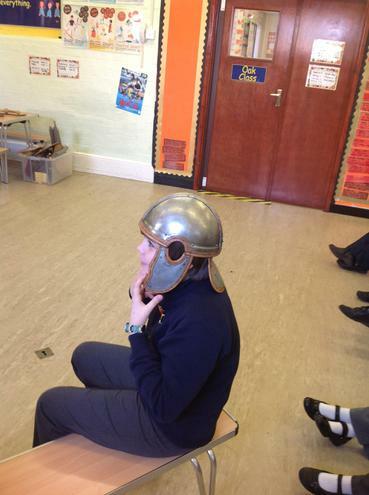 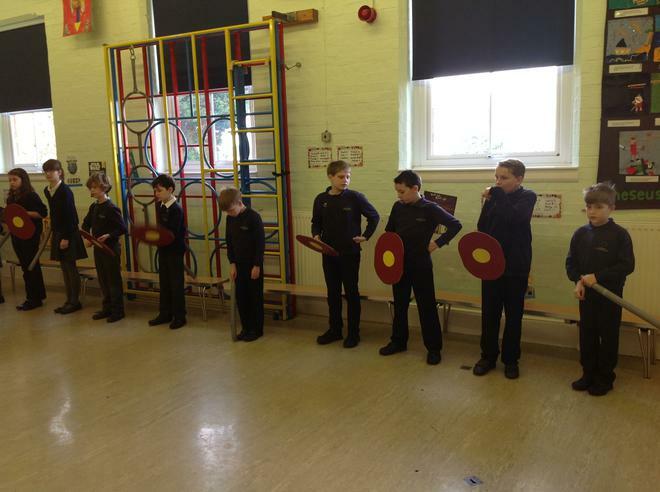 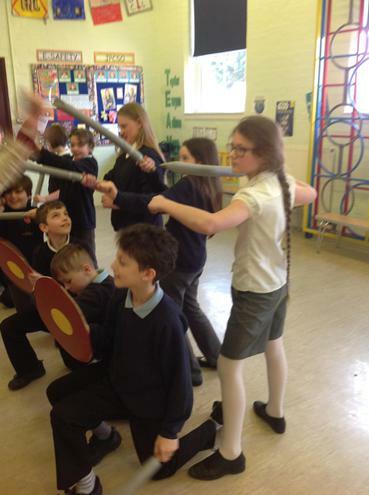 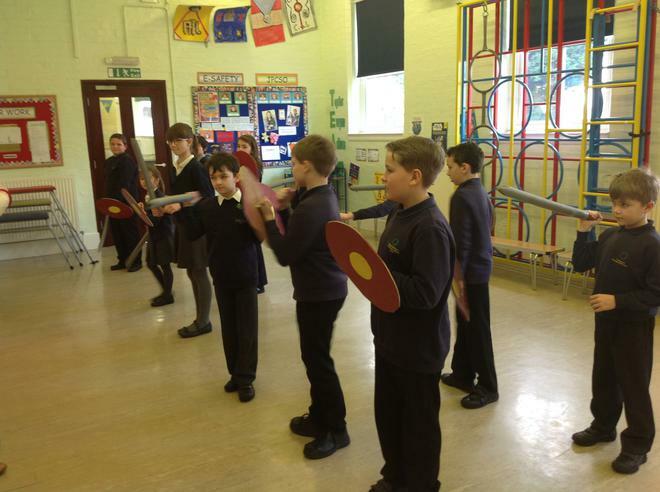 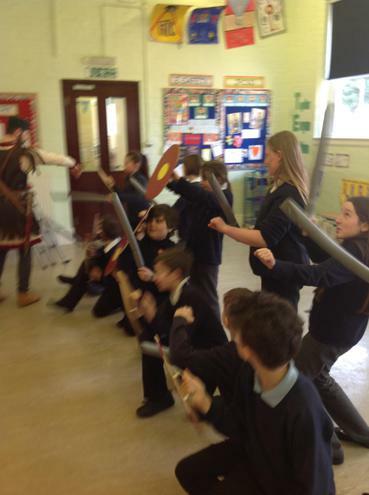 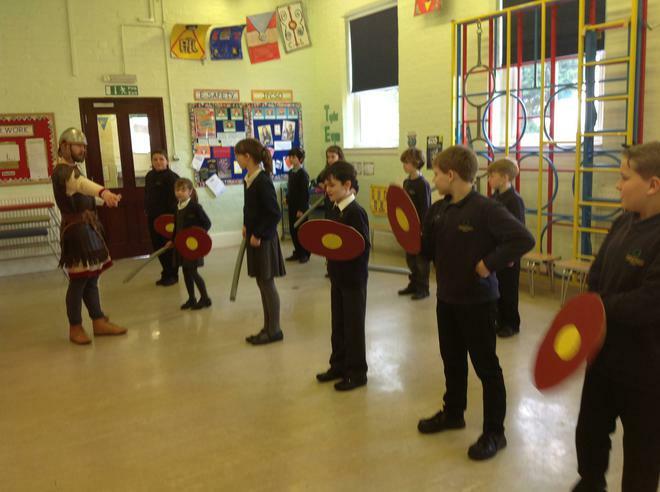 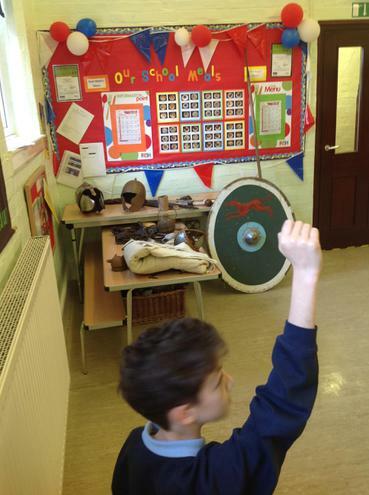 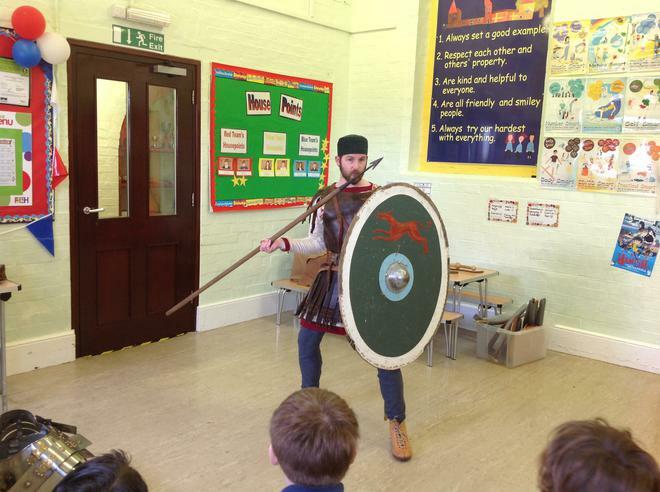 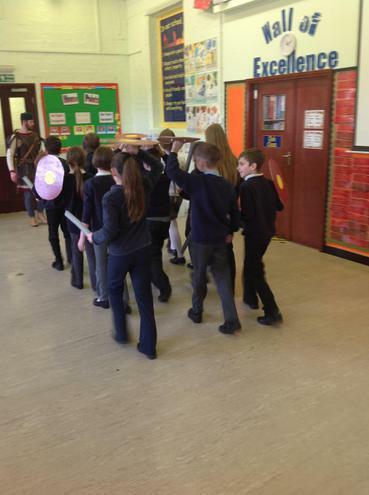 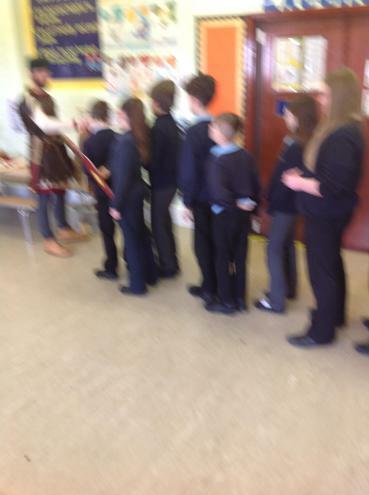 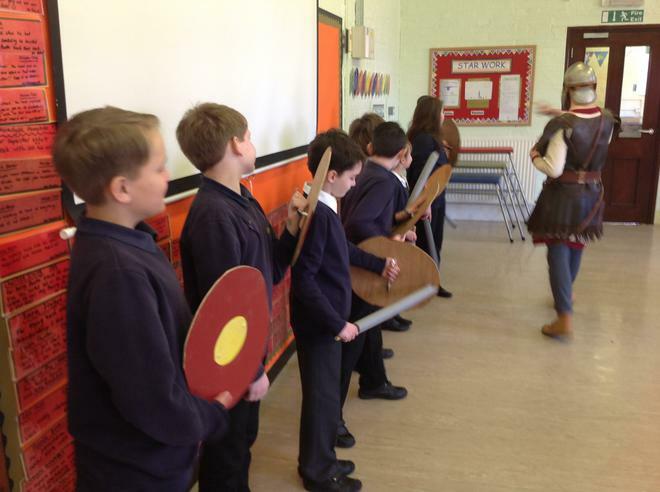 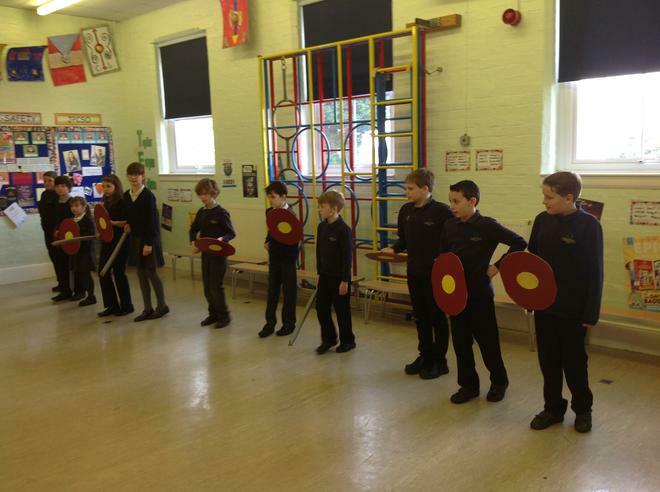 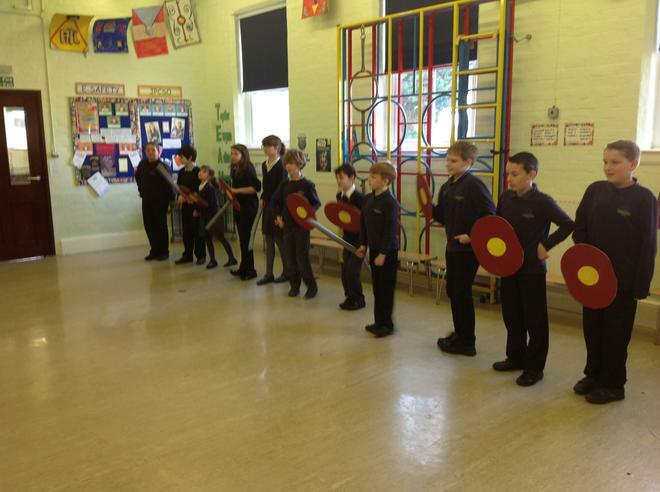 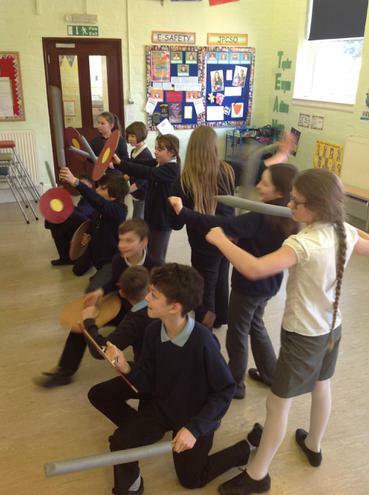 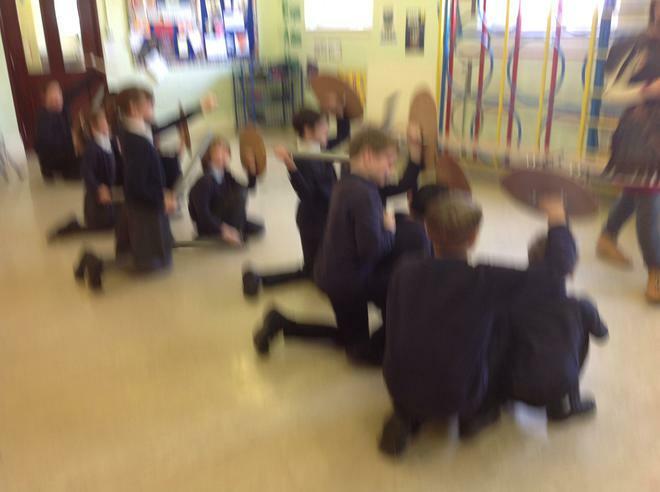 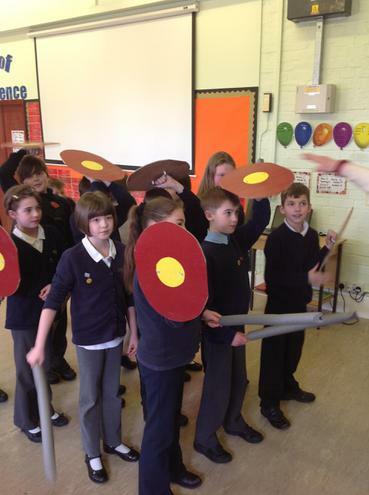 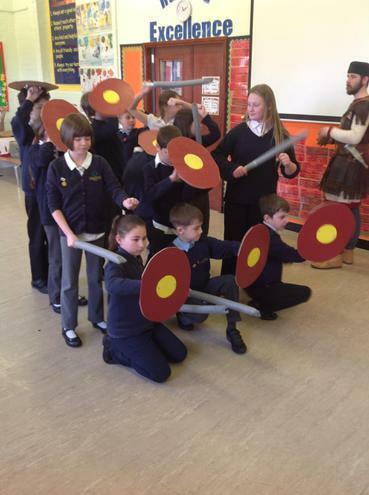 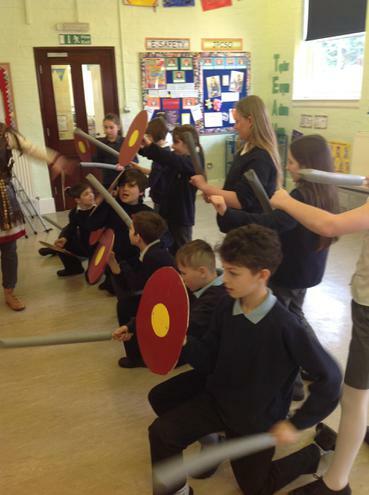 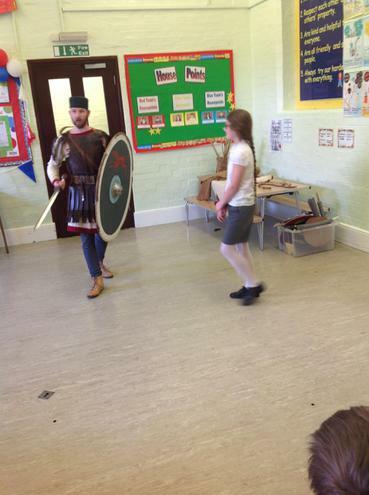 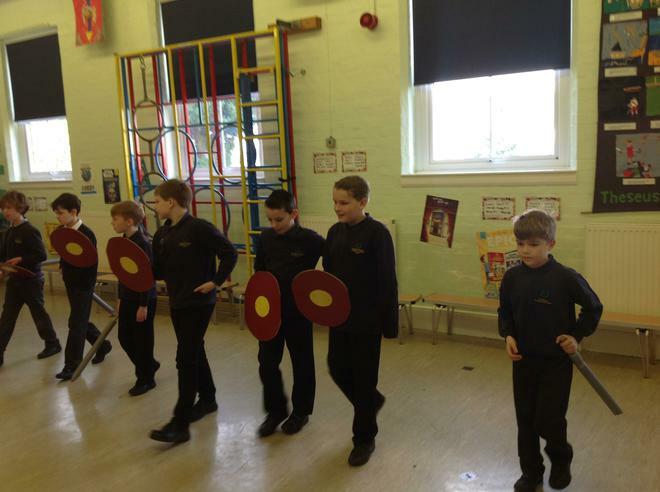 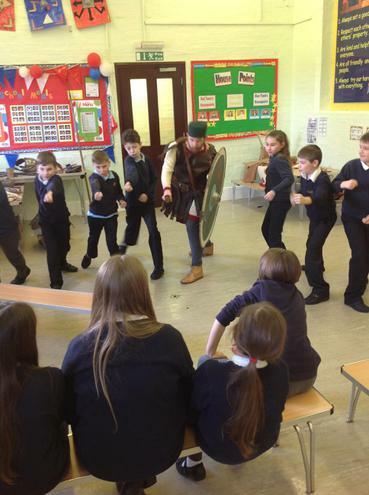 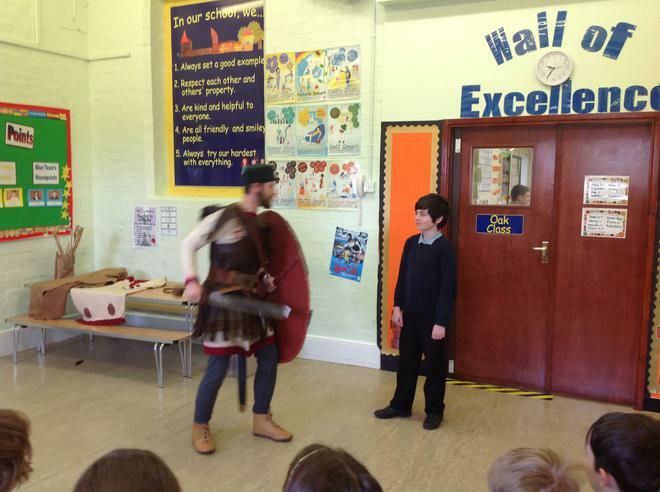 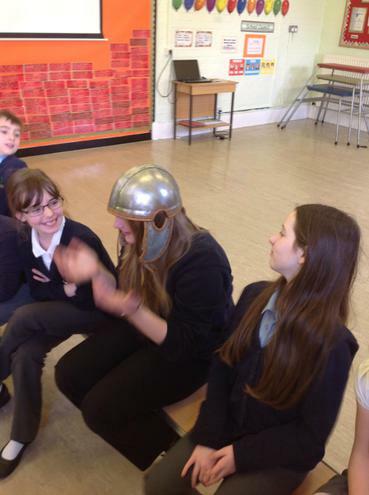 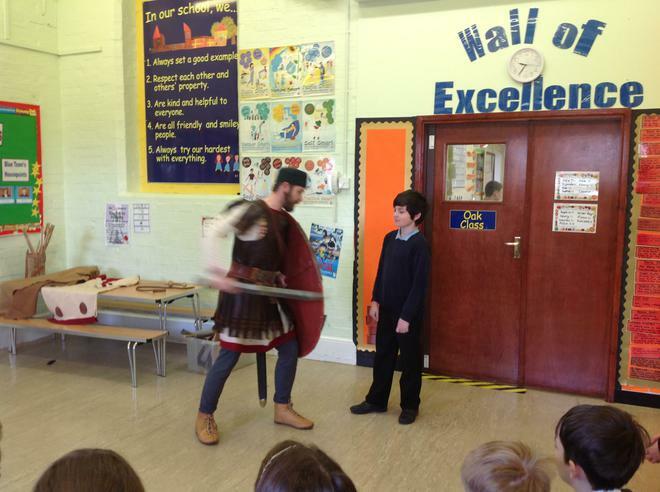 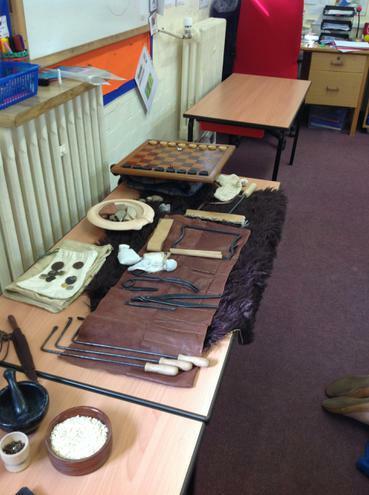 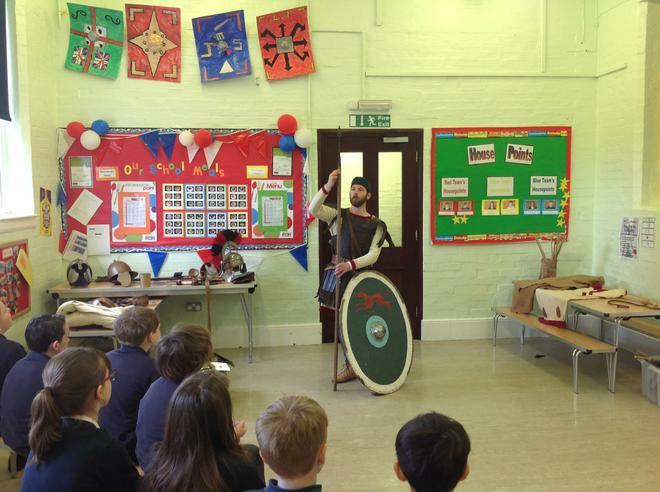 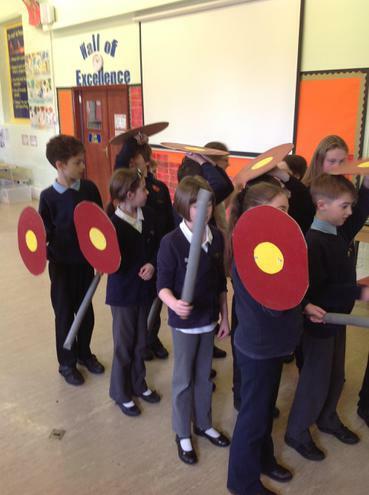 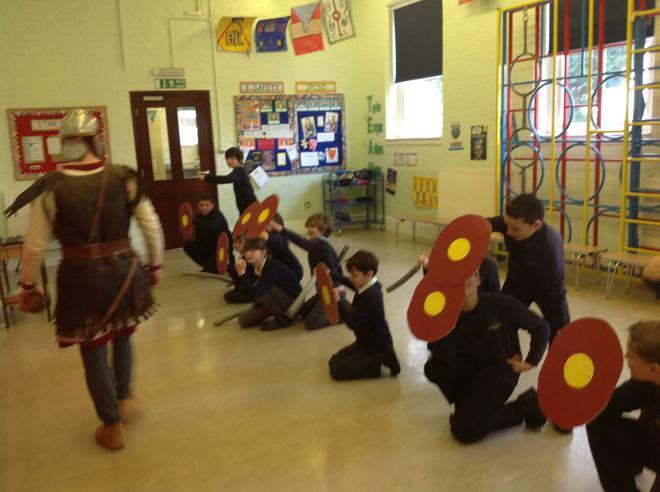 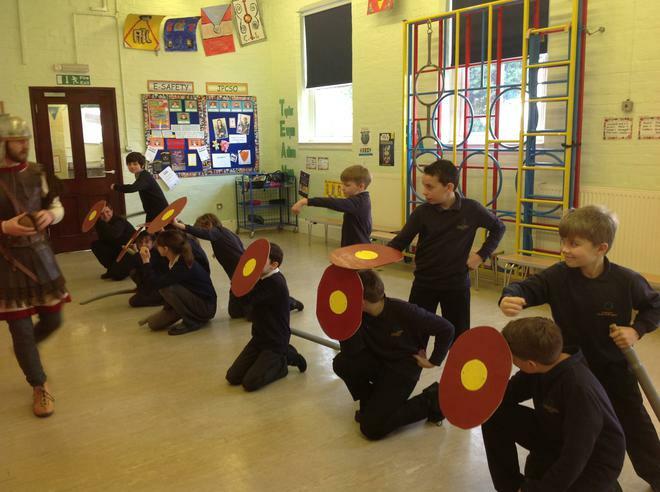 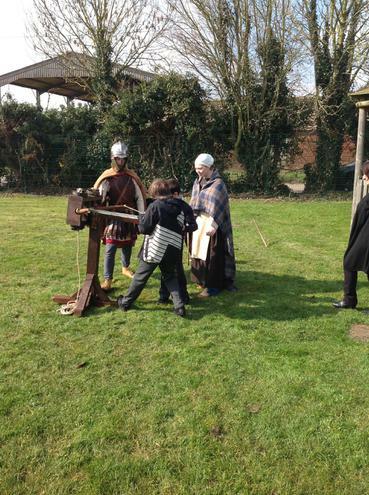 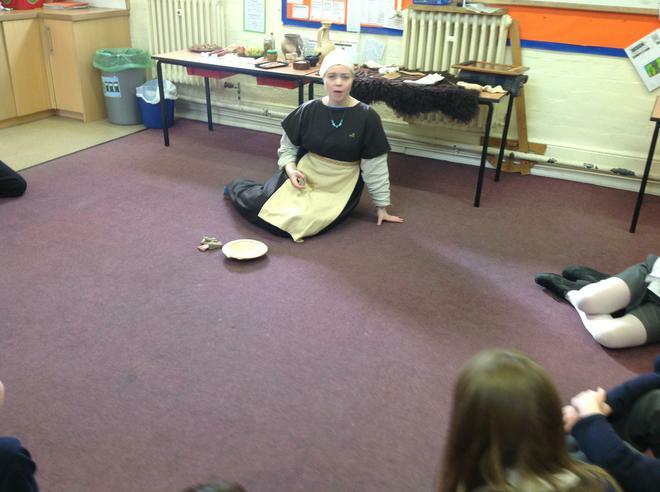 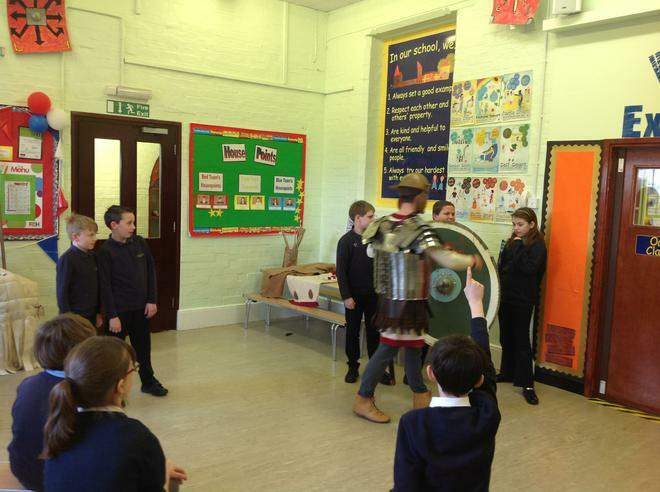 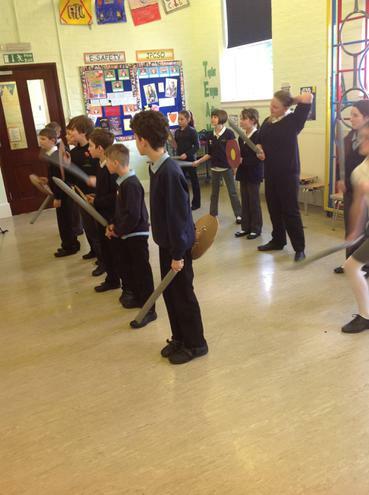 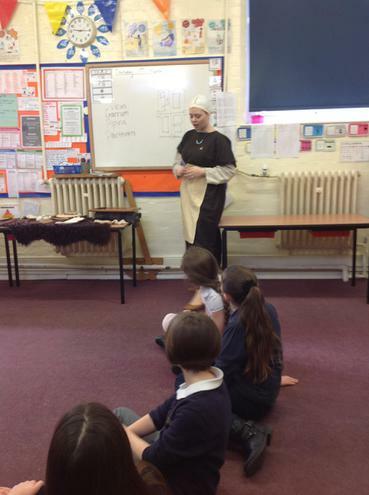 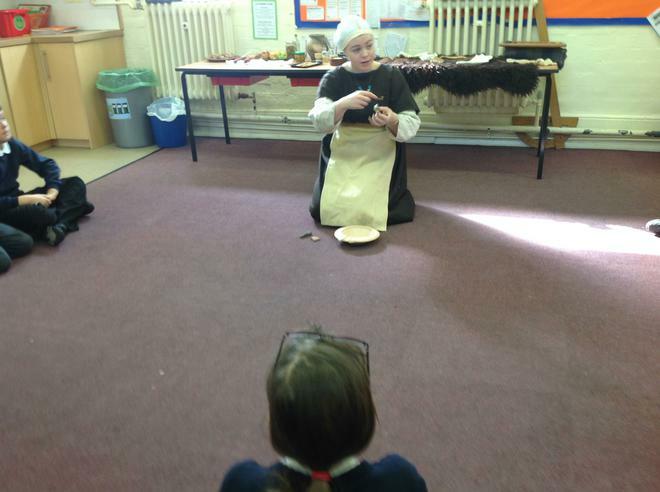 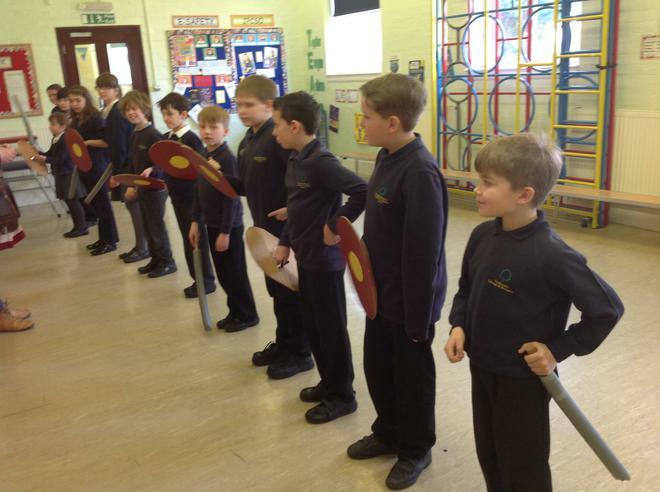 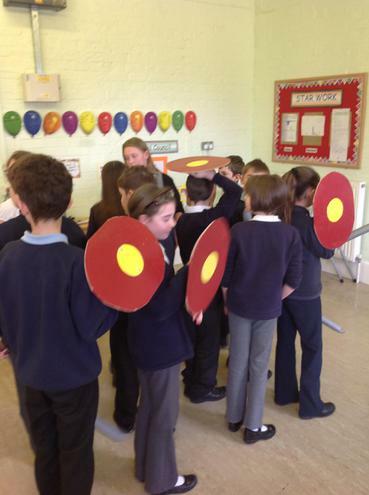 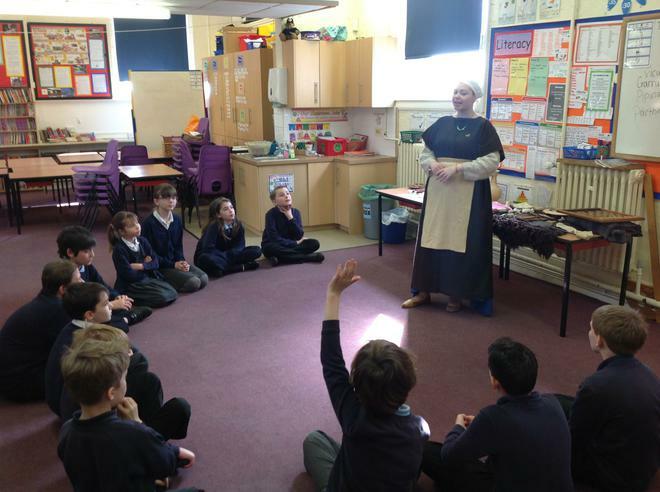 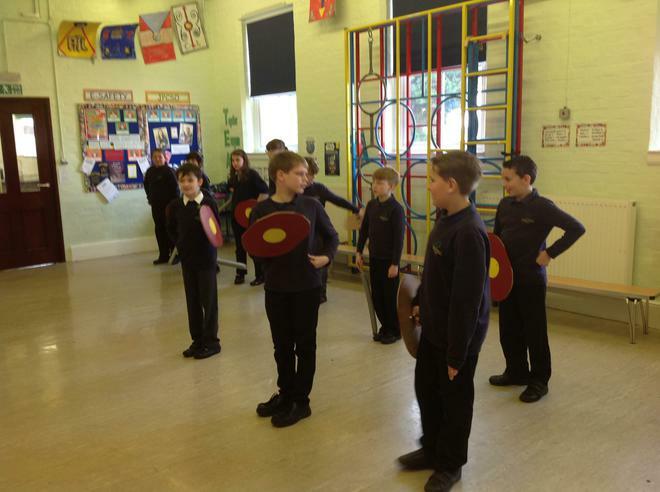 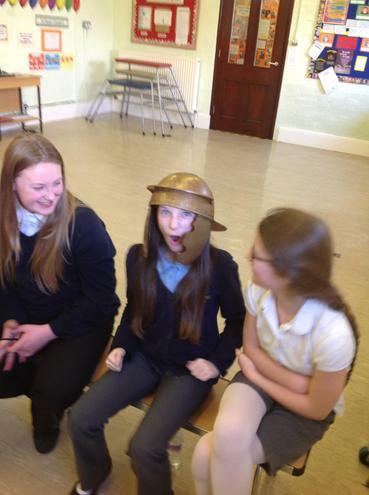 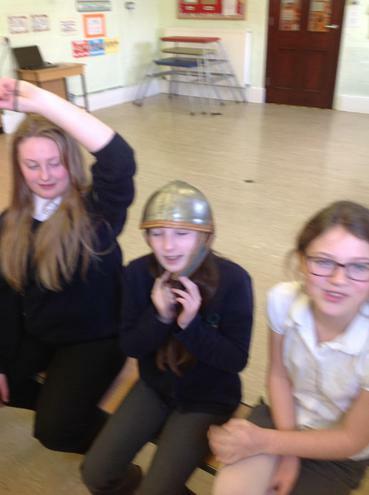 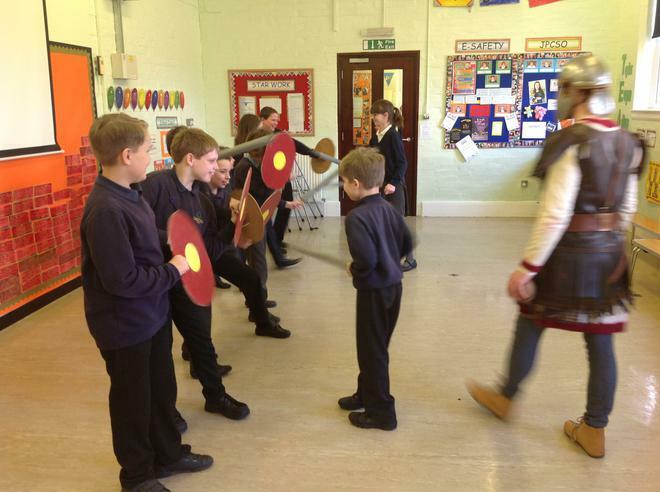 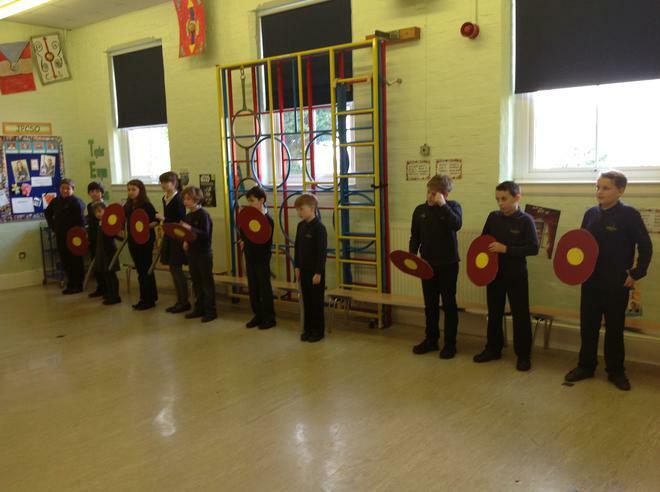 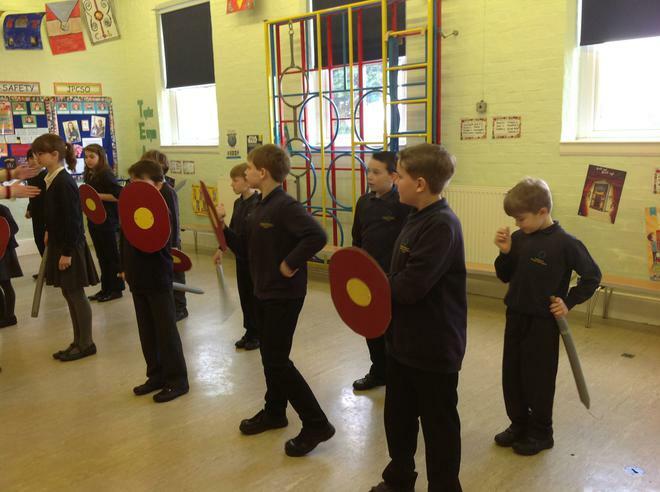 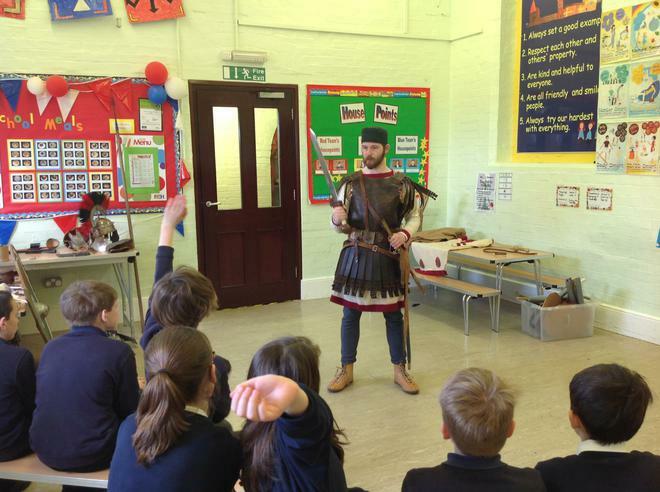 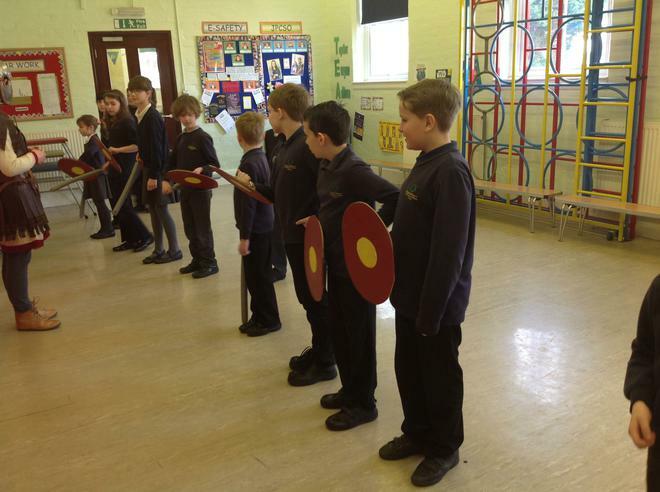 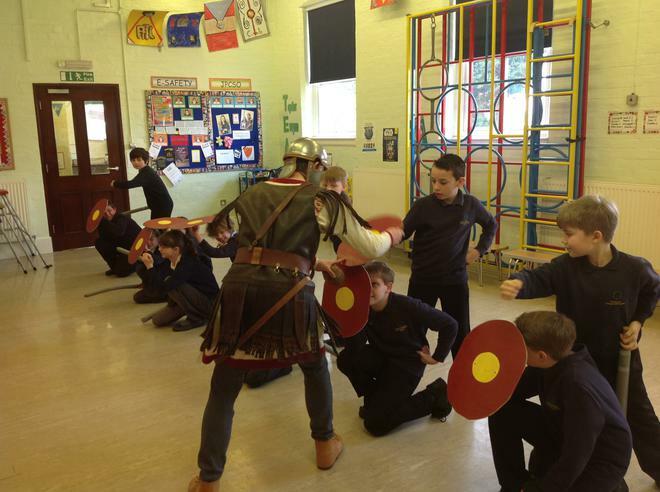 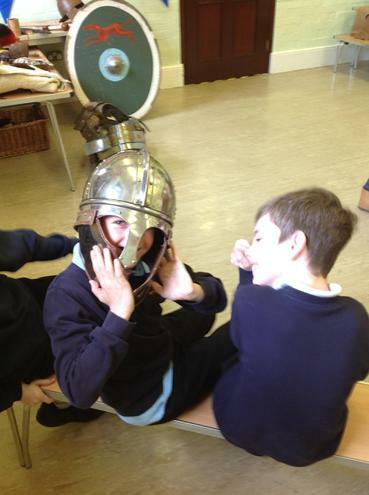 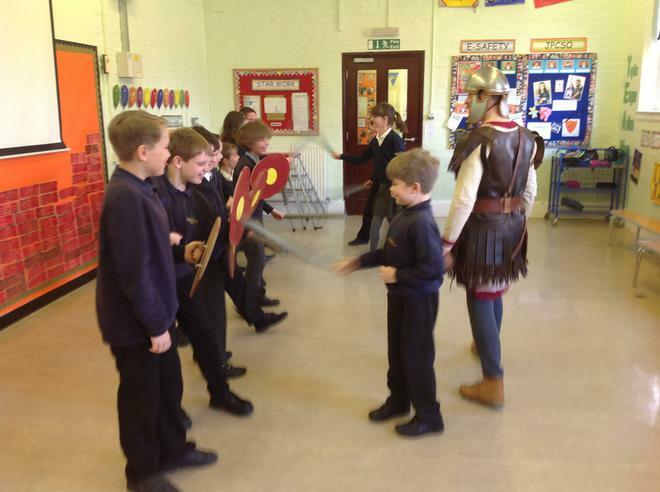 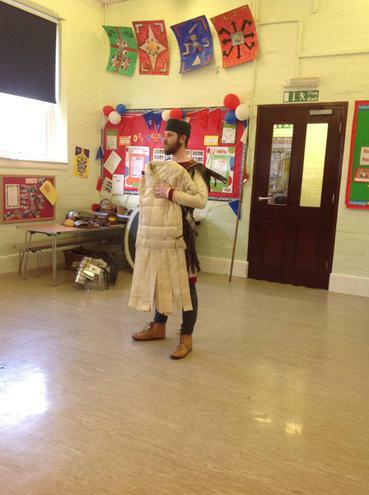 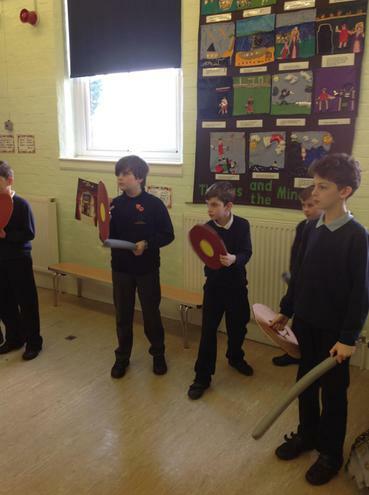 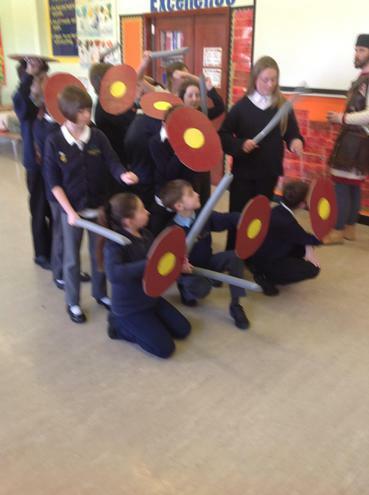 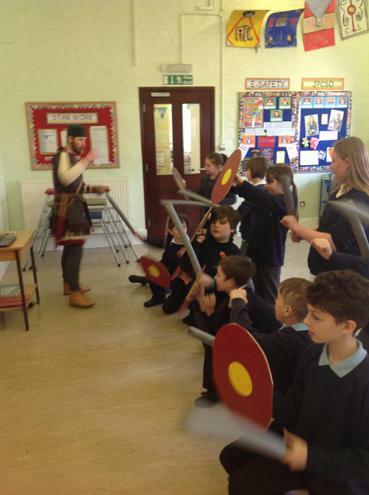 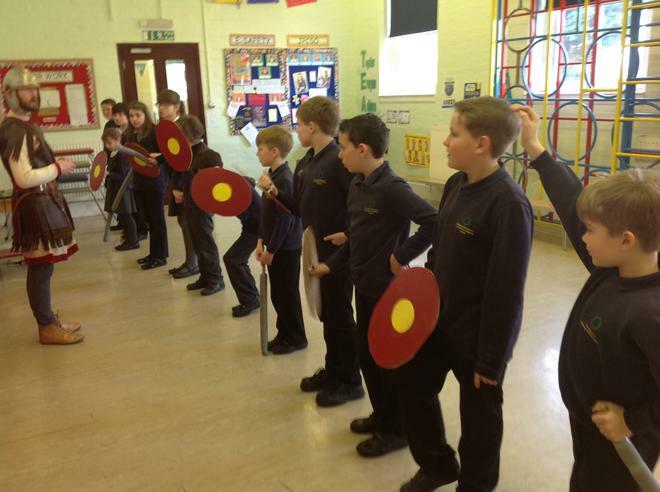 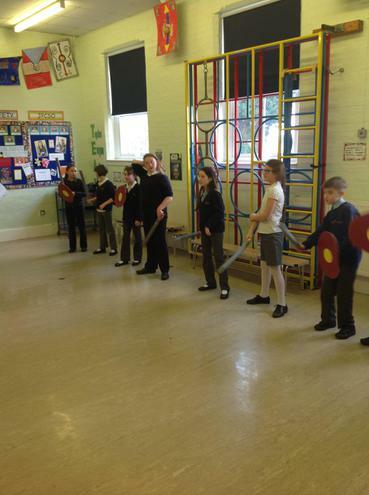 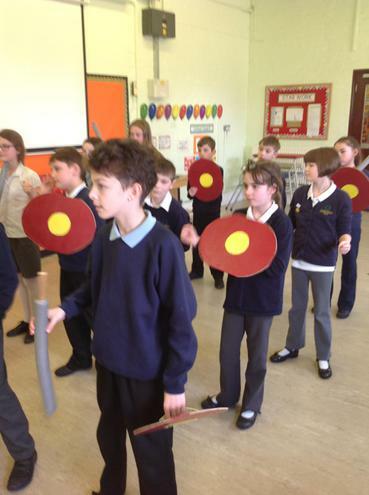 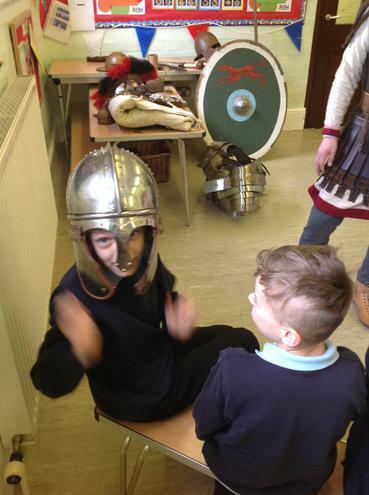 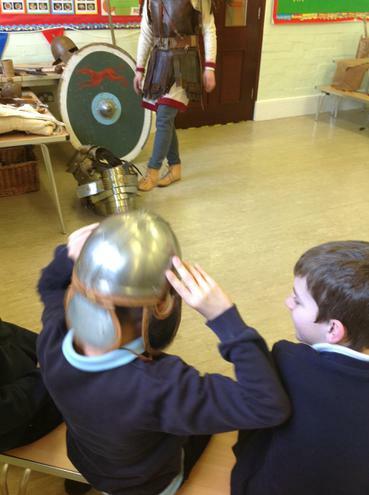 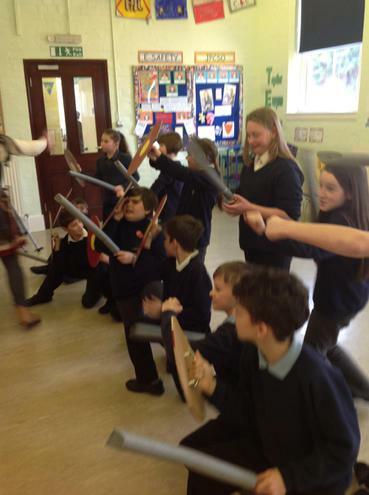 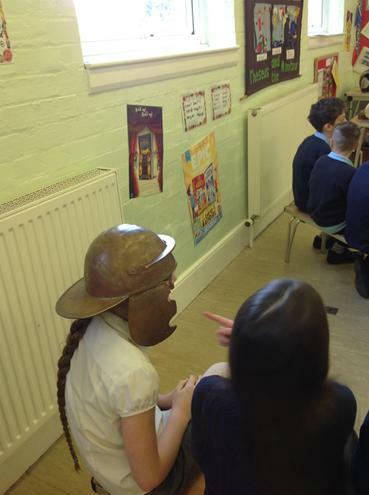 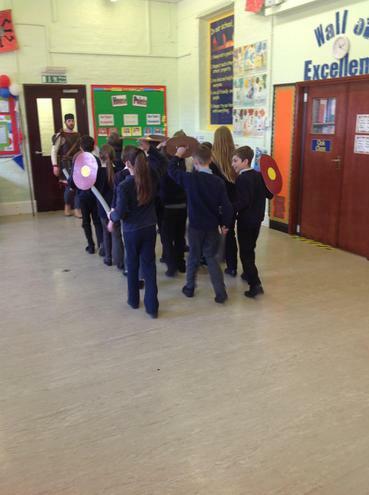 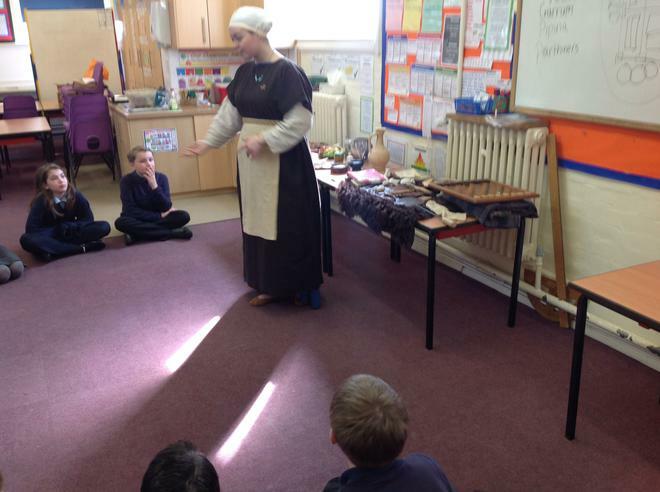 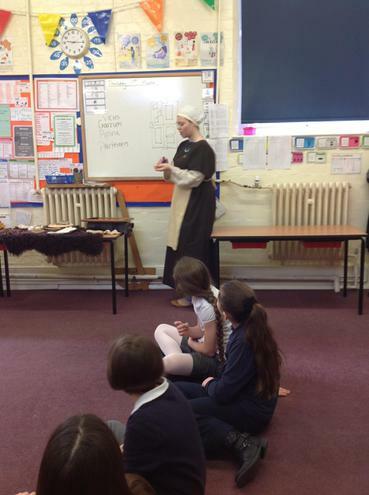 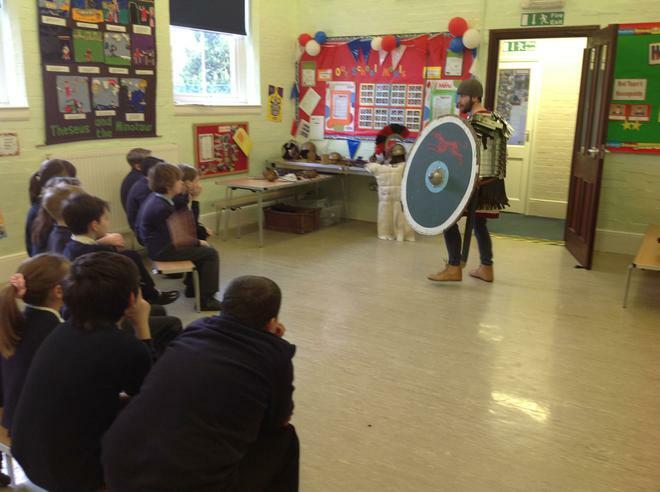 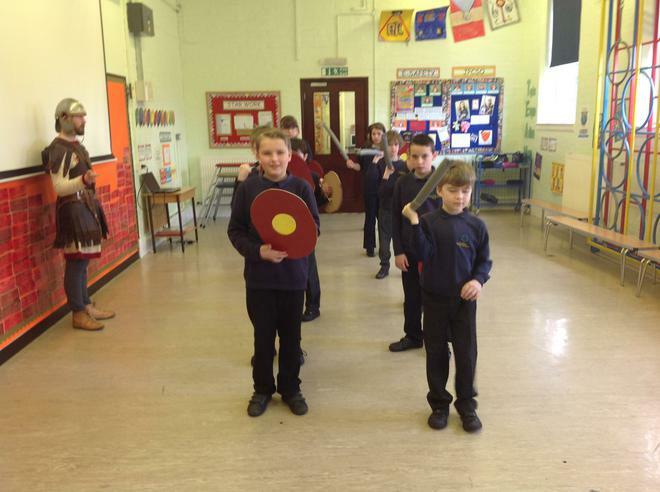 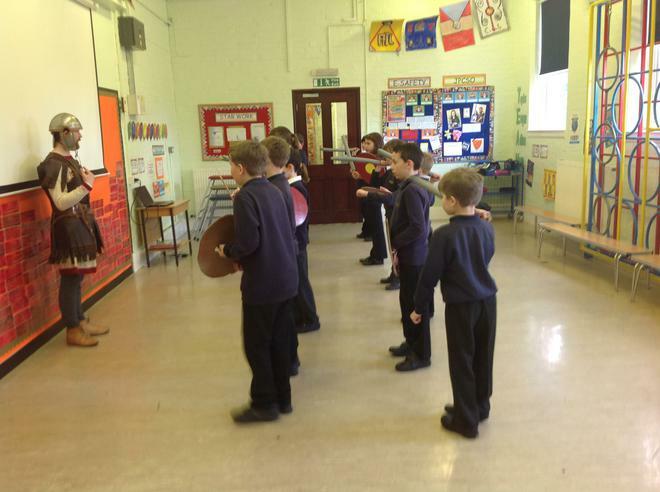 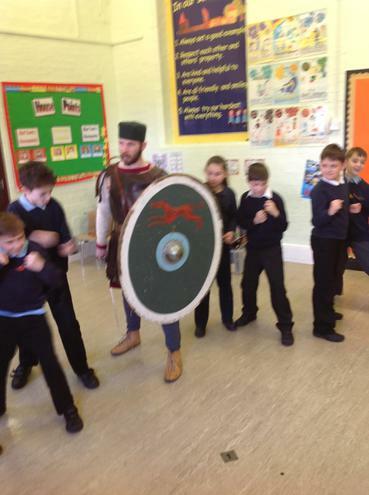 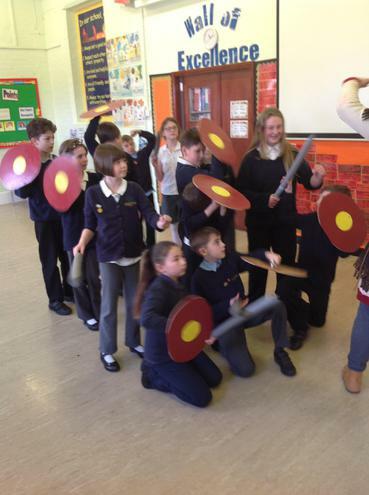 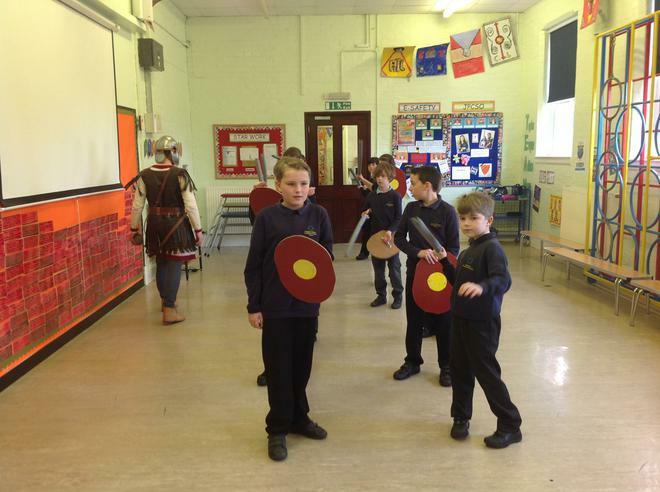 Oak class have been looking at life as a Roman at home and as a soldier. 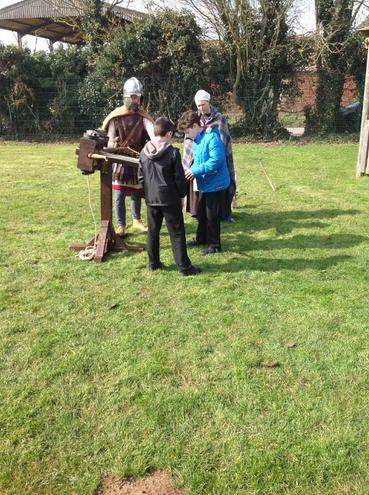 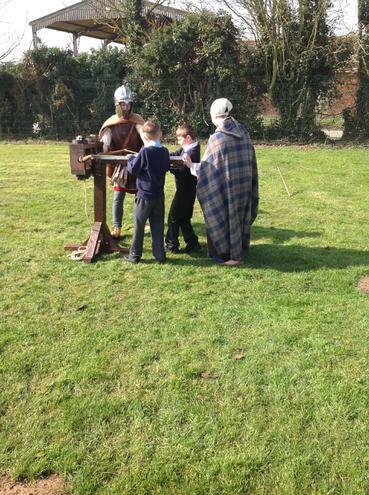 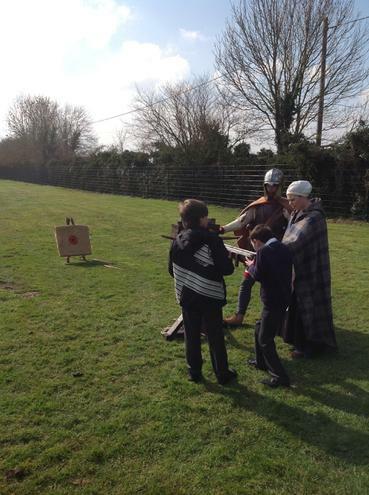 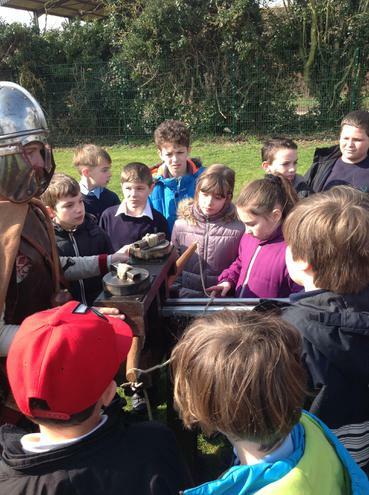 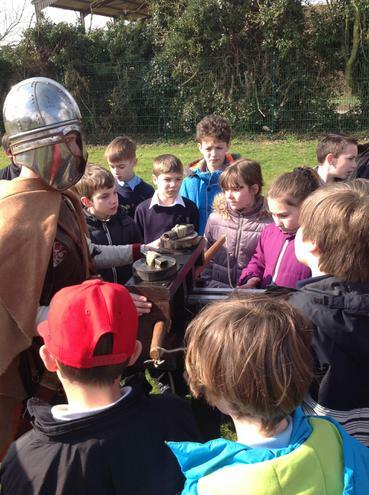 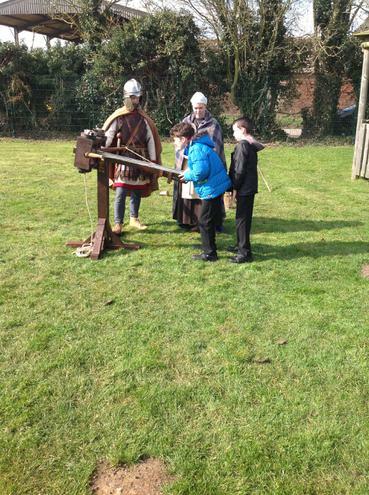 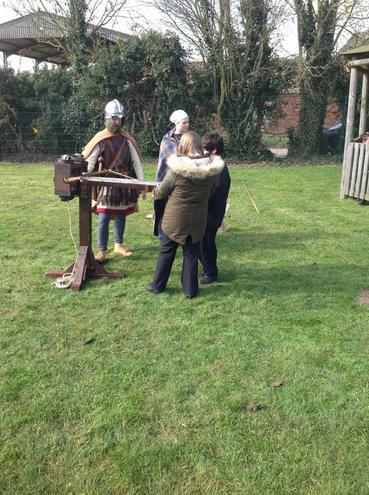 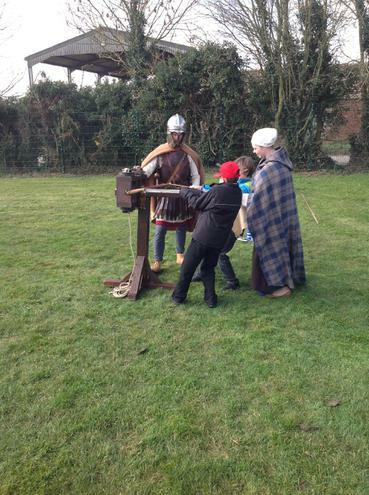 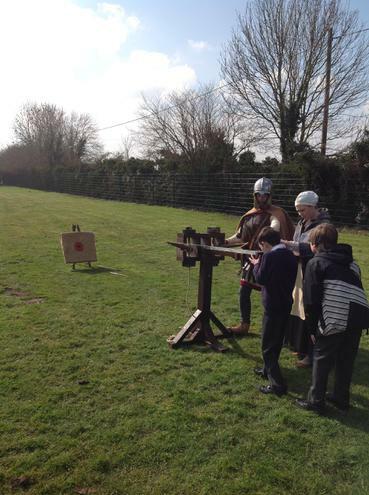 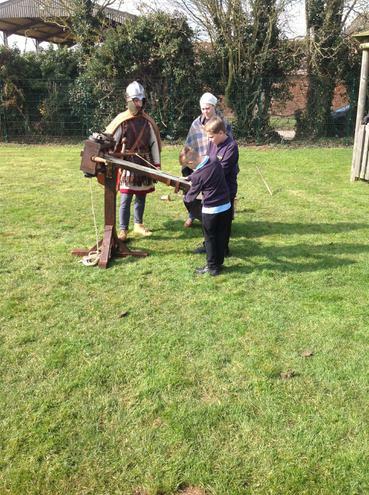 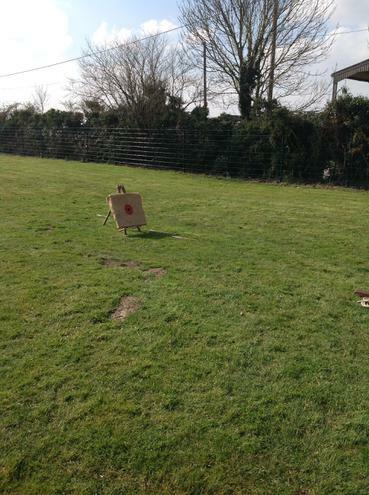 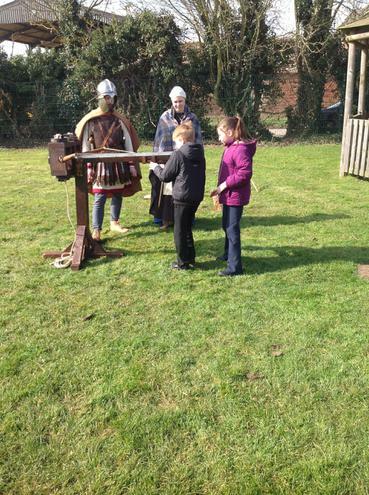 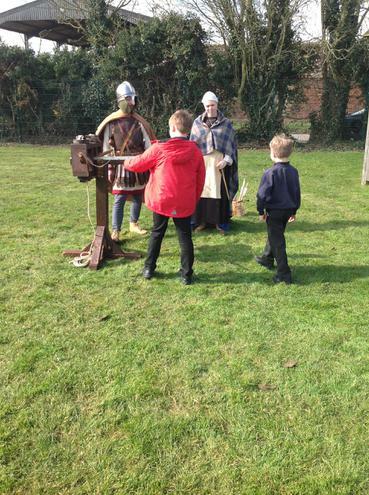 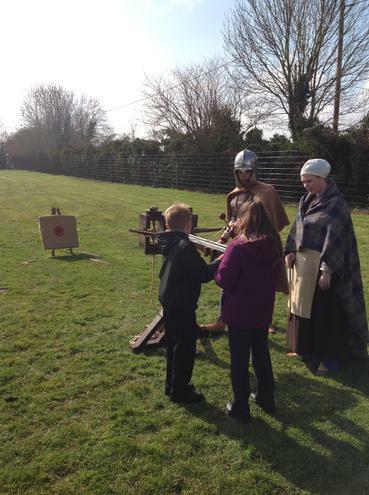 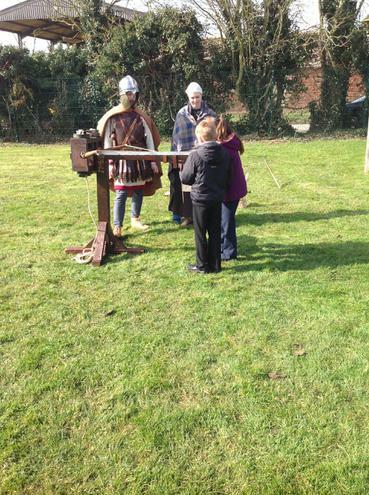 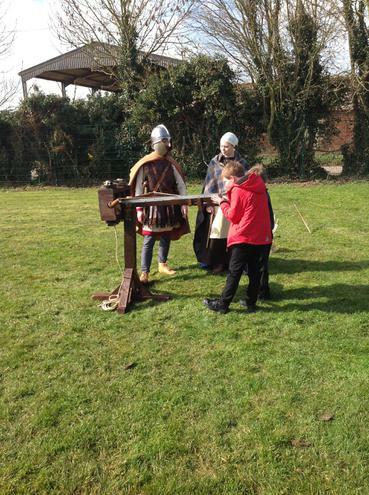 The children had the opportunity to taste Roman bread, practice soldier drills, hold pottery that was made 2000 years ago and fire a Roman ballista. 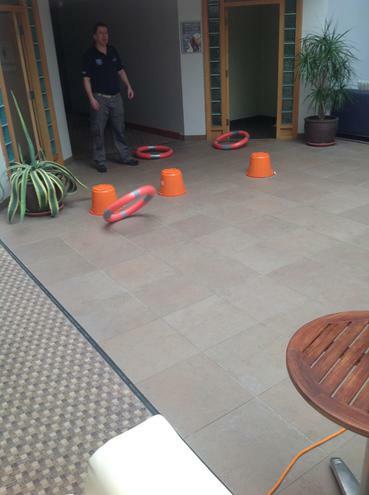 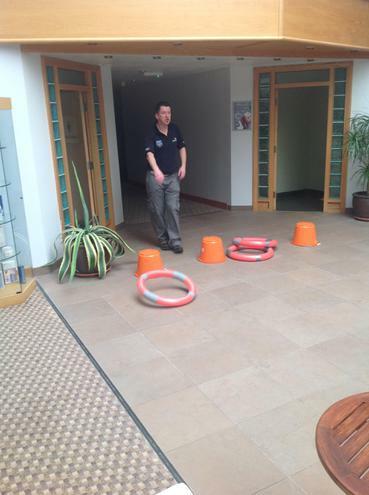 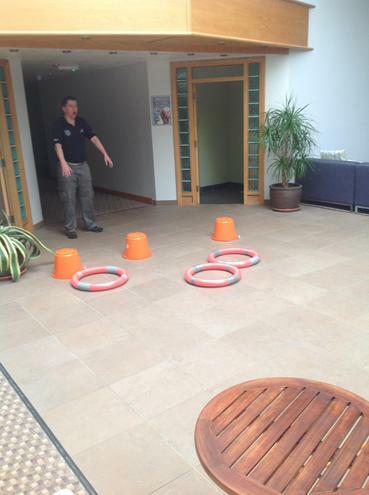 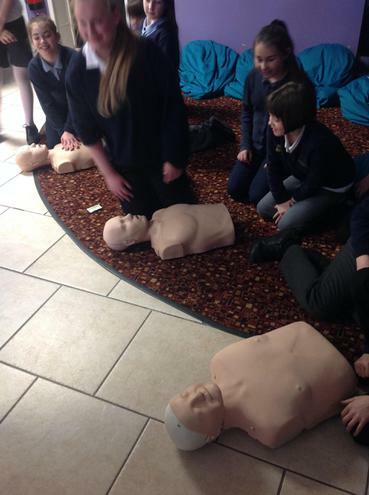 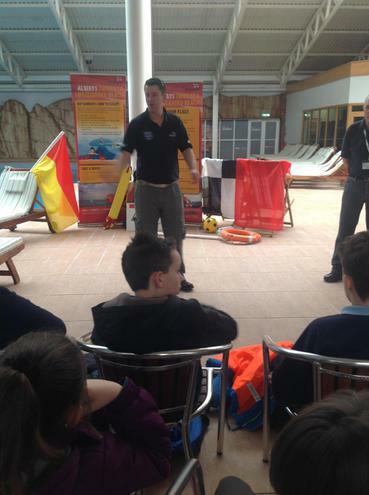 A Safety Day at Butlins! 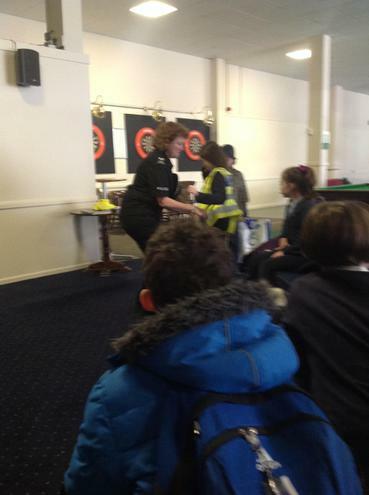 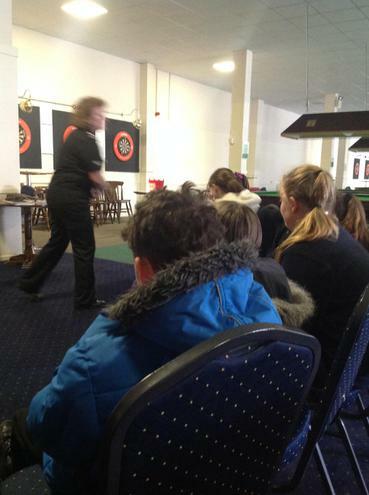 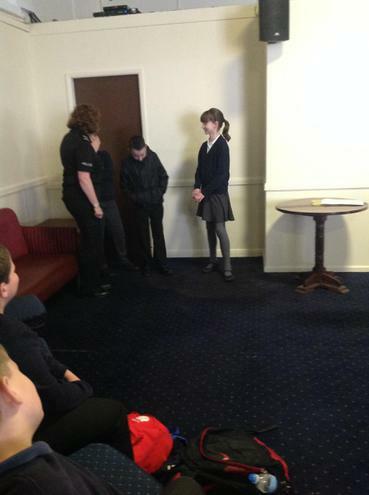 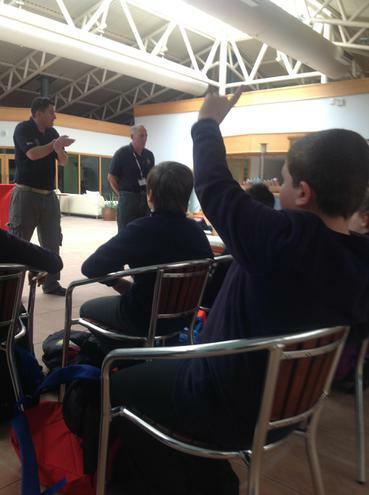 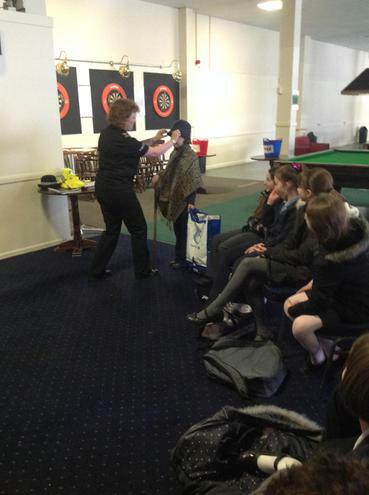 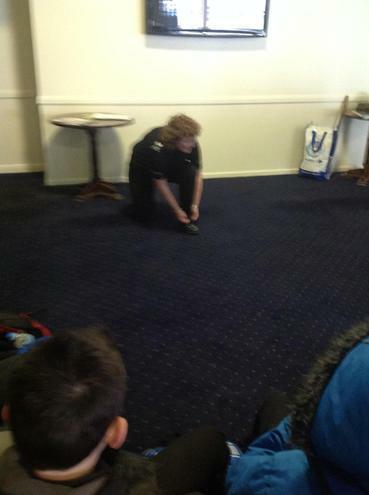 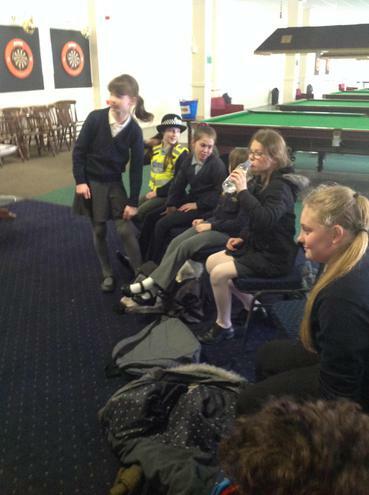 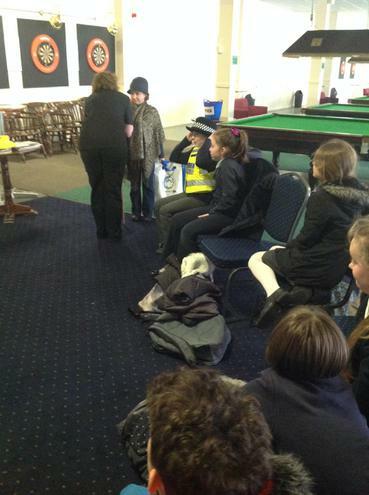 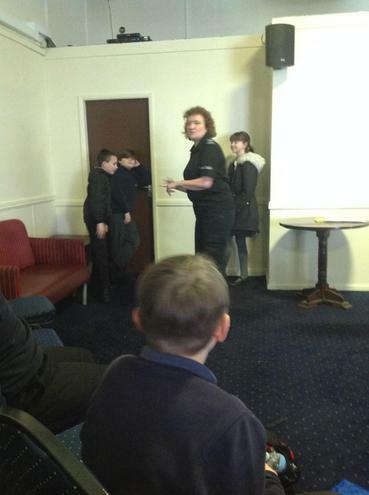 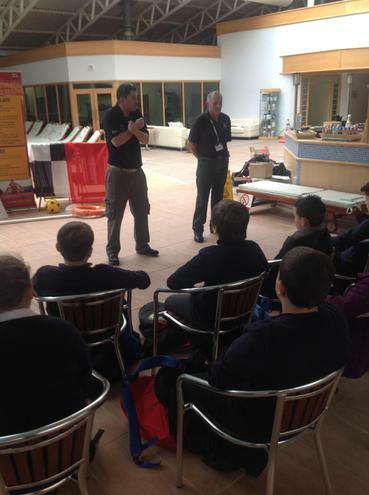 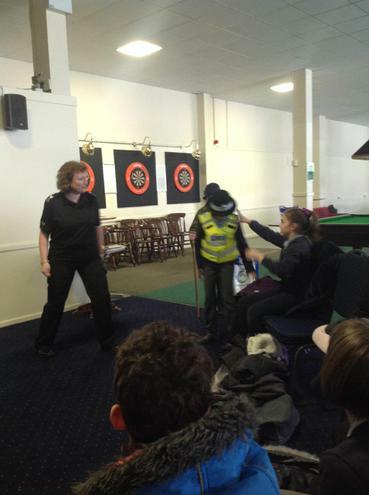 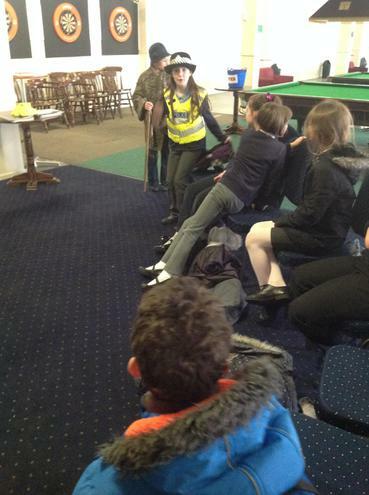 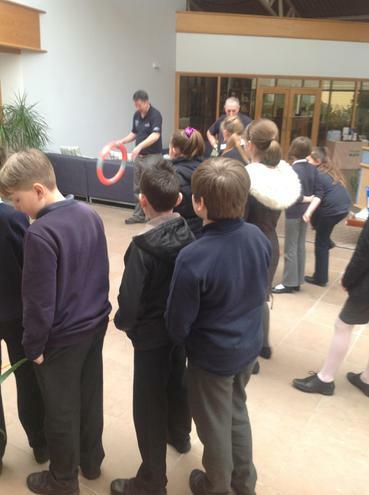 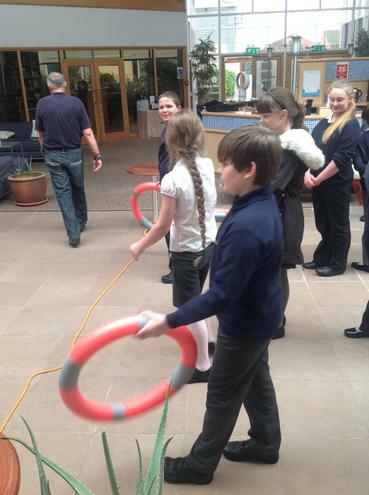 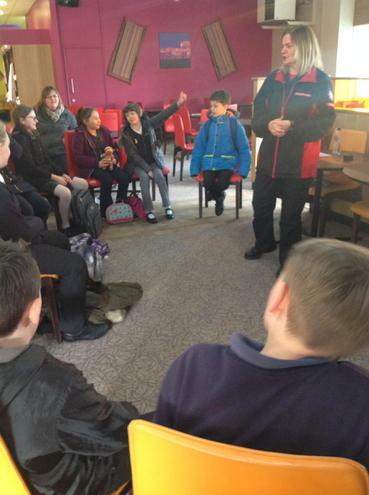 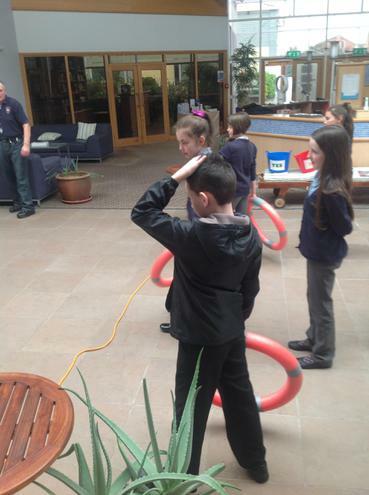 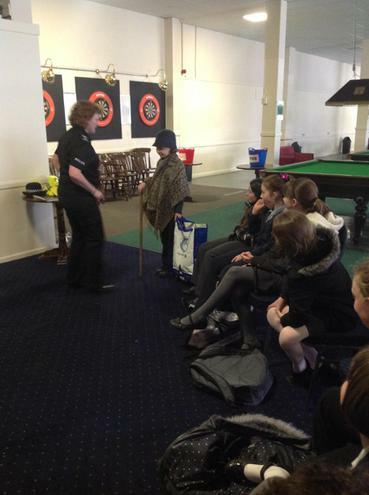 (Year 6) A fantastic day looking at road, fire, water and personal safety. 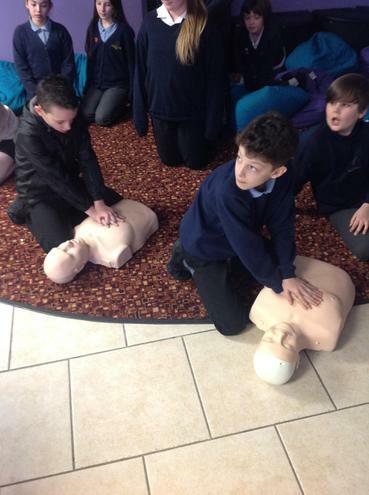 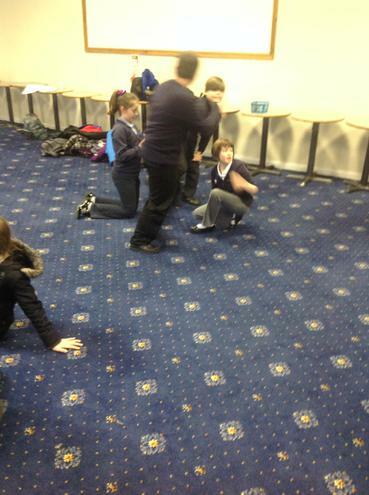 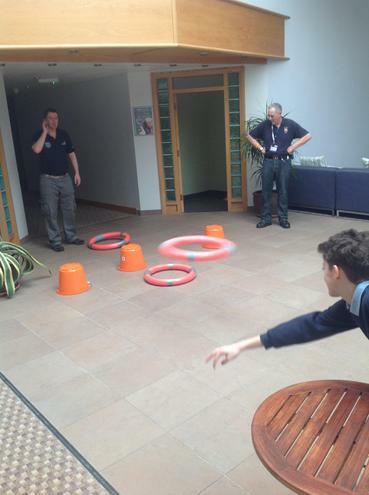 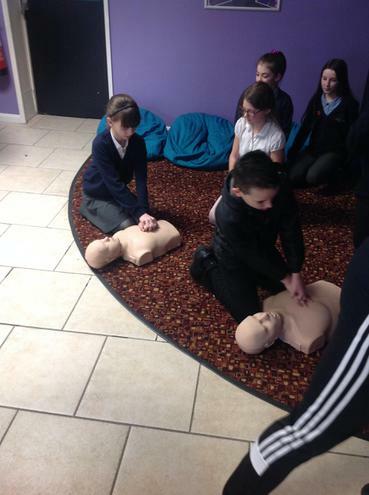 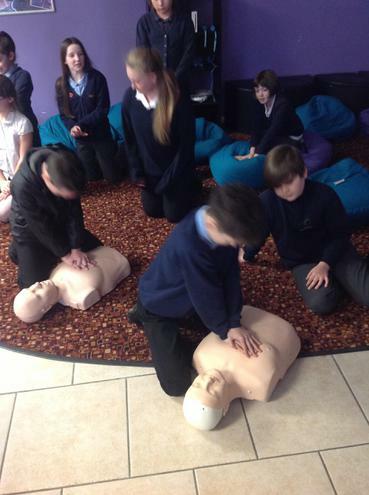 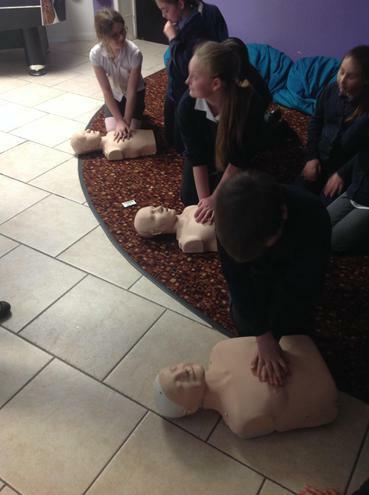 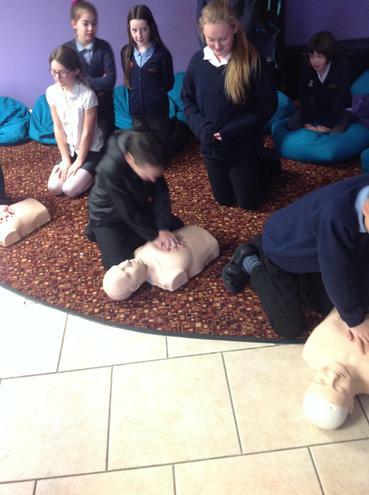 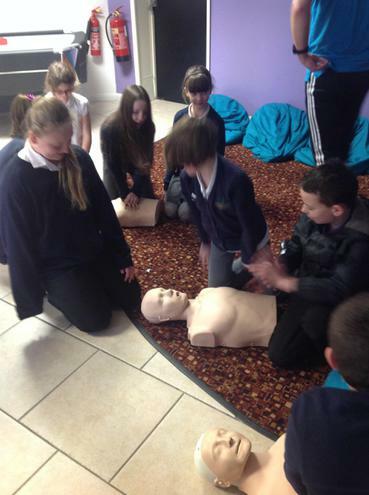 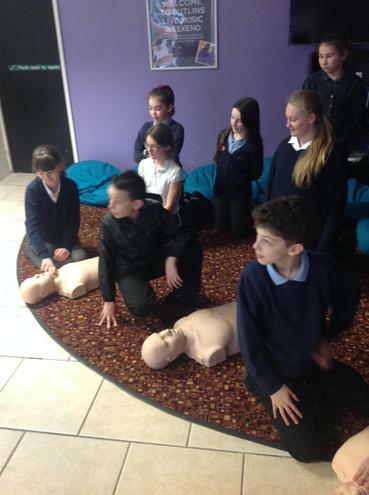 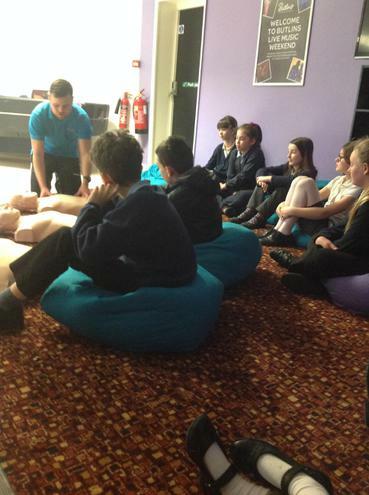 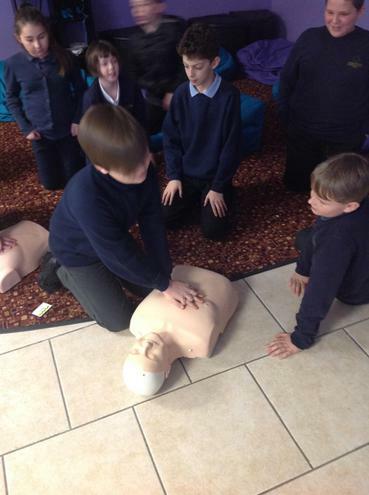 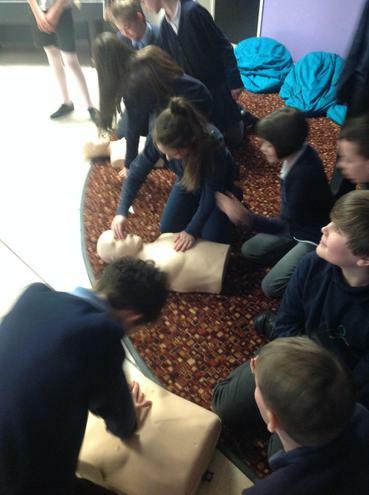 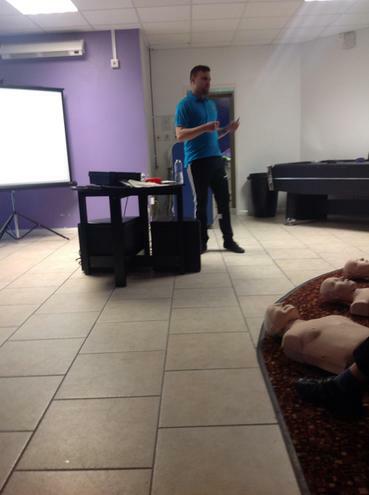 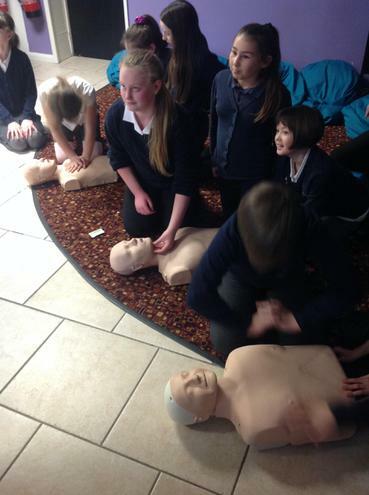 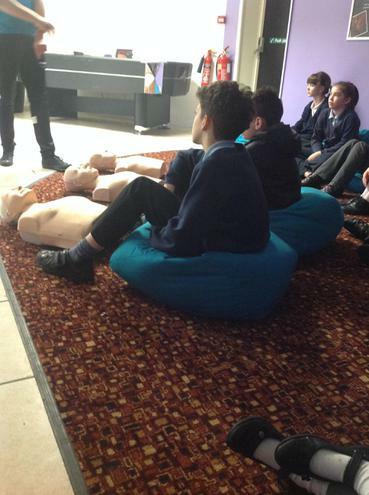 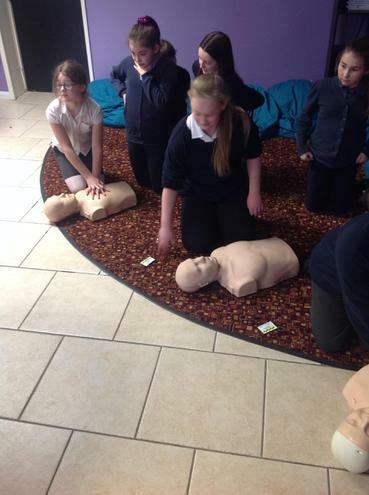 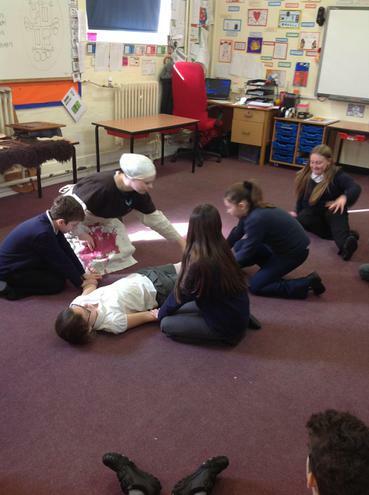 With sessions on first aid and social behaviour! 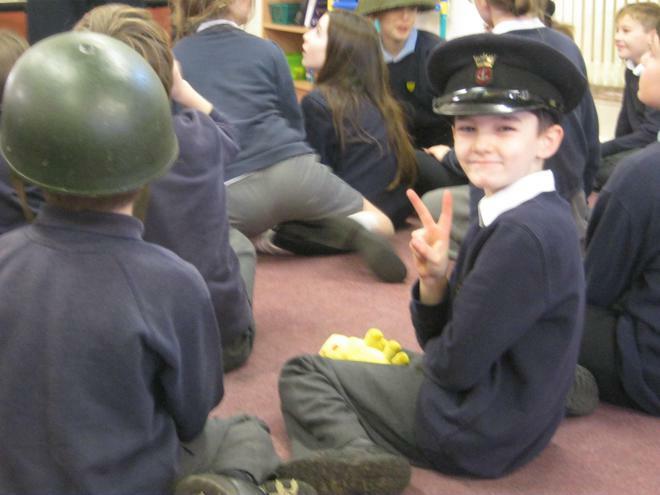 This term our topic is World War 2 and we have been focusing on areas such as the reasons why World War 2 started and more recently the events that led up to the Battle of Britain. 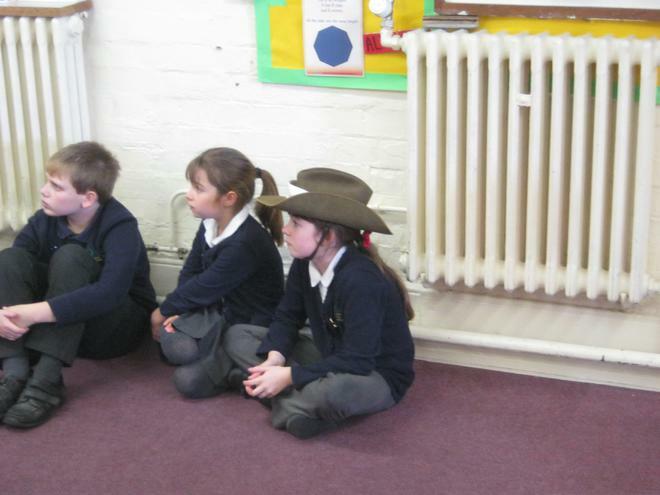 The children have taken it upon themselves to research around the topic and we have had some fantastic show and tells. 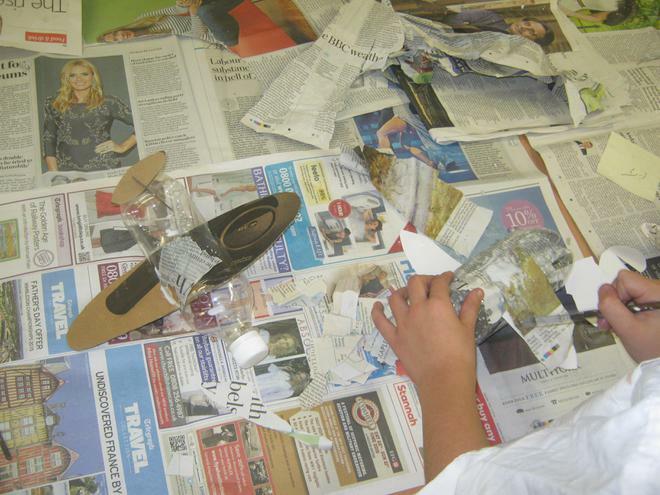 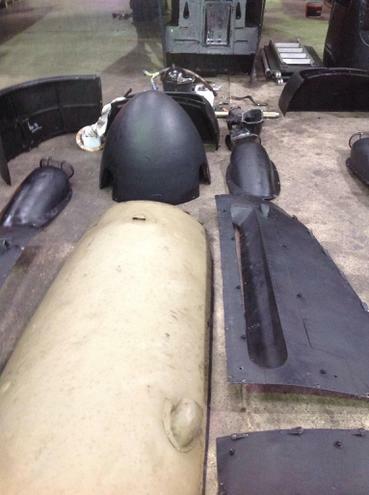 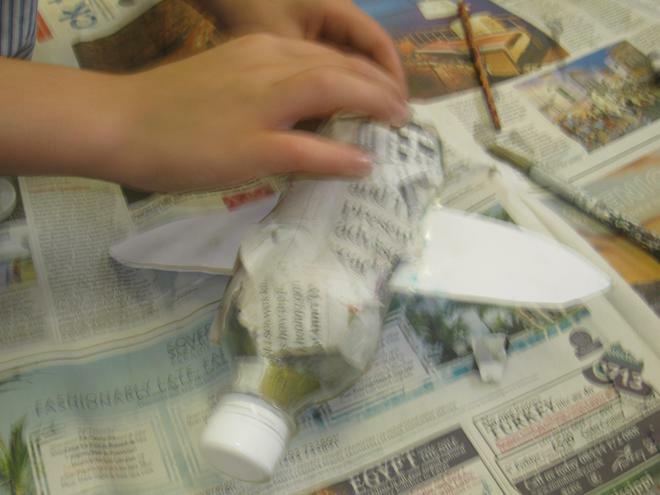 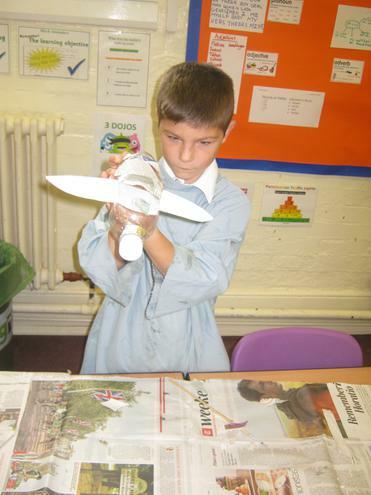 We are currently building our own British and German war planes and photos will soon follow this post. 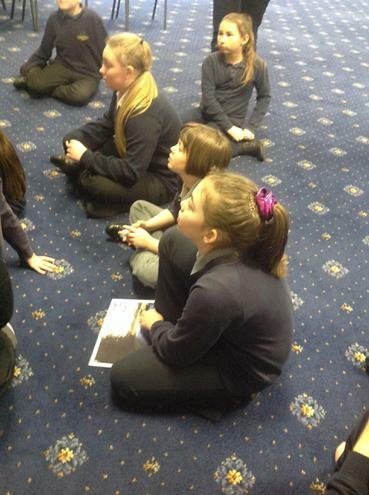 In Literacy, we are focusing on spelling and grammar. 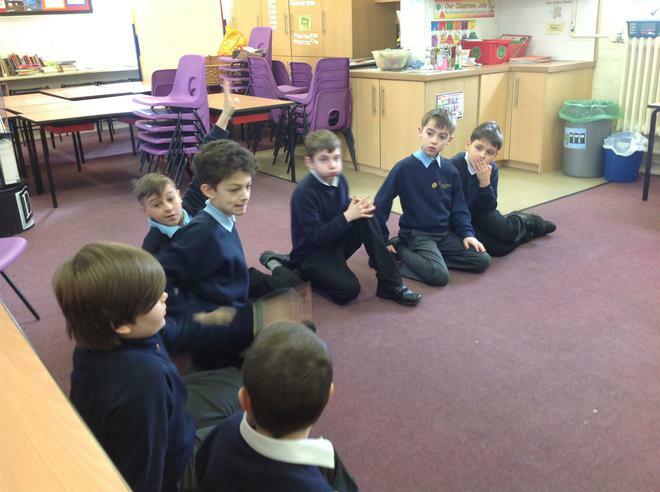 Whilst in RE we will look at Judaism and their beliefs and putting our spelling and grammar skills into practice with some extended writing. 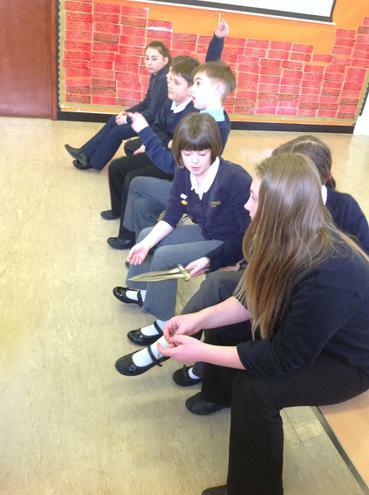 We will also continue to work with Liz, our music teacher on a variety of Wednesday afternoons. 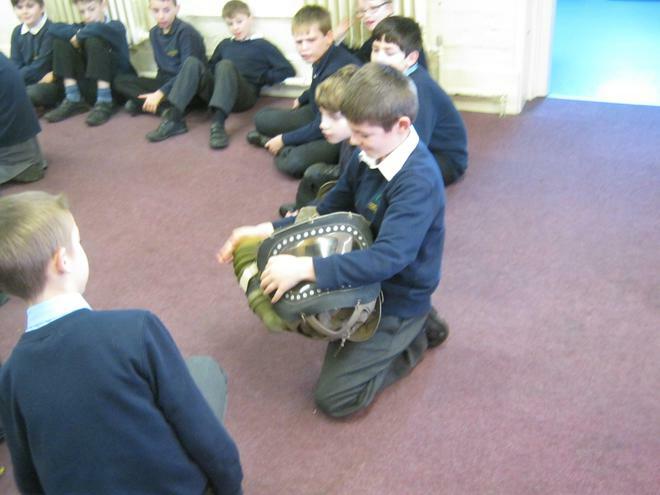 With some of the children practicing for a drumming performance. 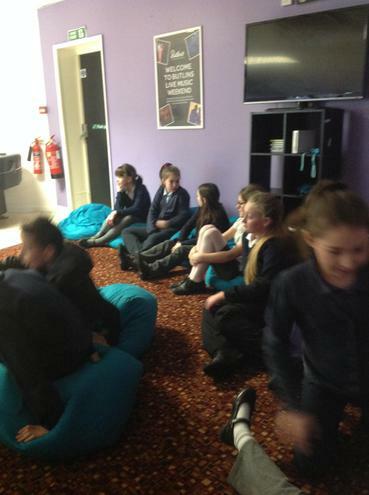 French will be taught this term by Mrs Gibbin, whilst Mr Pollard works with Chestnut Class on their computing and app skills. 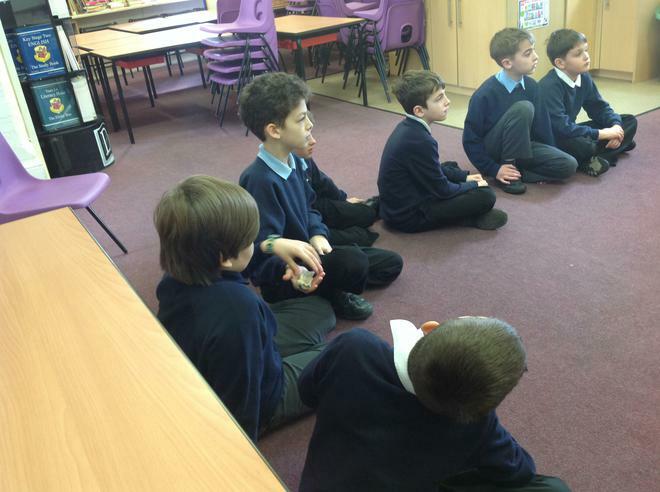 Our maths continues to have a big focus on mental calculation skills and applying our mathematical knowledge to solve real life problems. 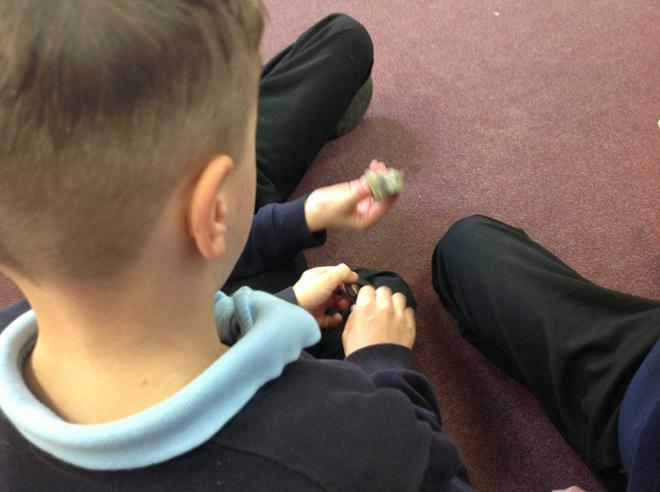 The children are currently exploring to use written and mental subtraction. 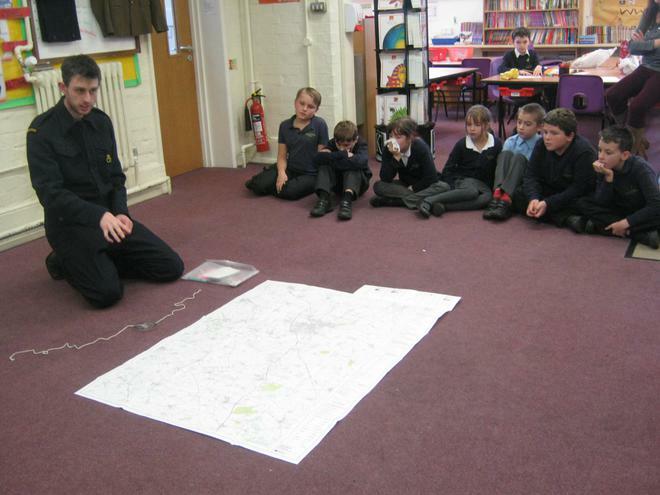 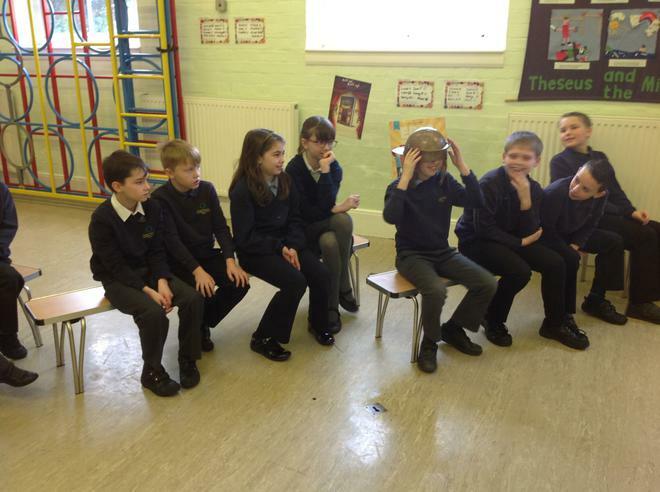 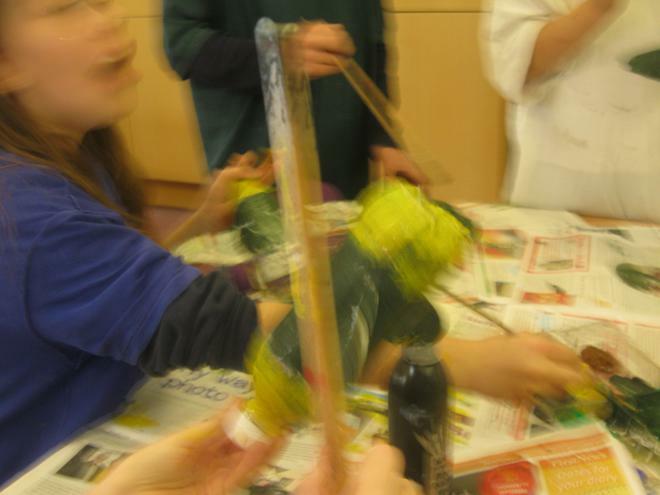 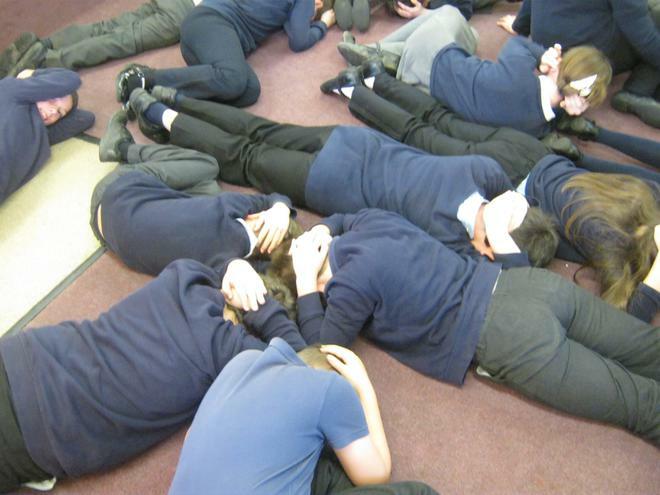 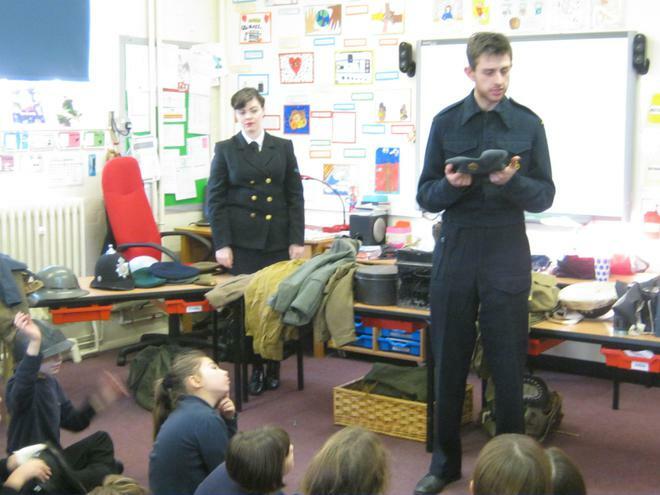 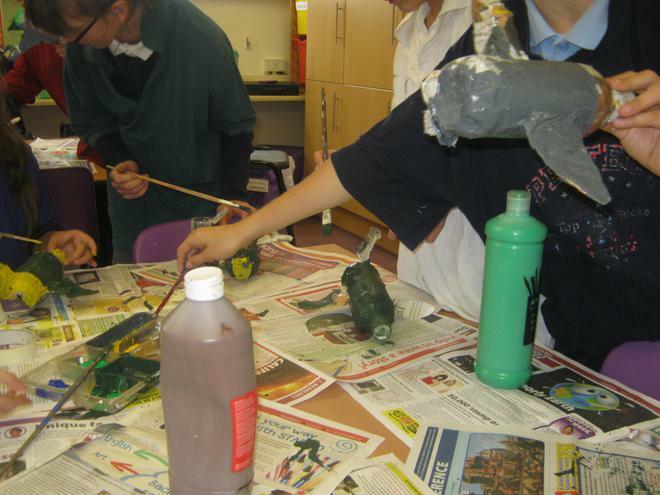 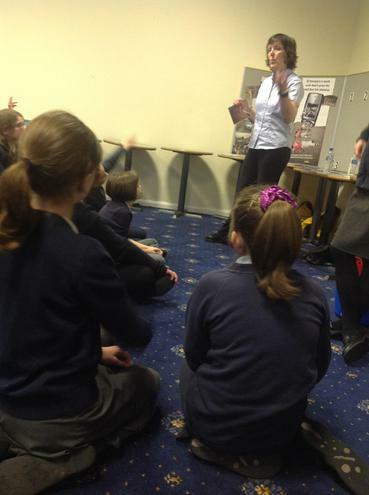 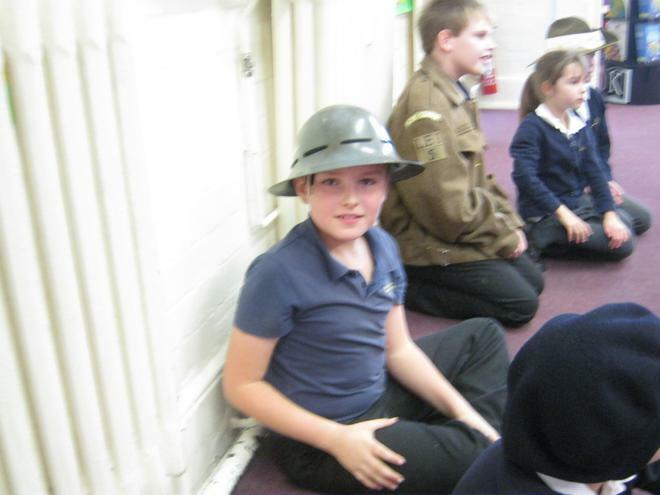 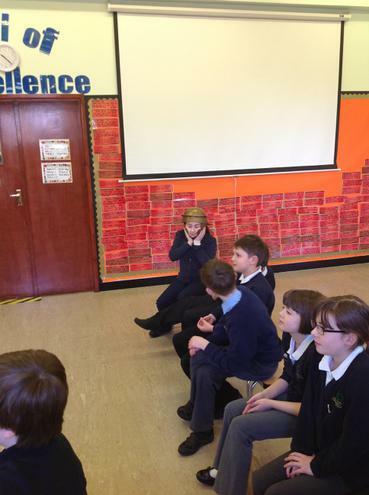 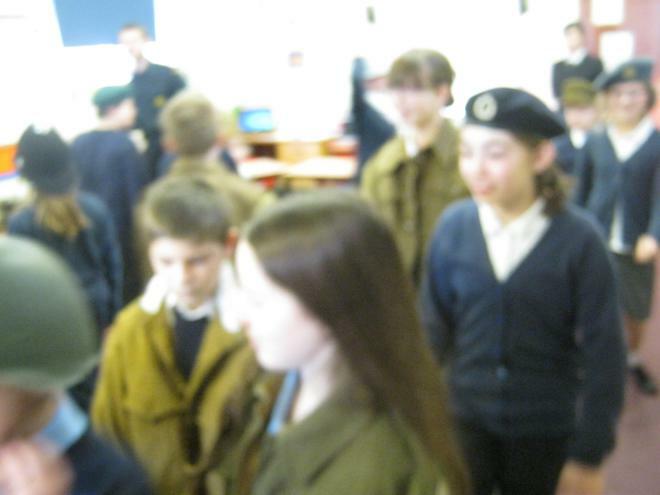 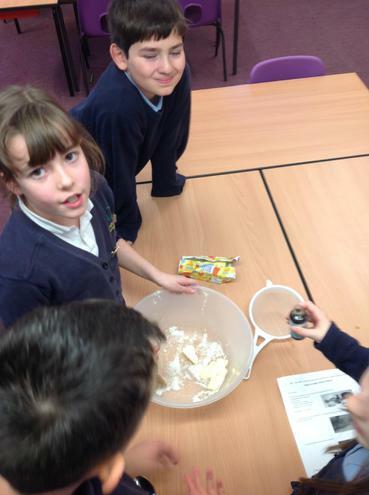 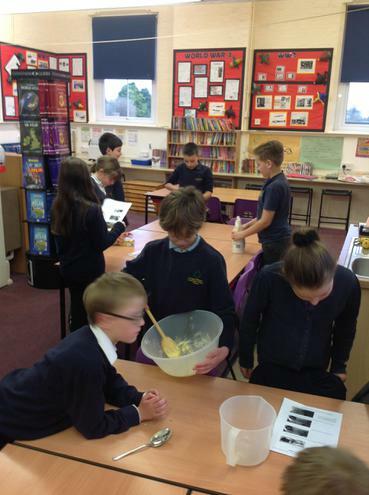 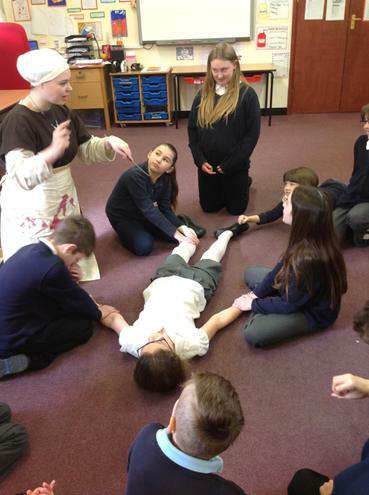 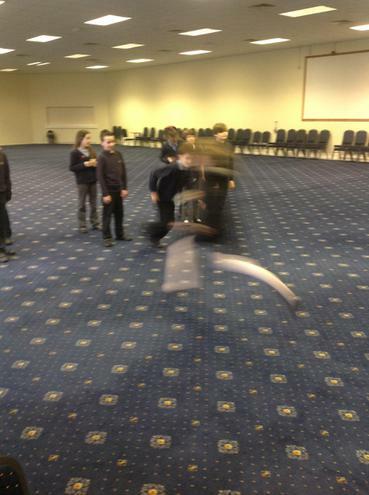 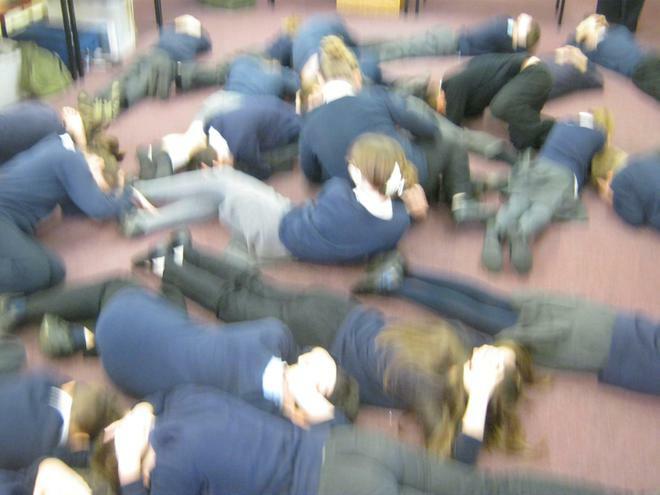 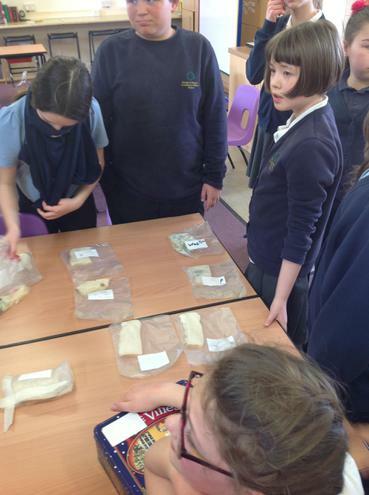 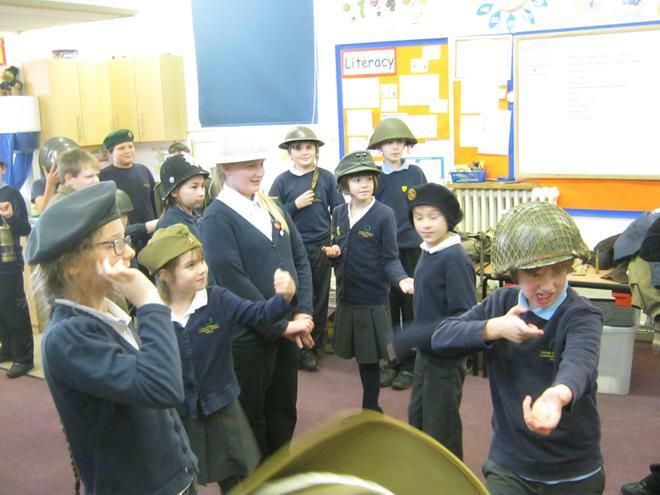 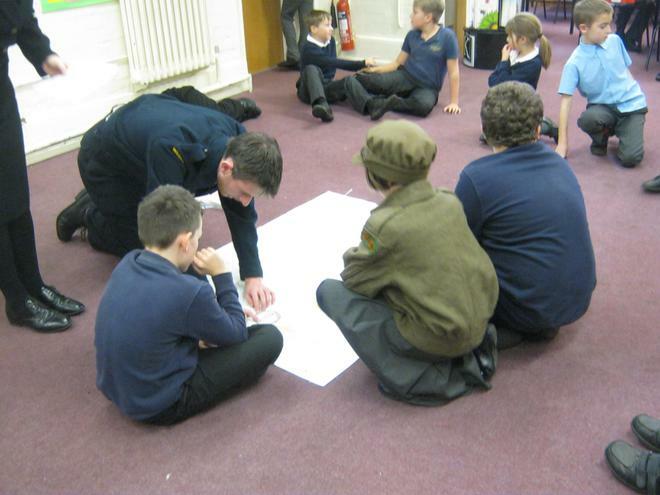 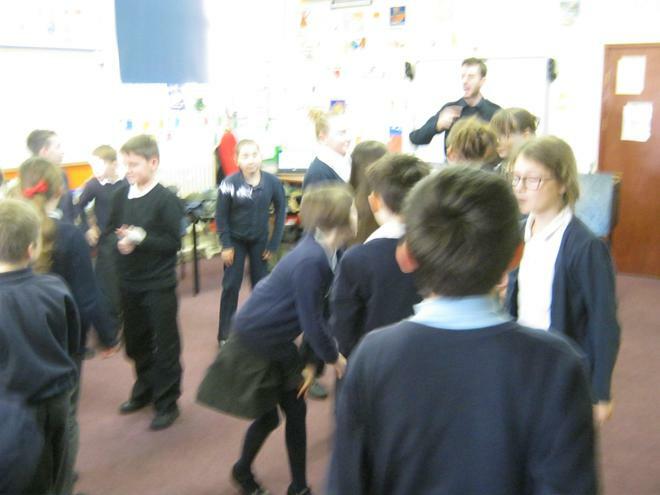 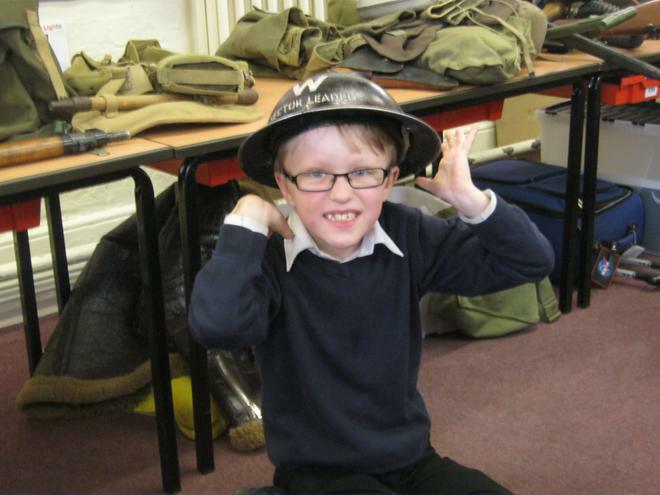 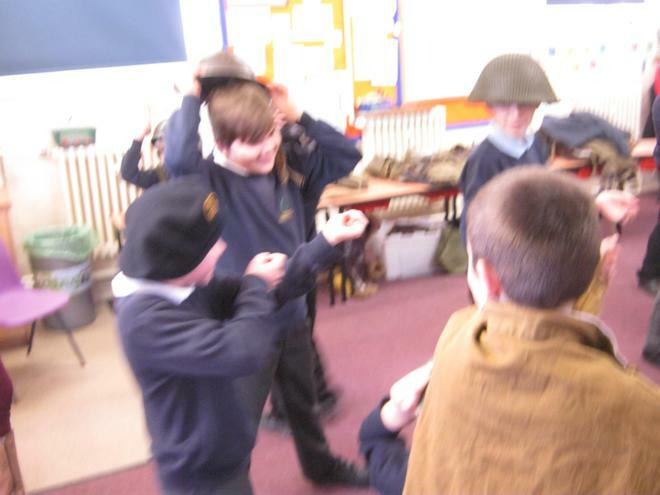 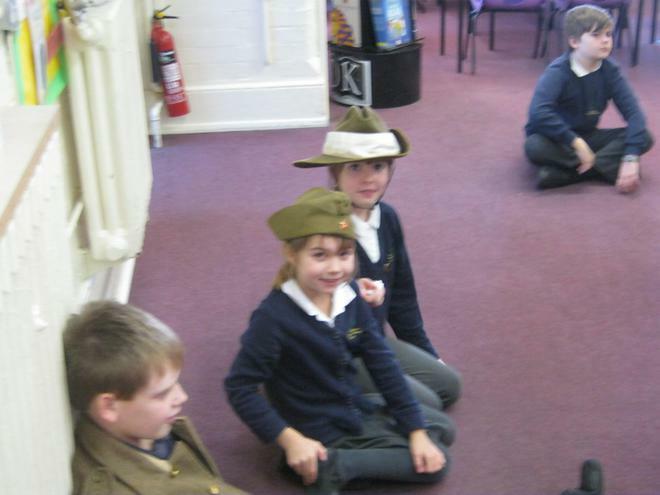 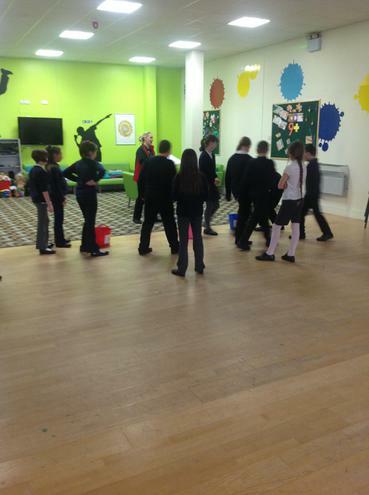 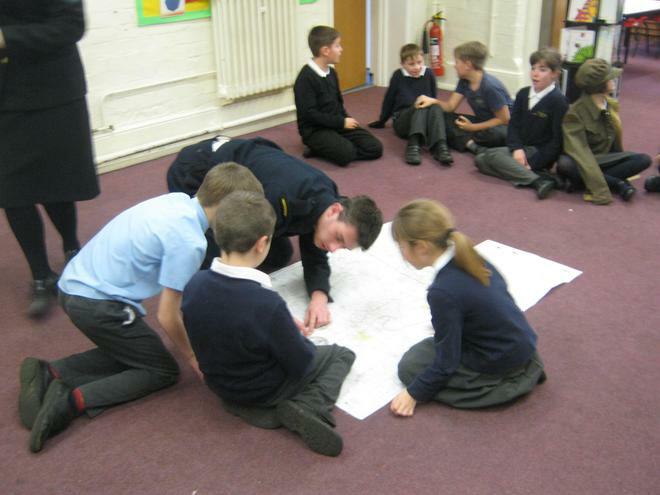 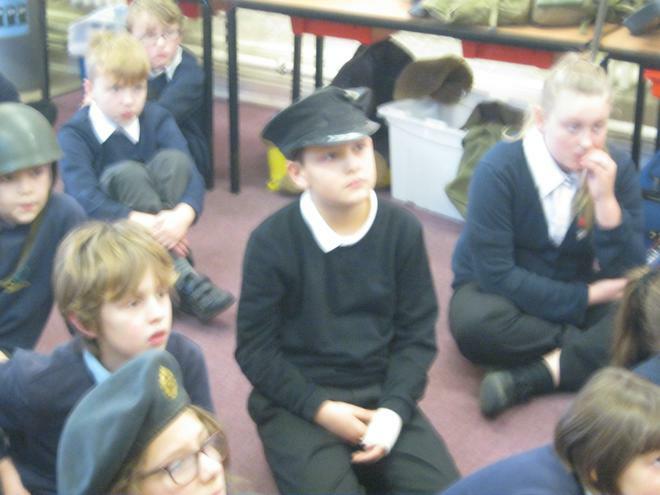 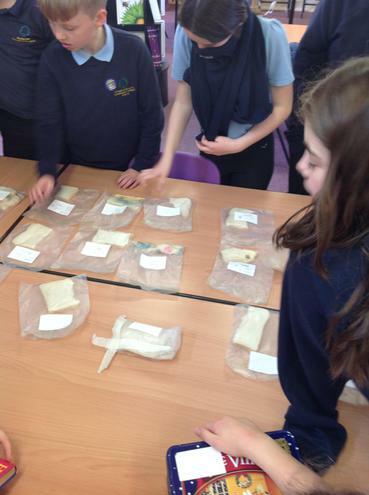 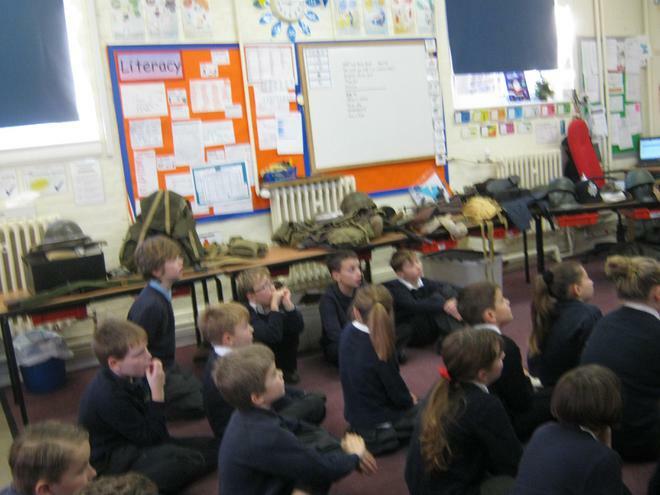 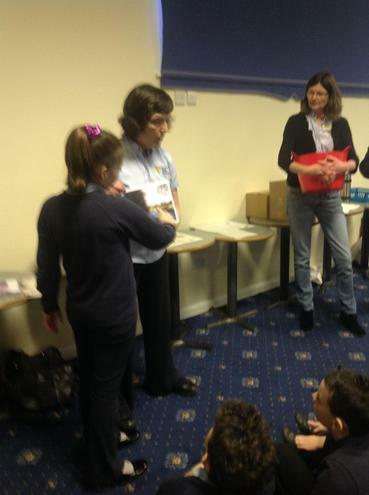 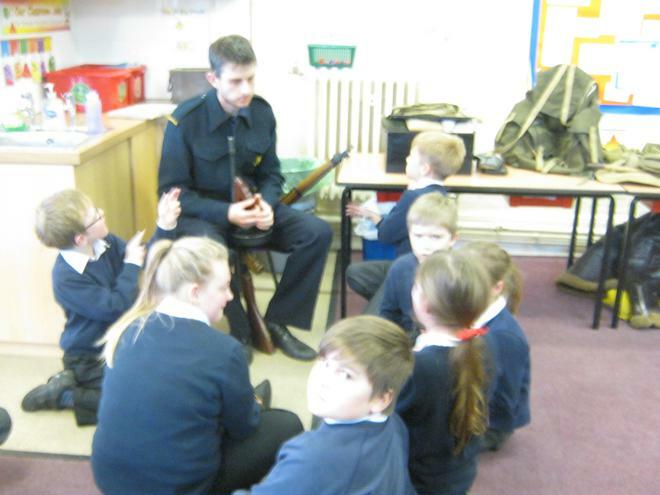 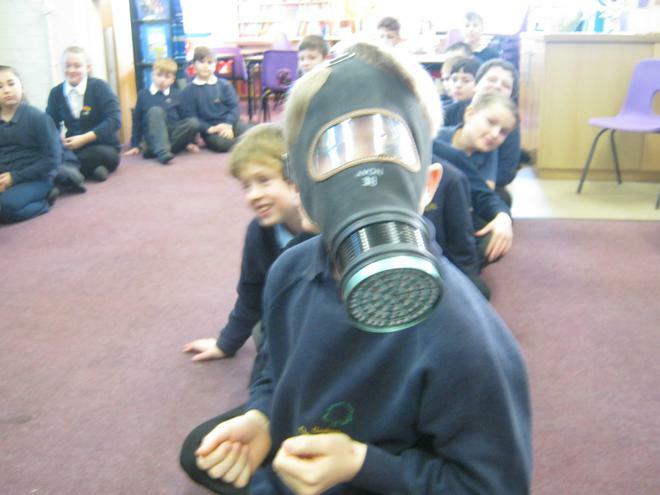 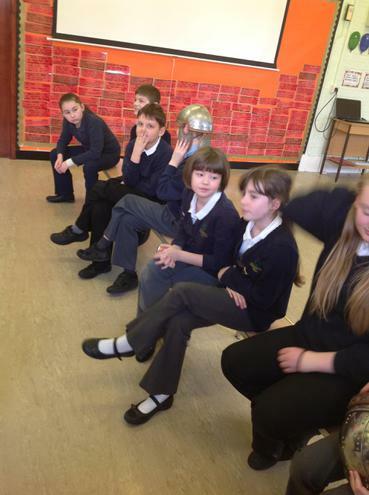 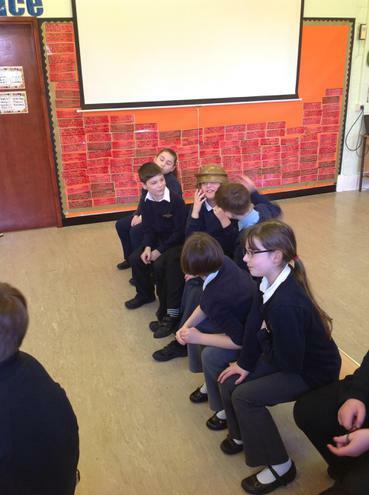 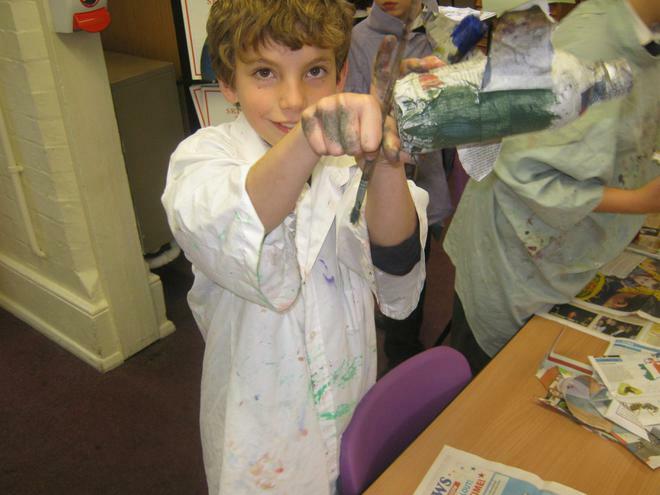 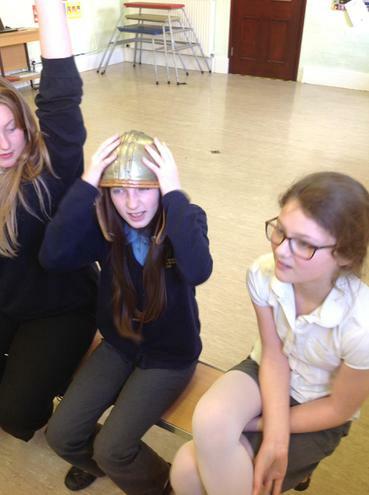 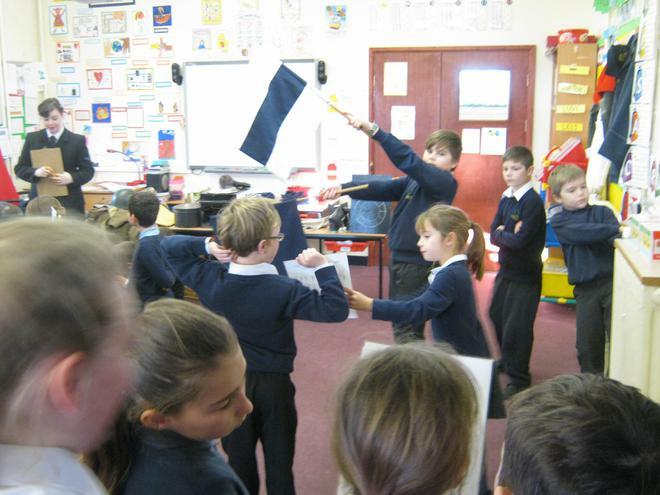 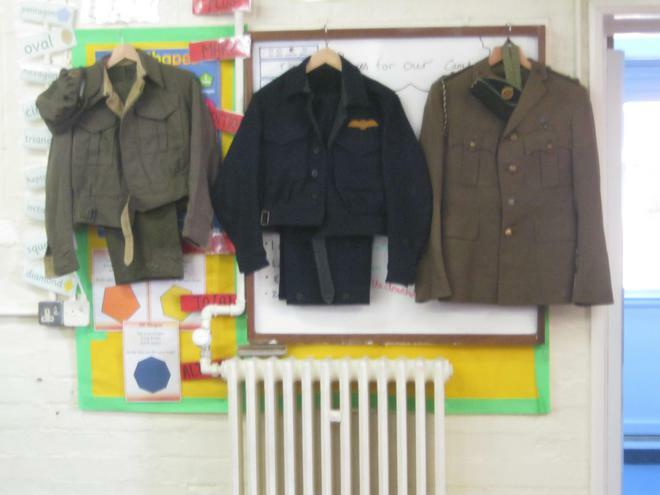 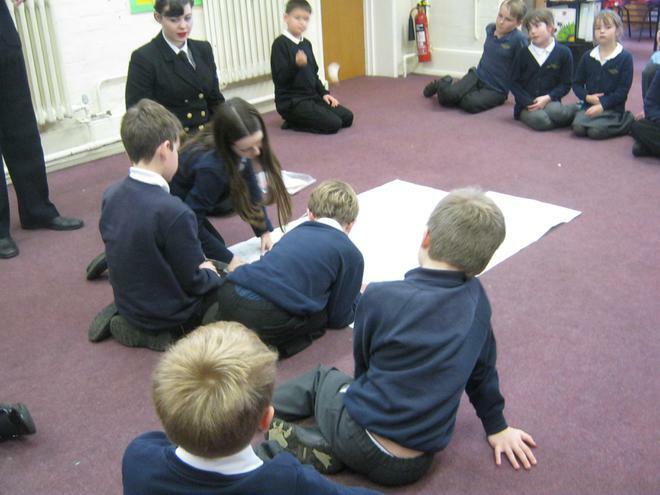 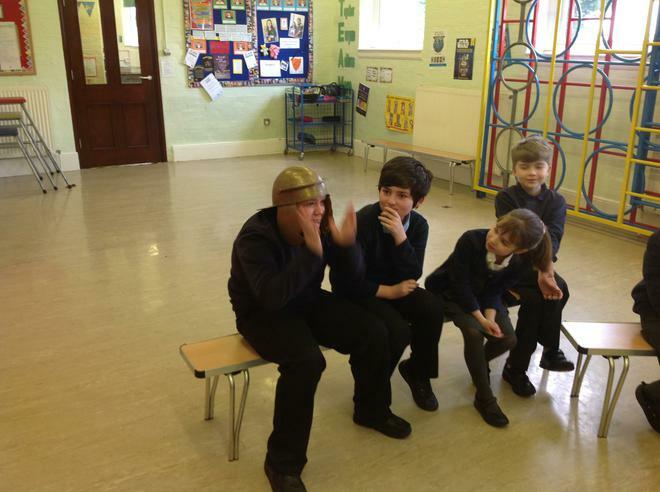 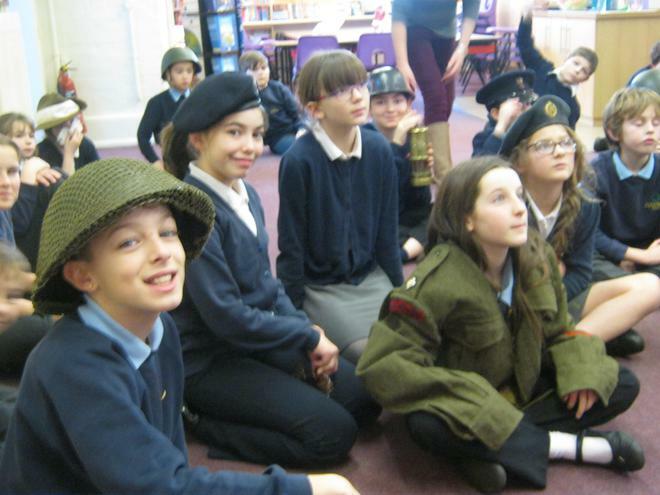 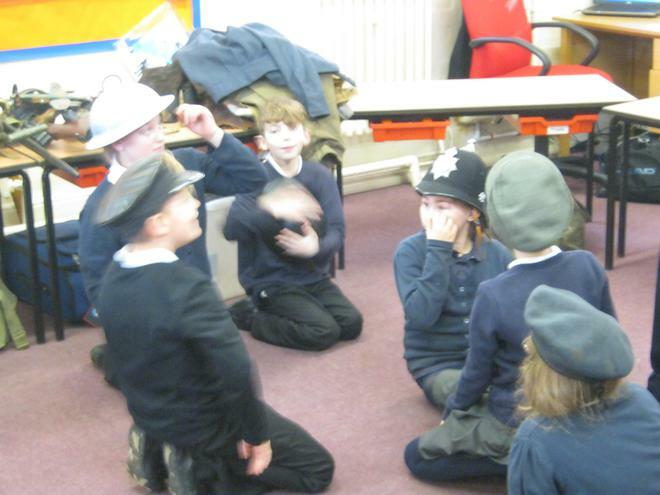 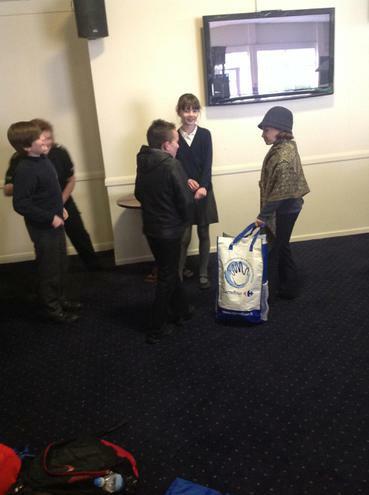 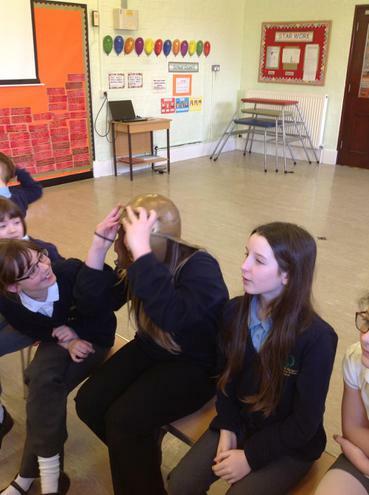 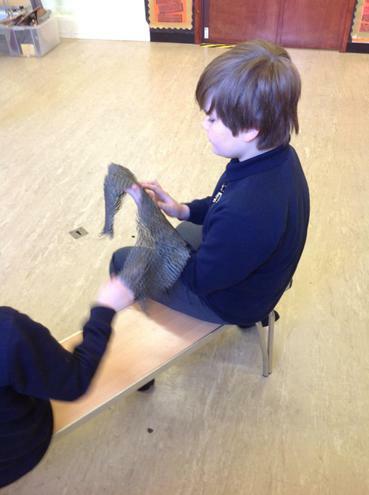 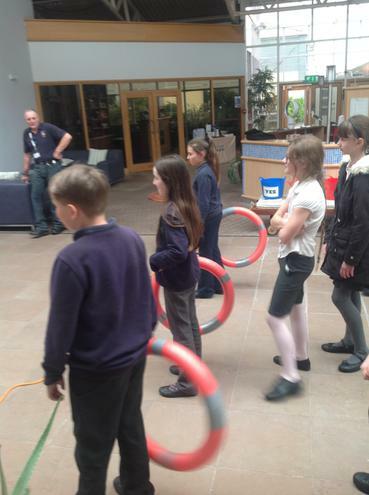 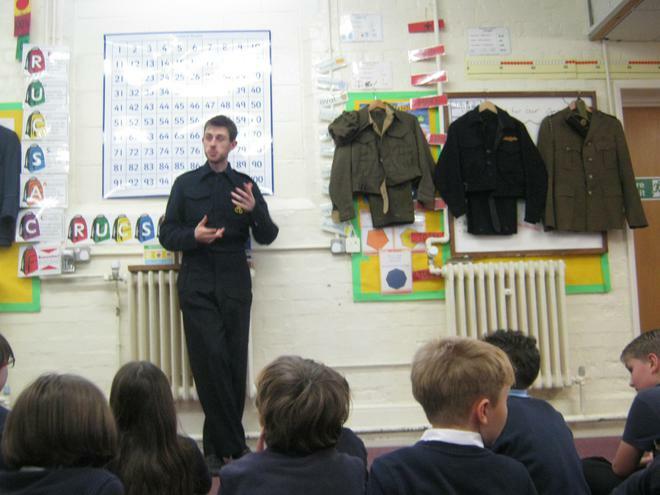 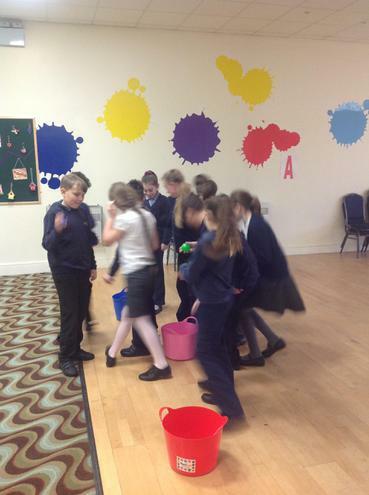 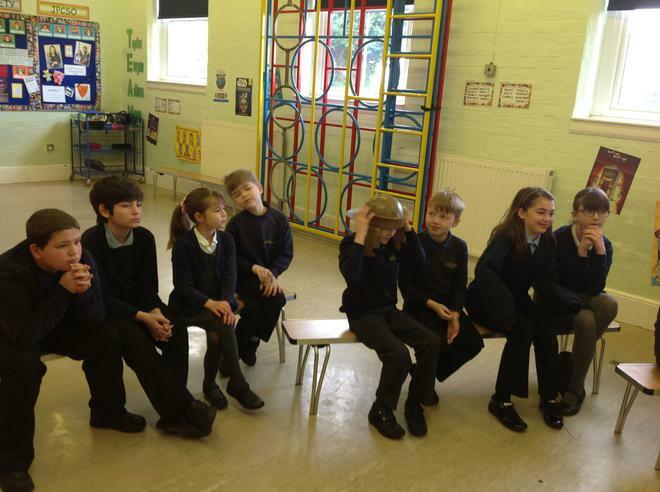 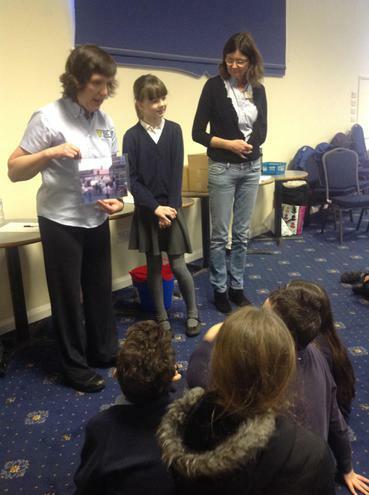 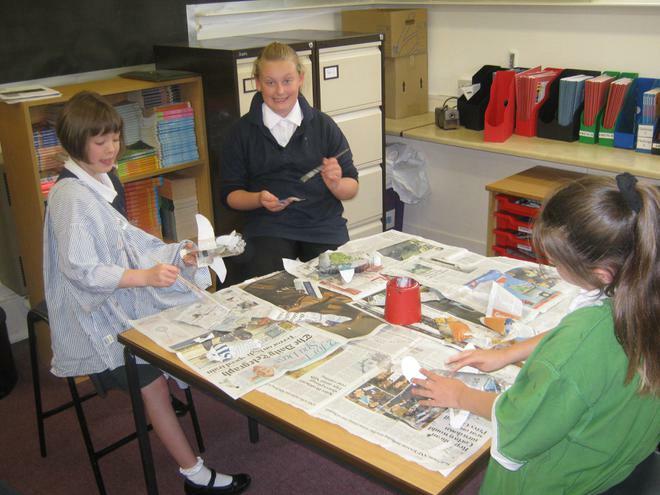 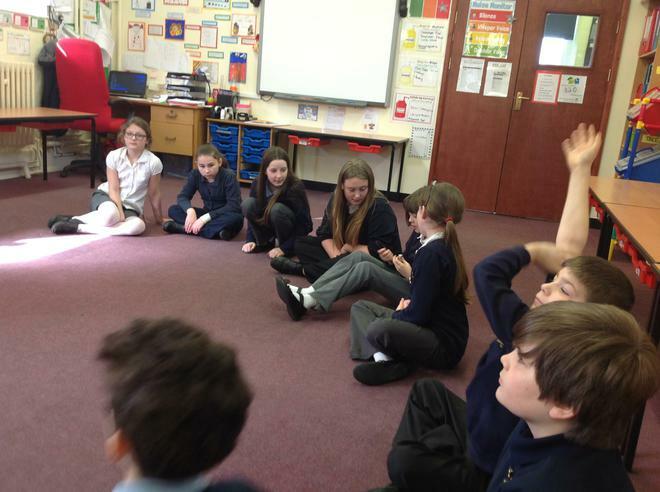 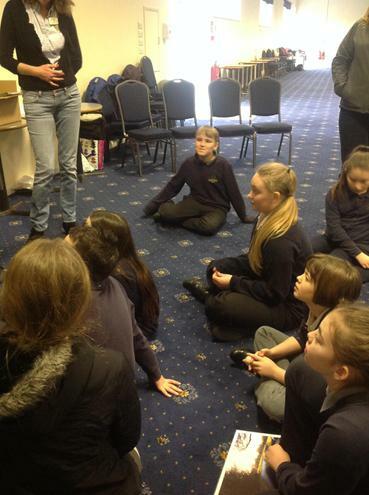 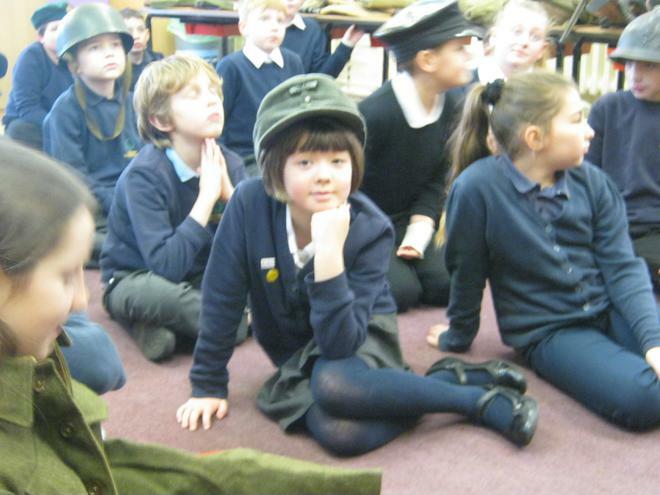 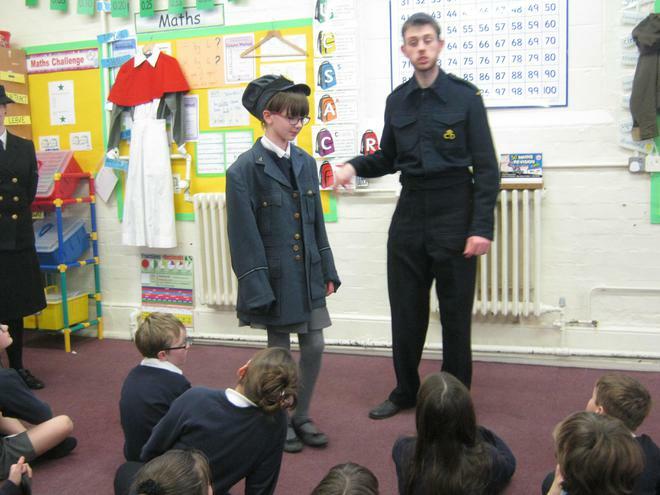 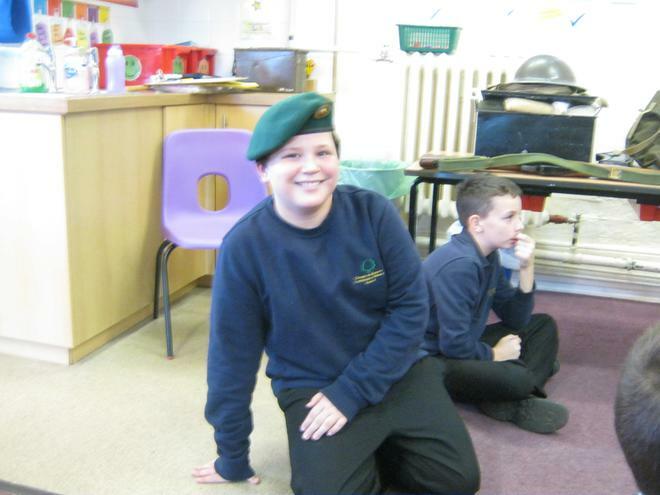 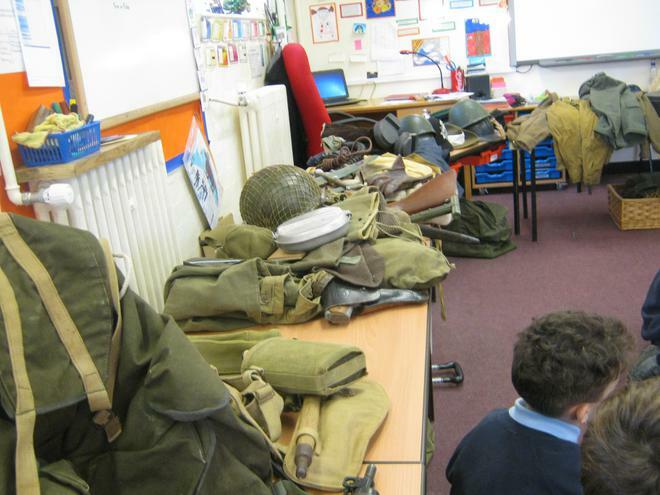 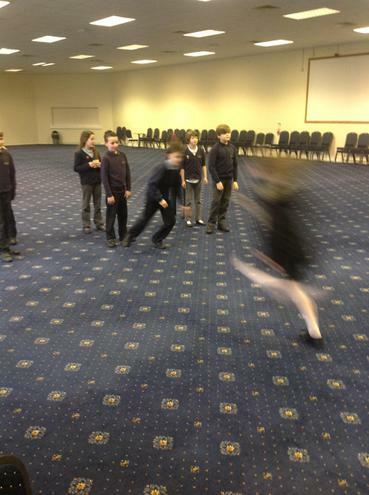 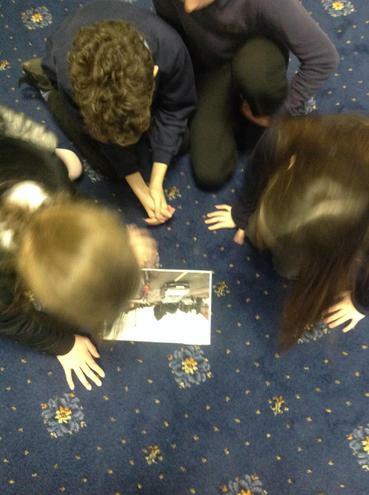 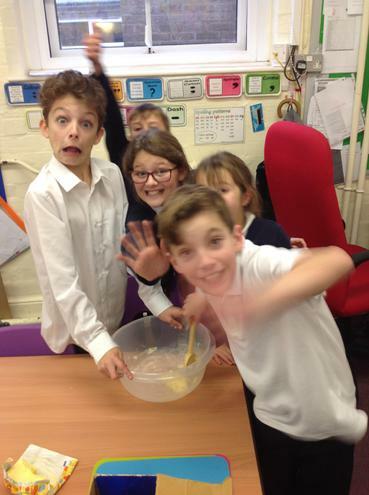 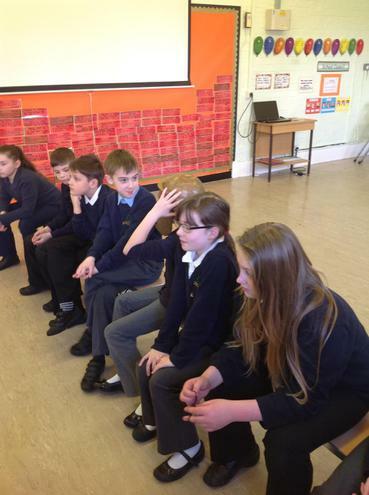 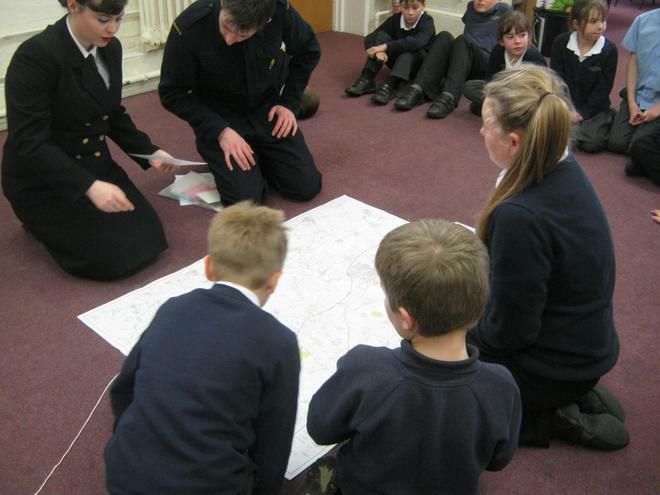 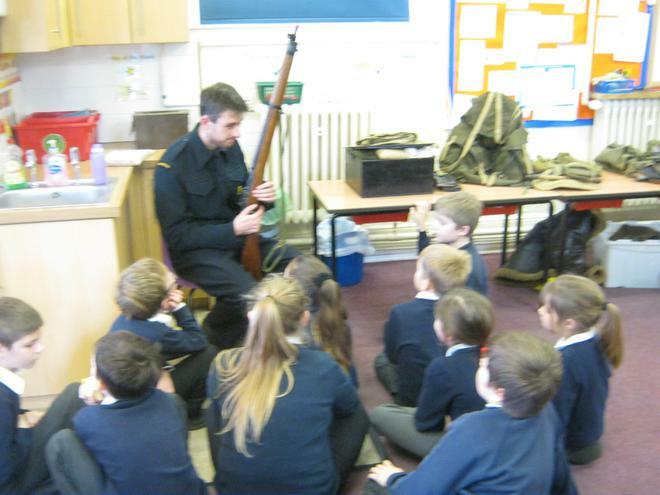 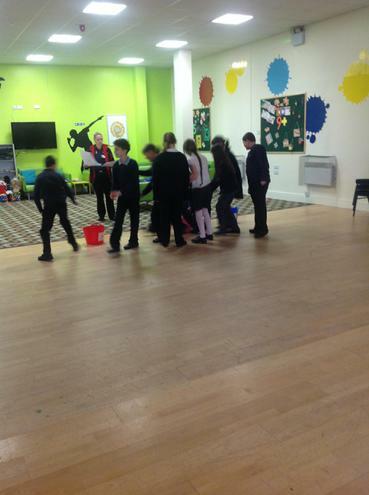 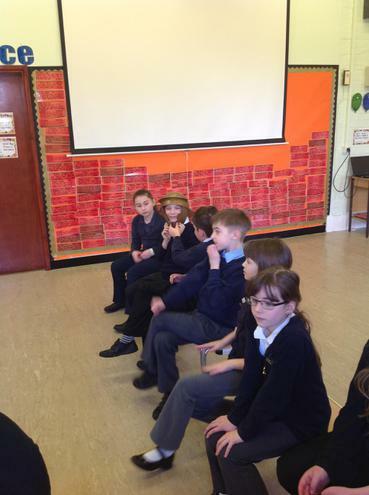 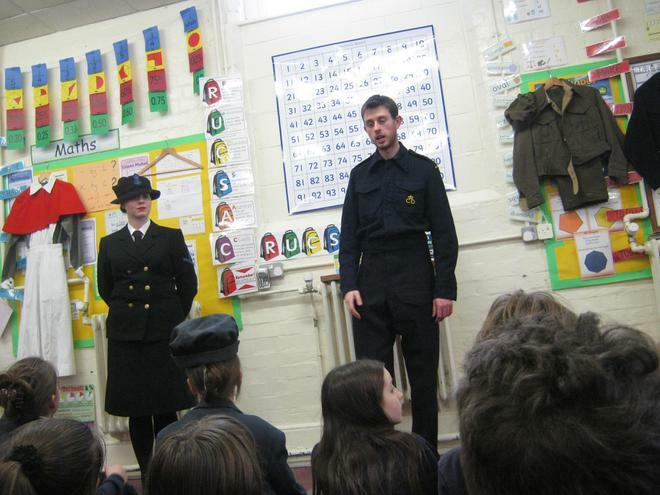 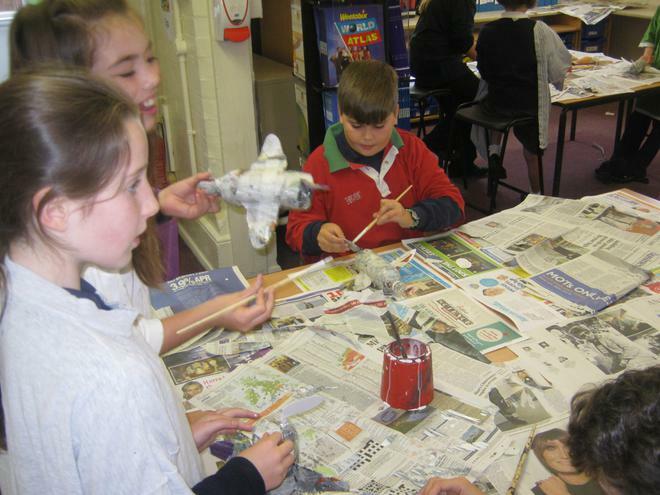 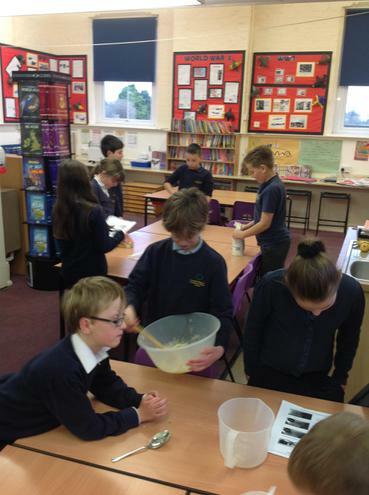 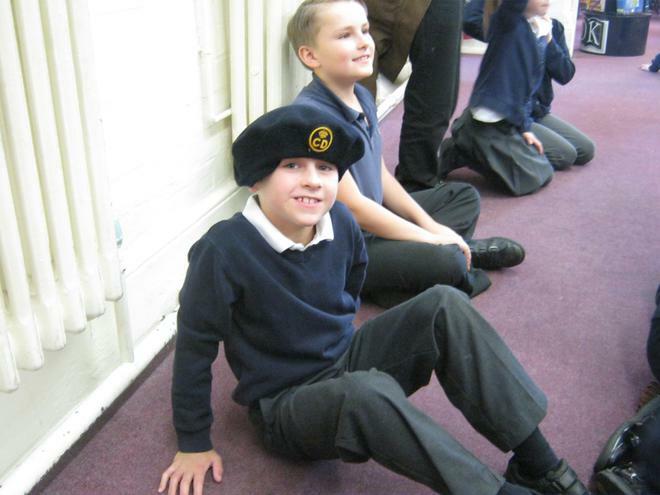 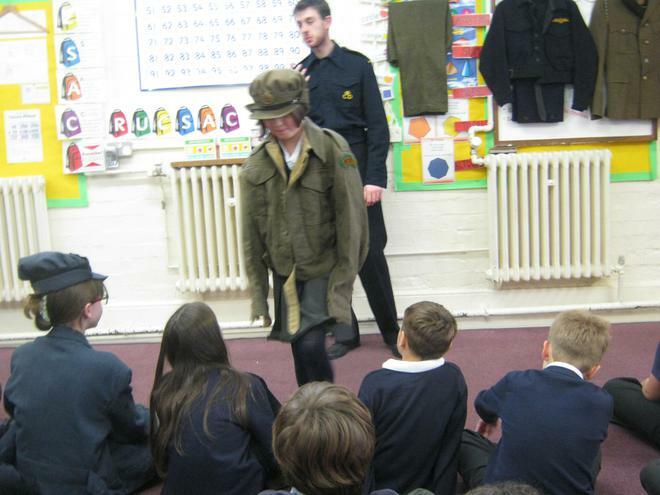 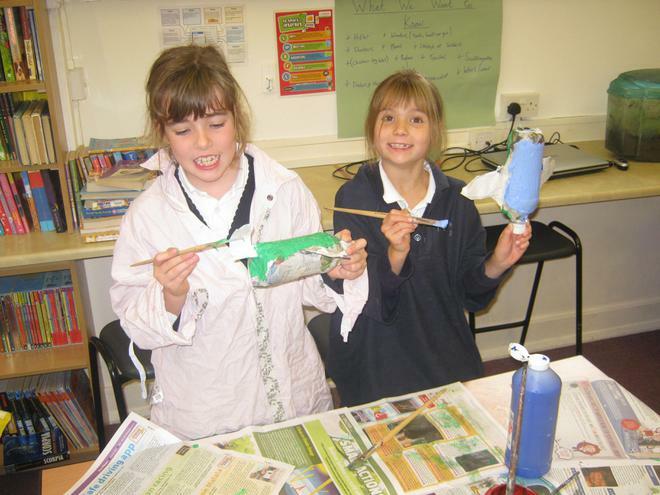 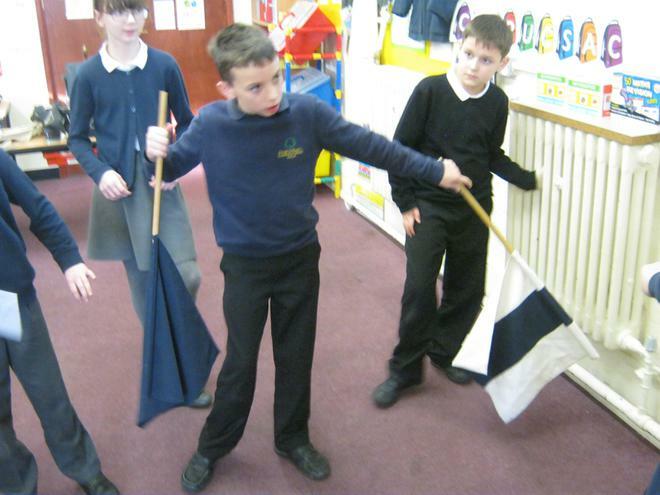 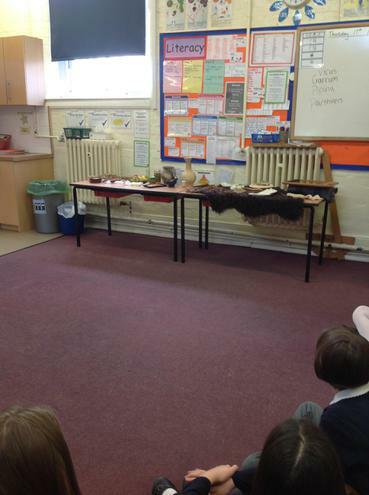 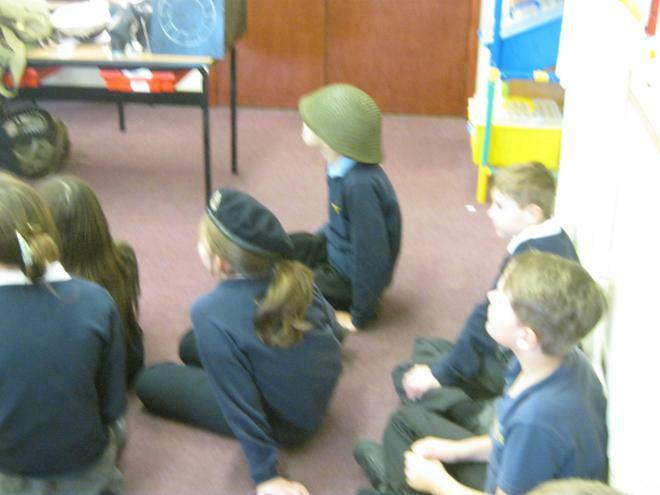 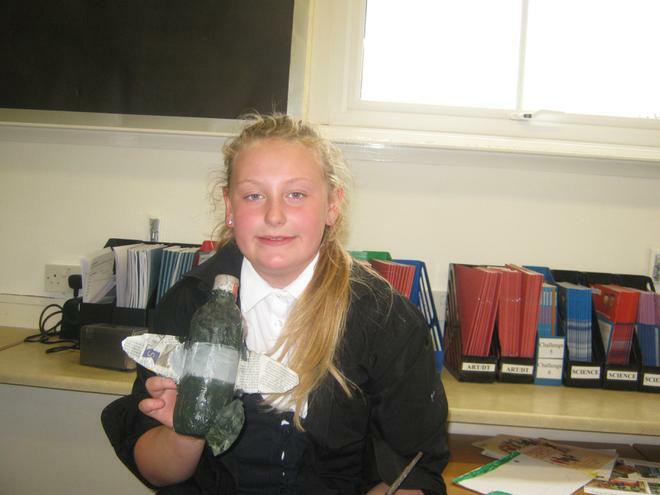 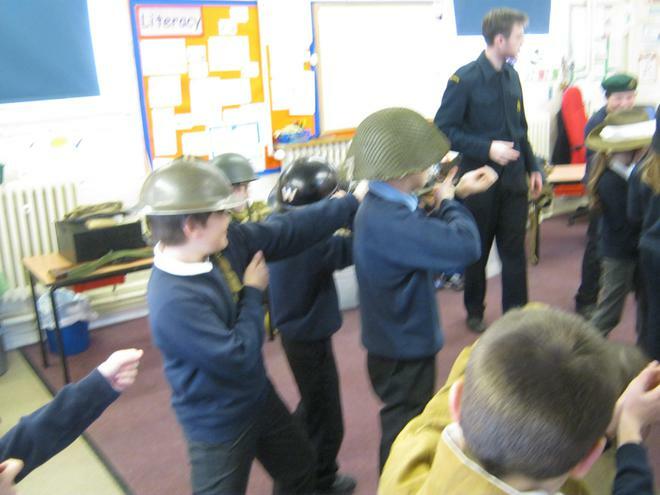 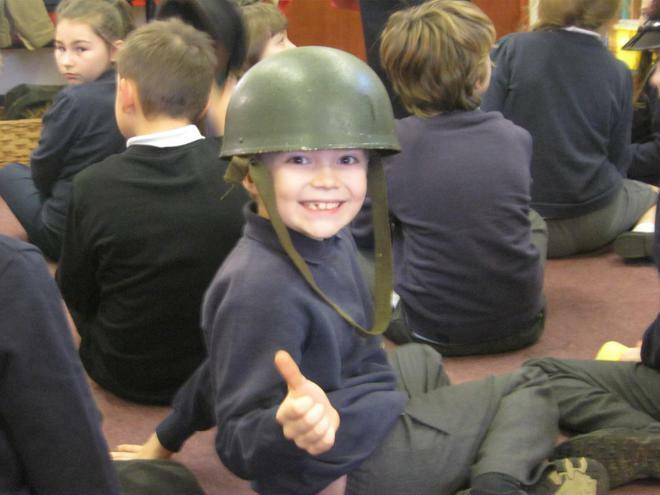 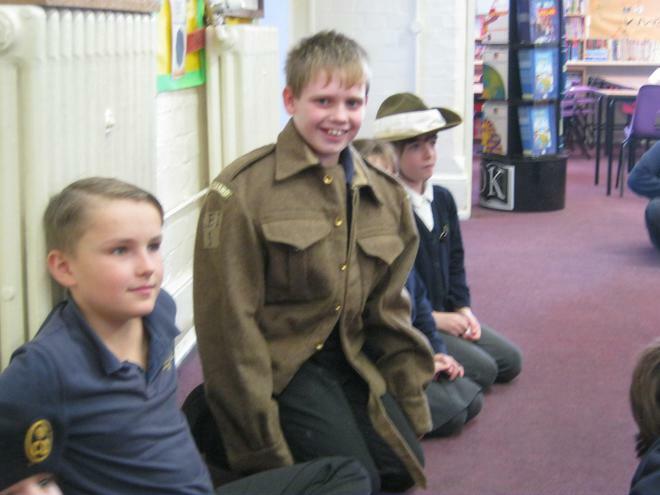 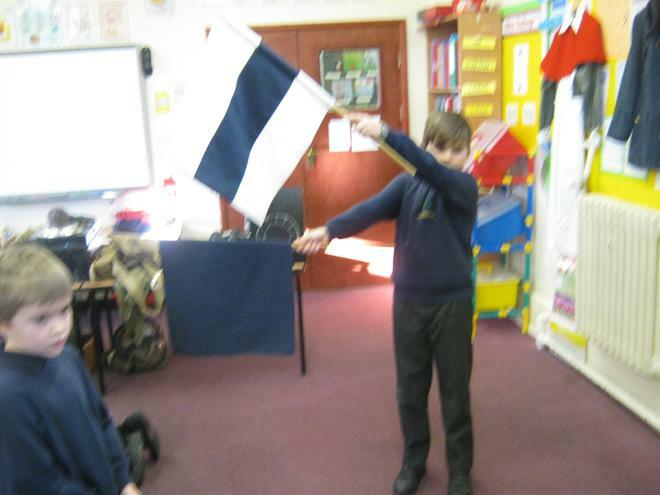 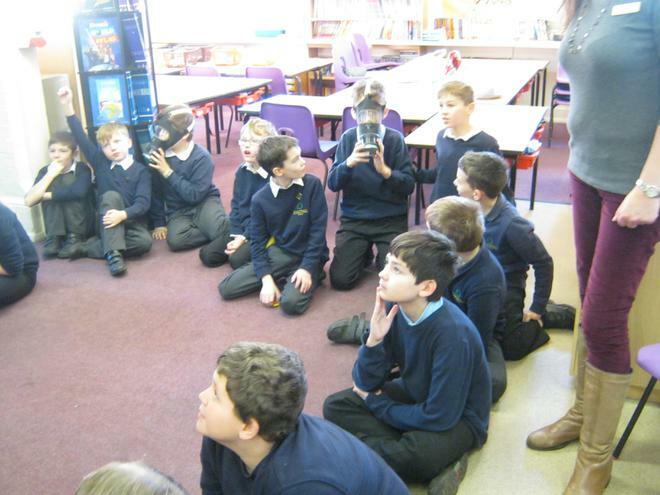 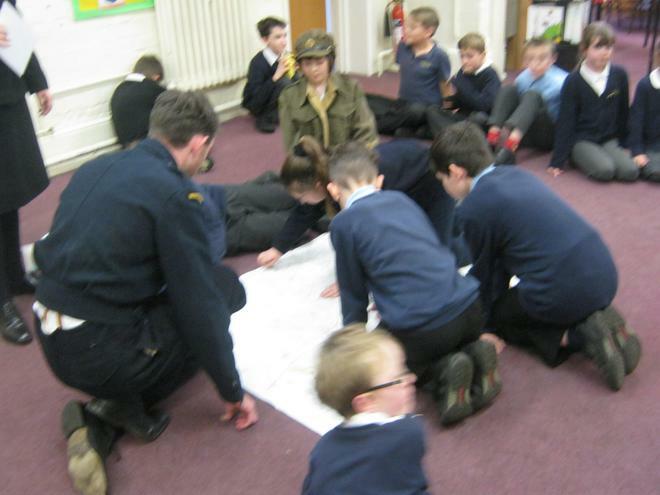 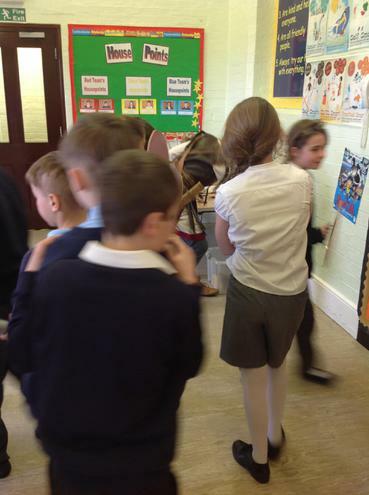 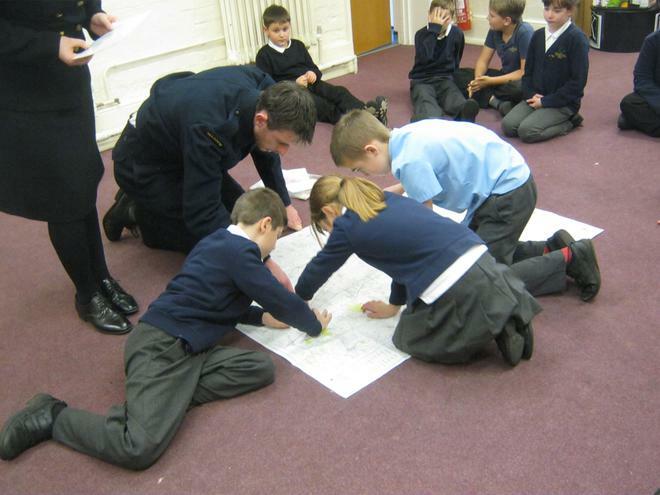 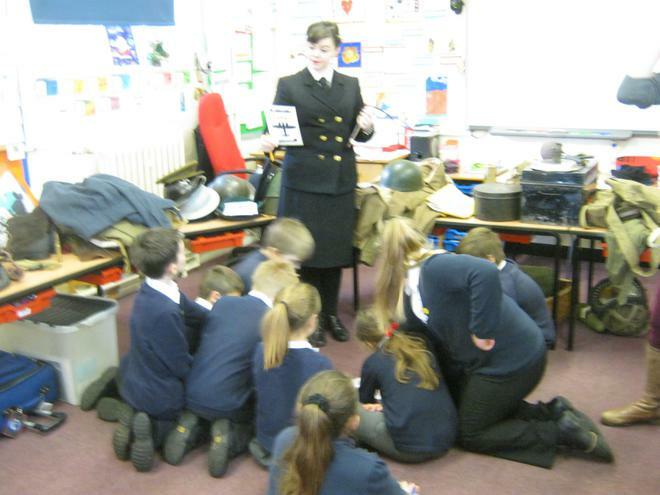 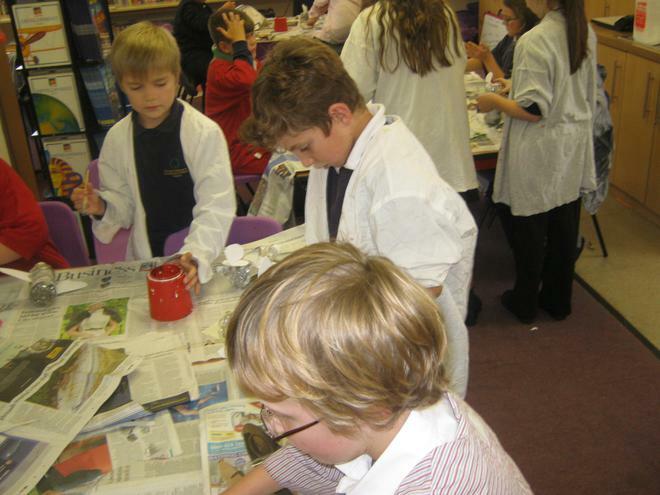 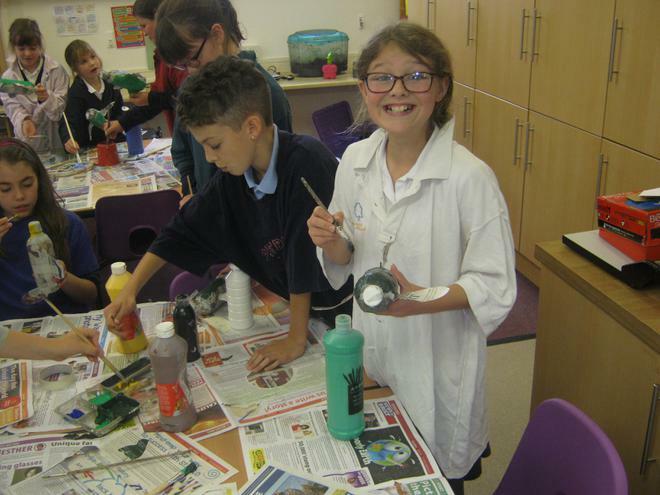 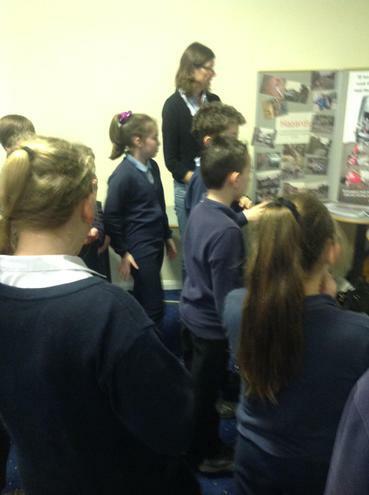 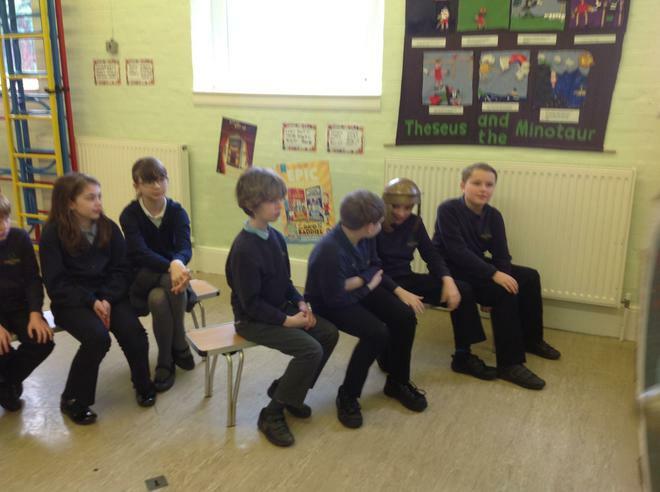 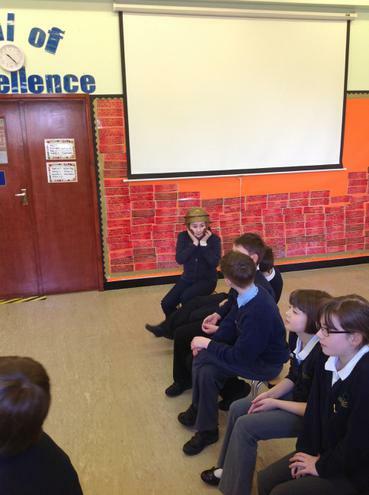 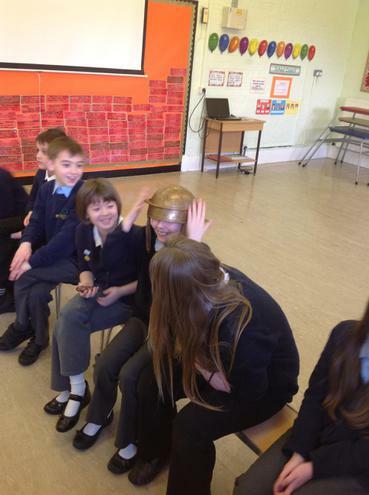 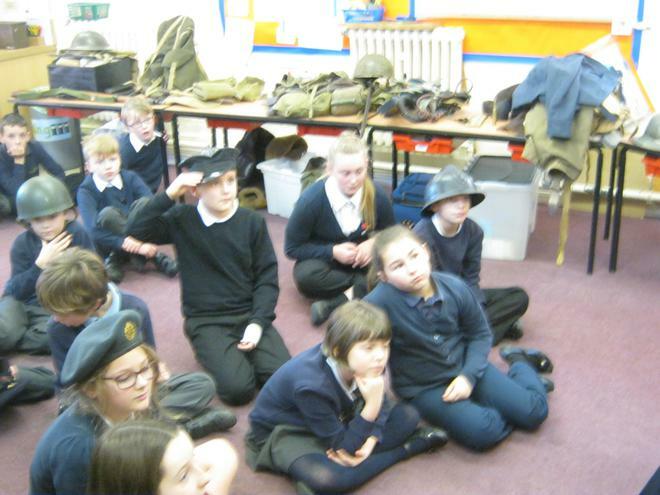 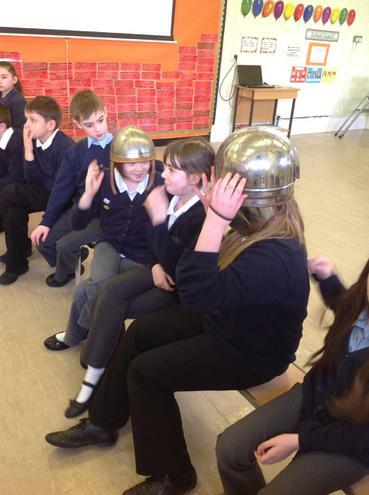 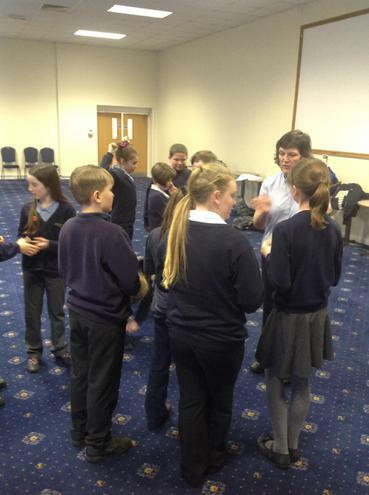 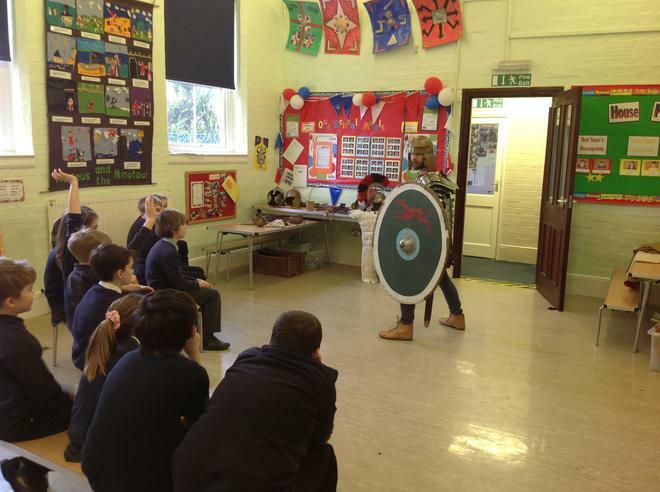 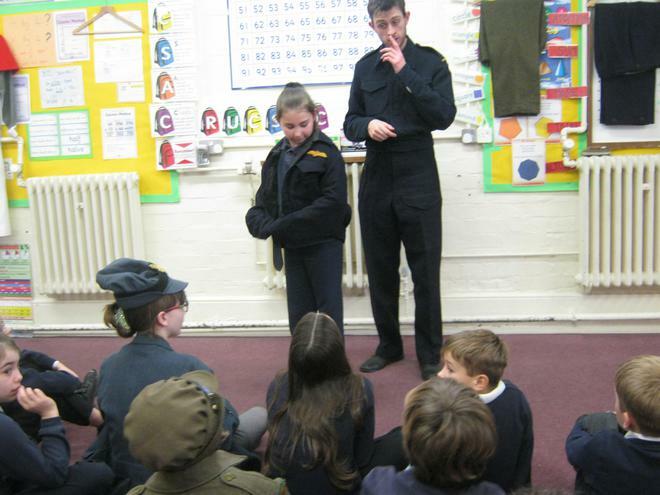 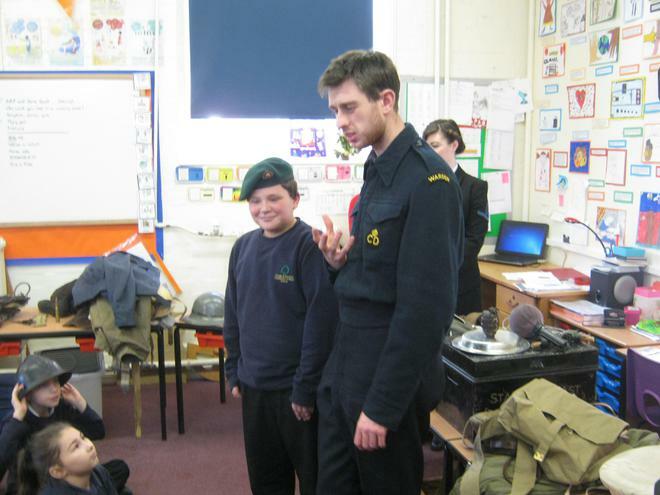 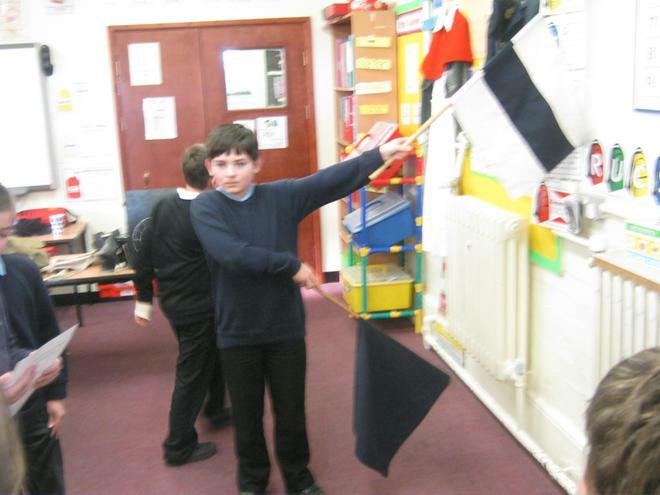 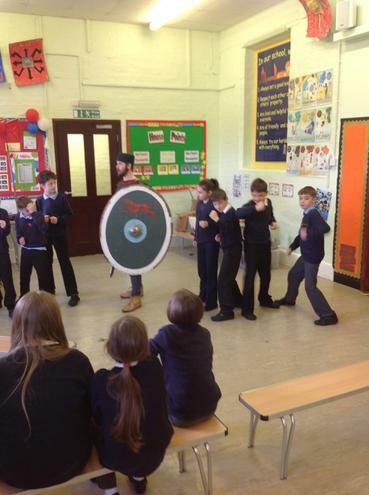 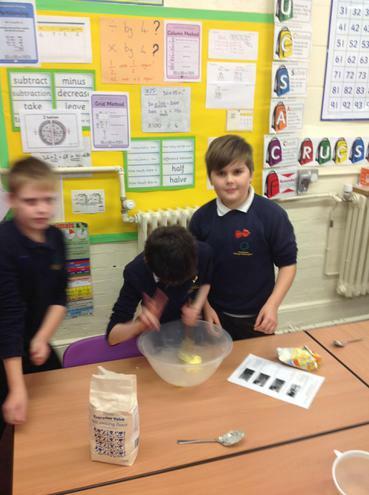 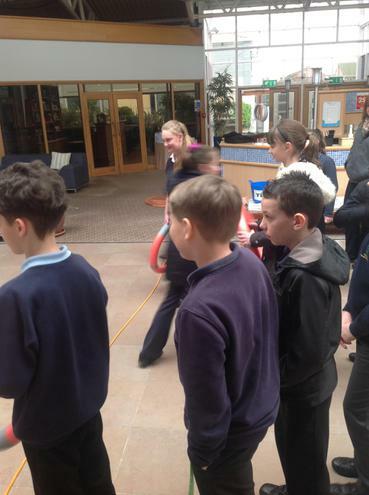 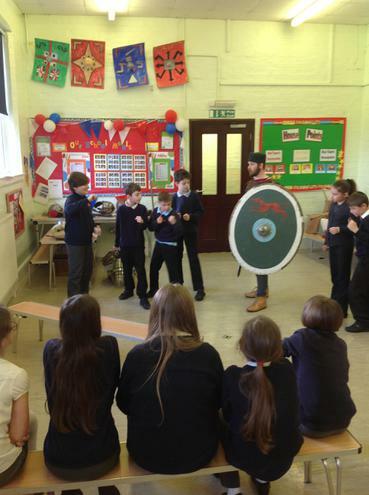 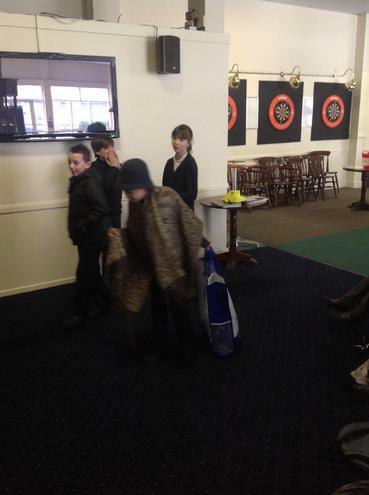 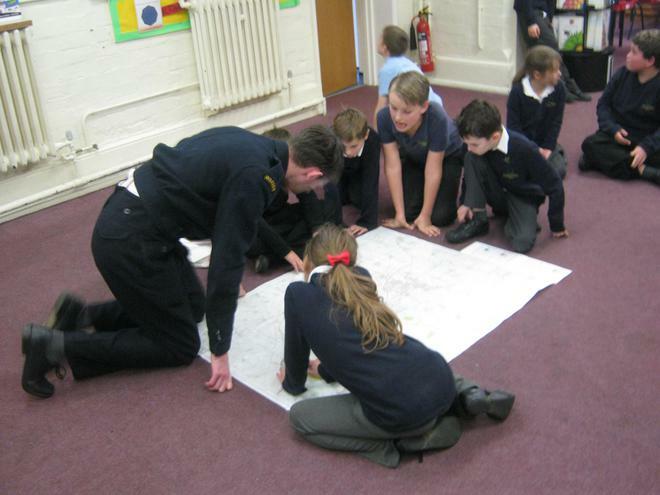 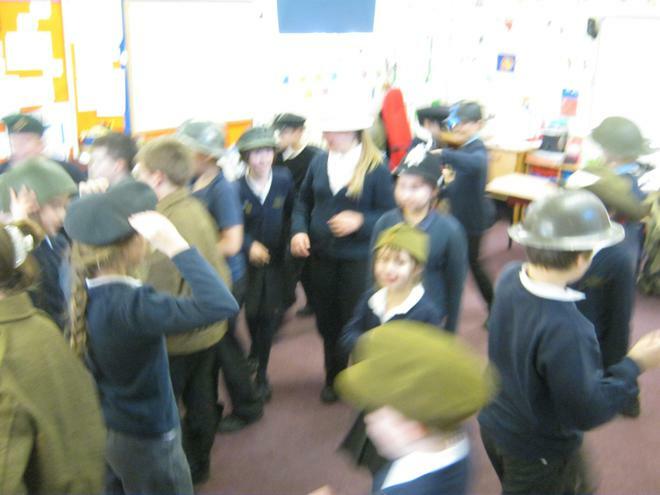 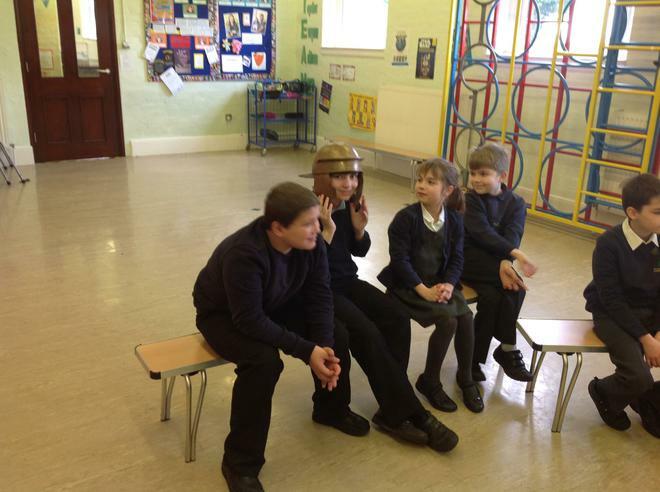 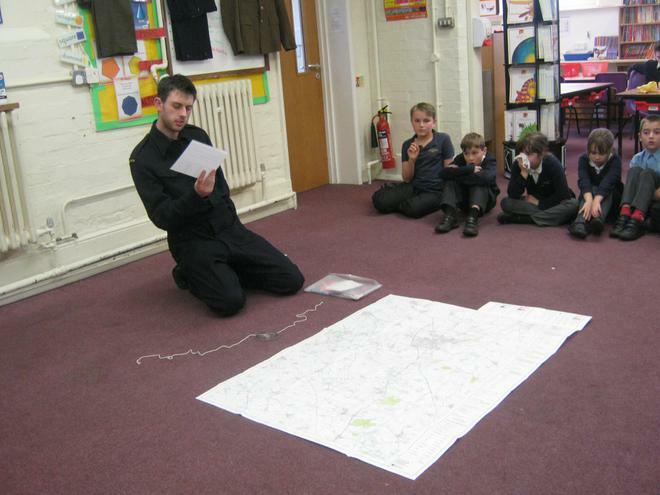 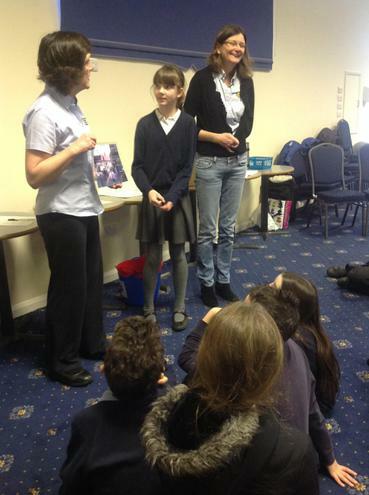 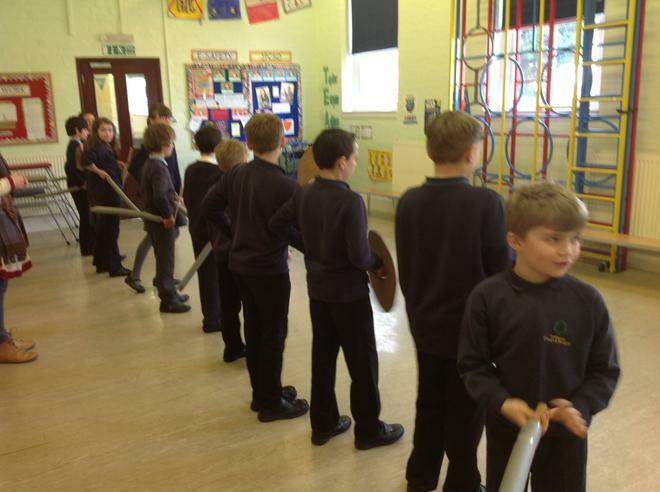 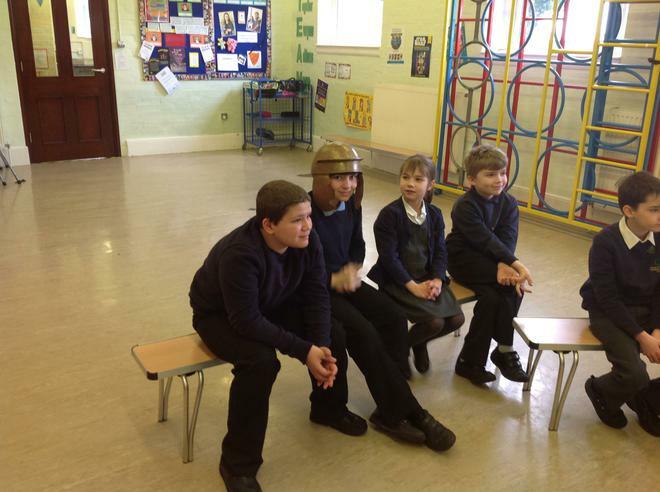 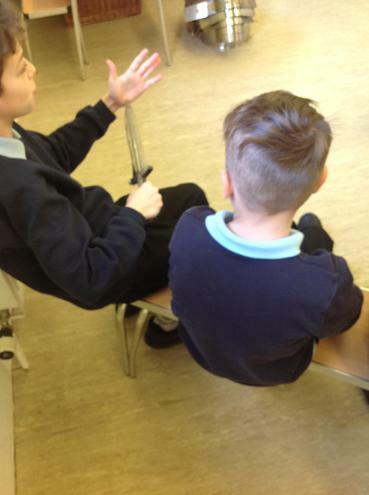 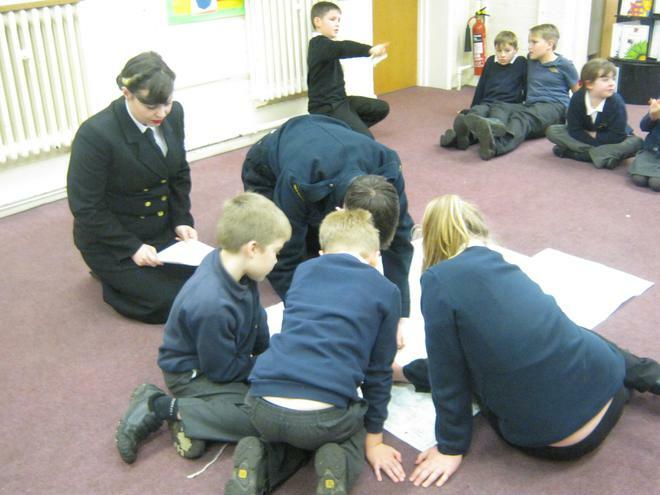 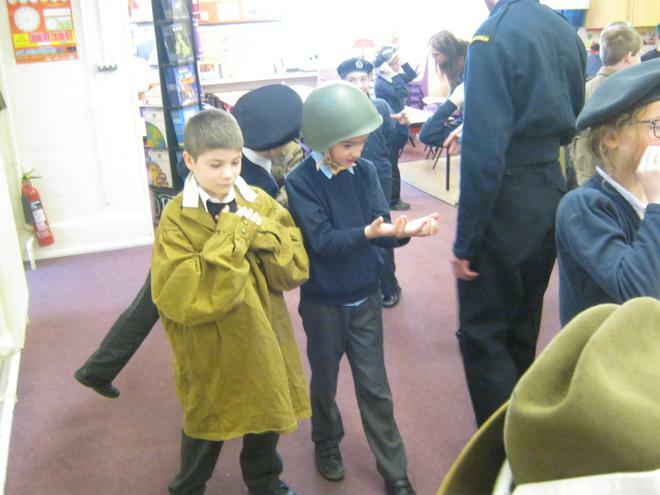 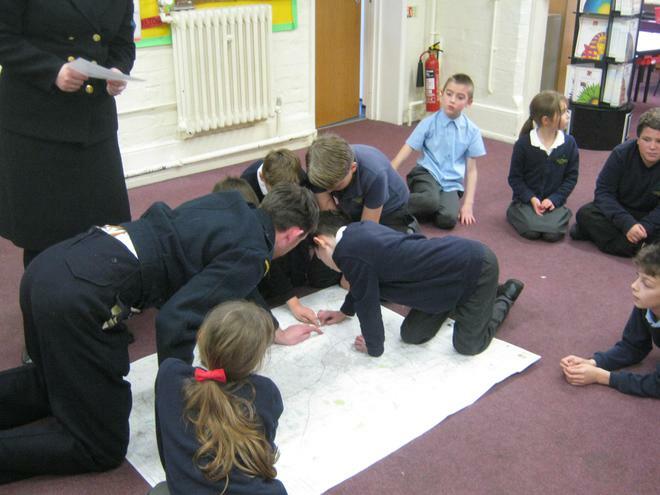 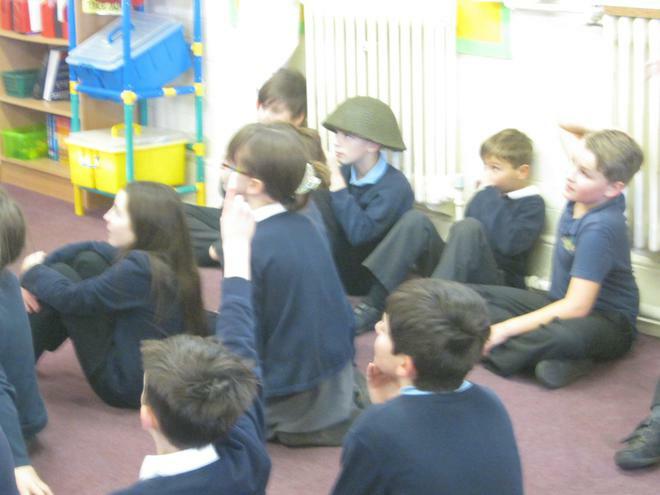 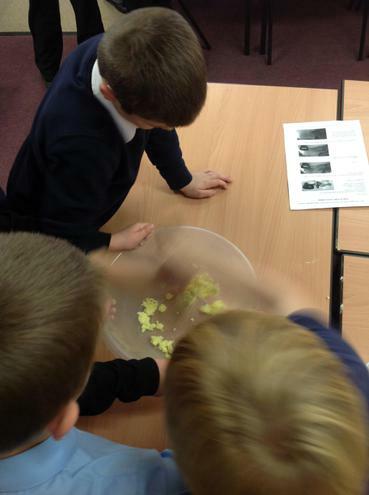 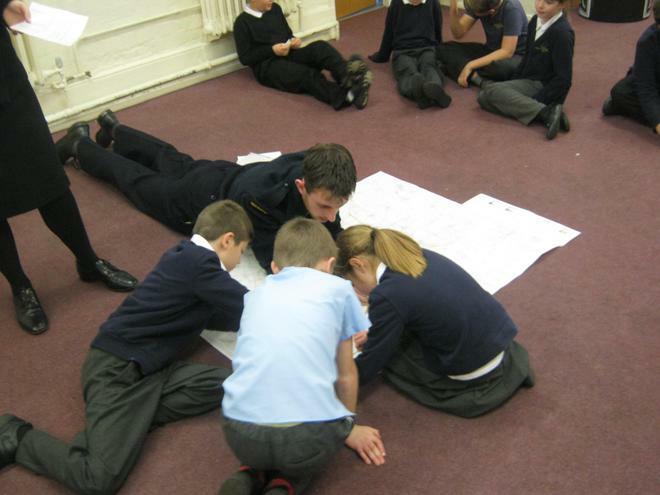 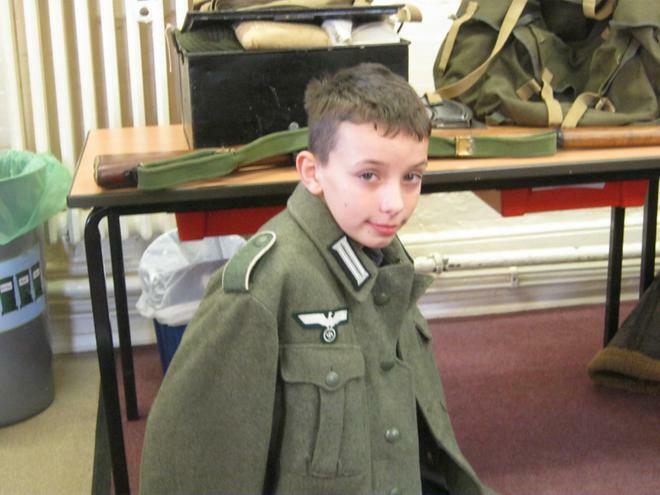 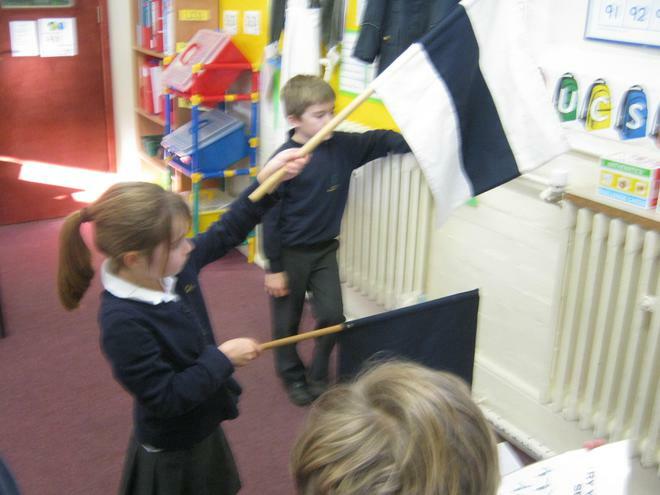 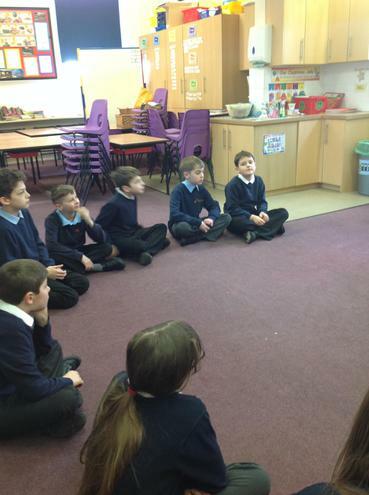 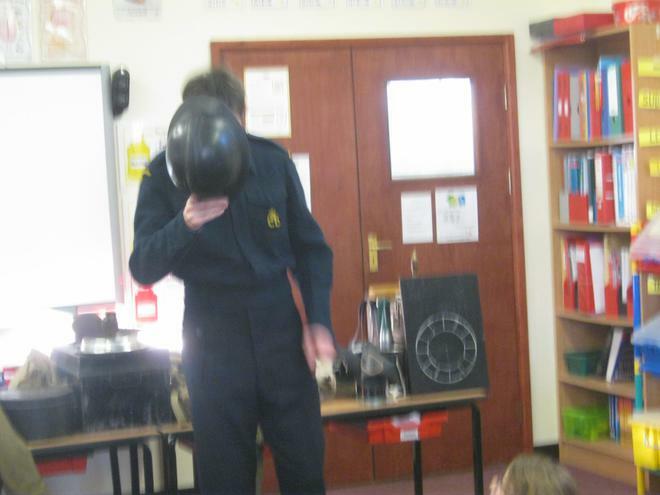 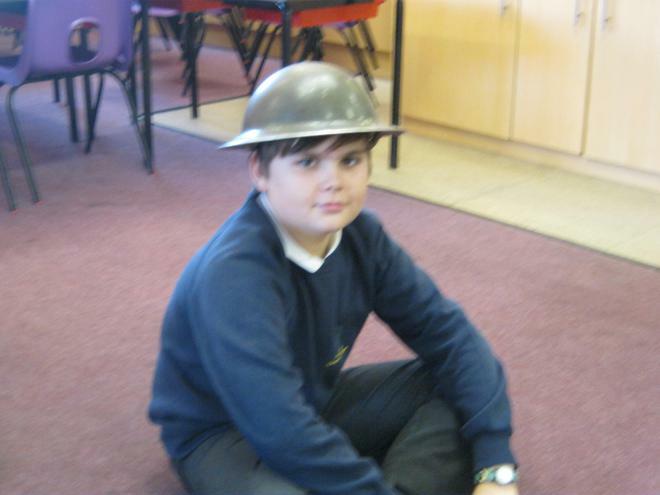 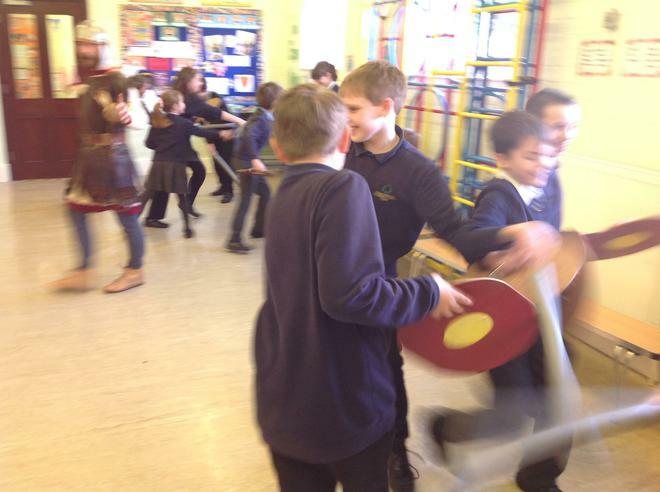 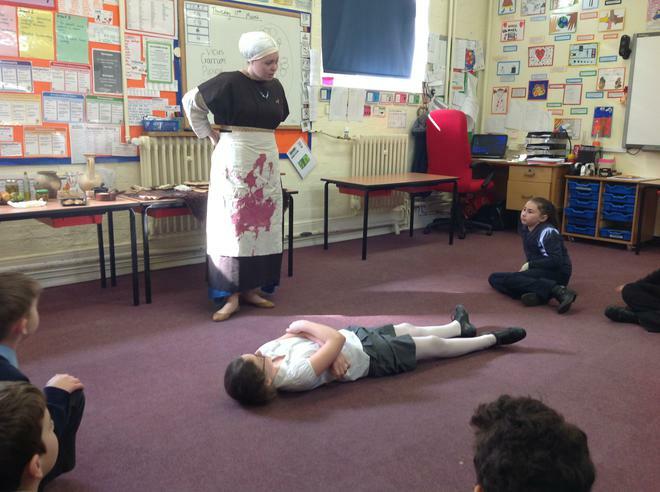 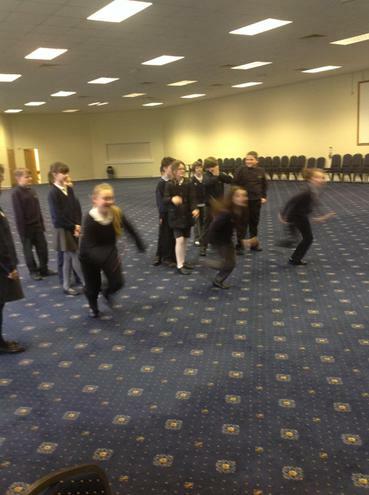 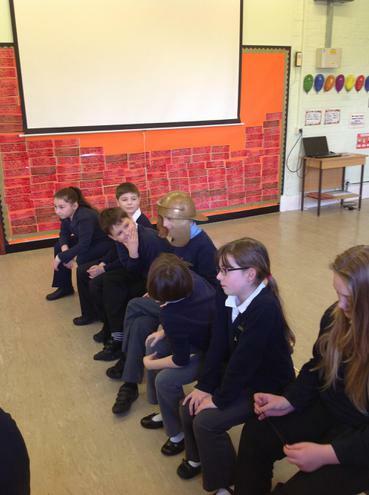 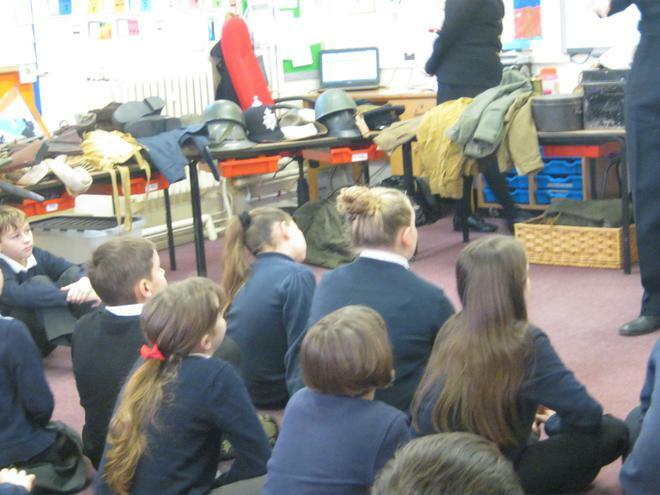 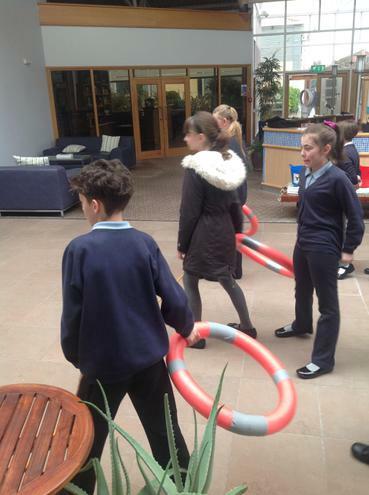 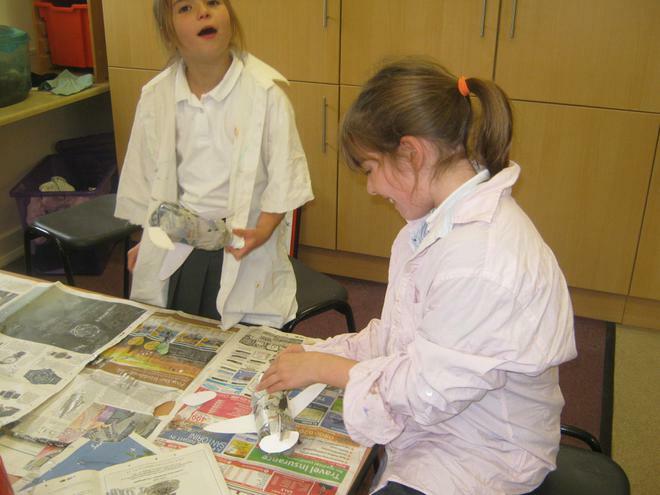 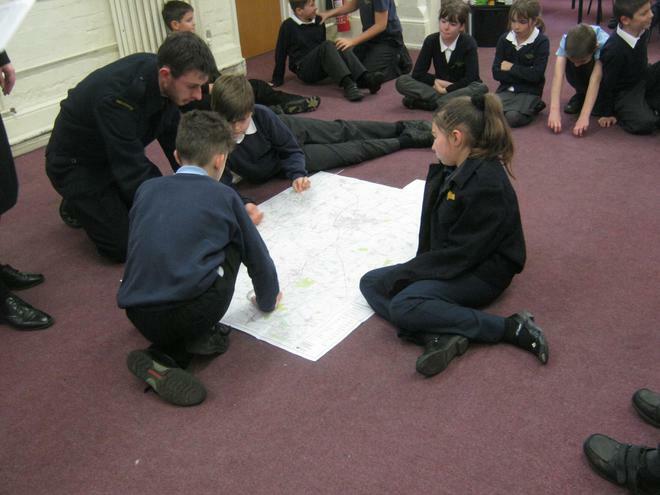 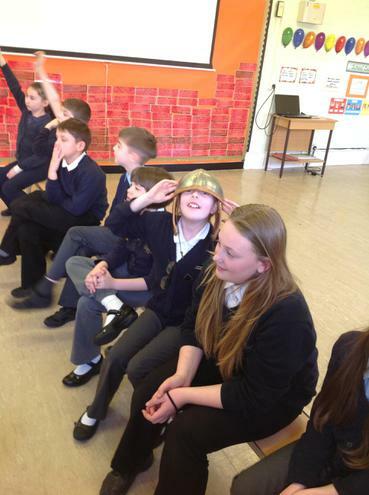 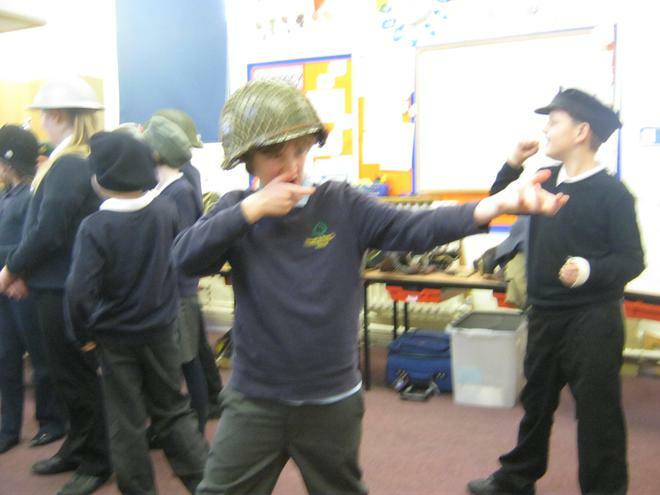 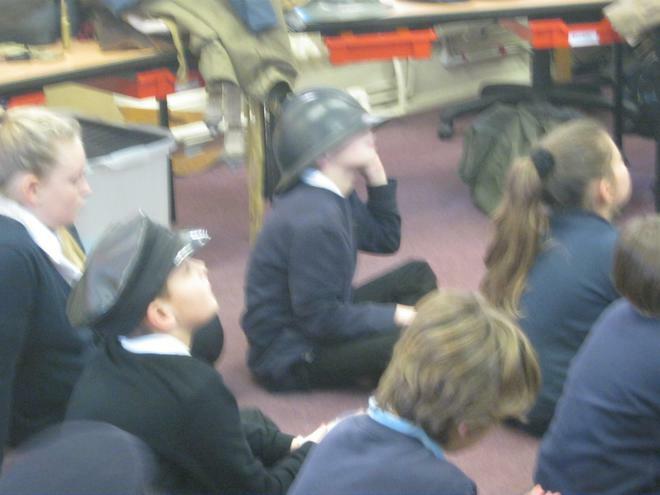 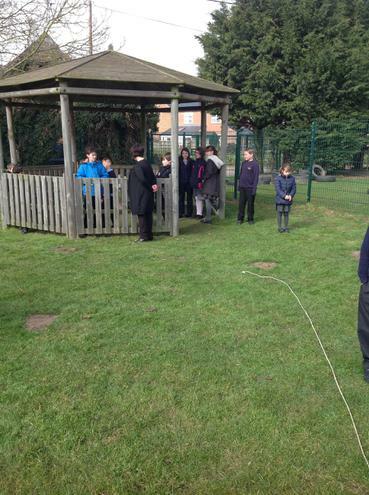 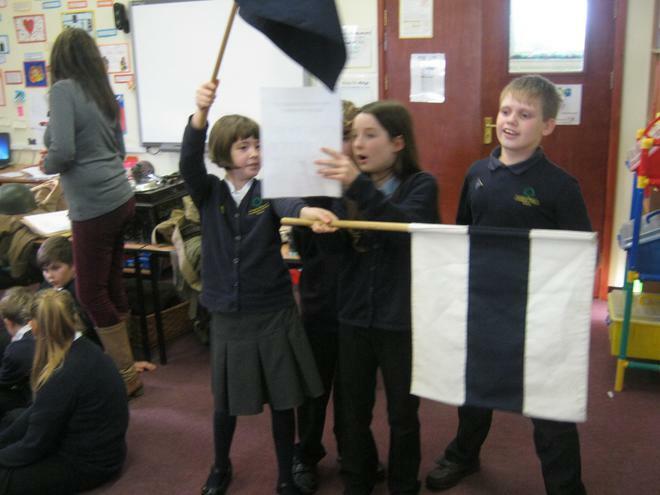 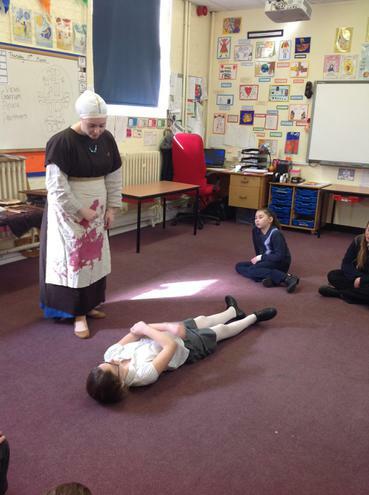 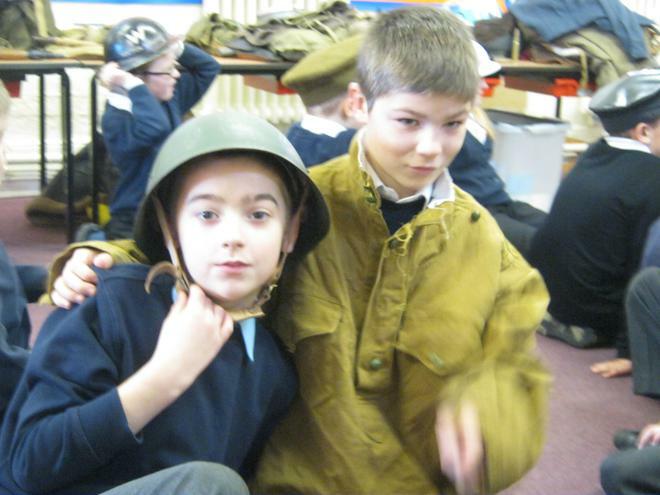 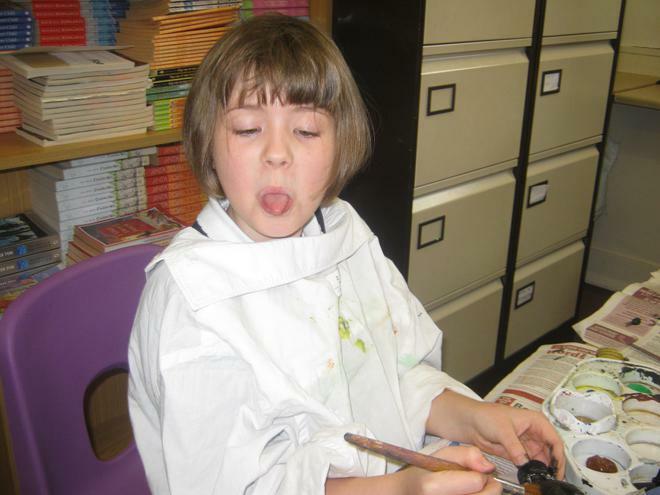 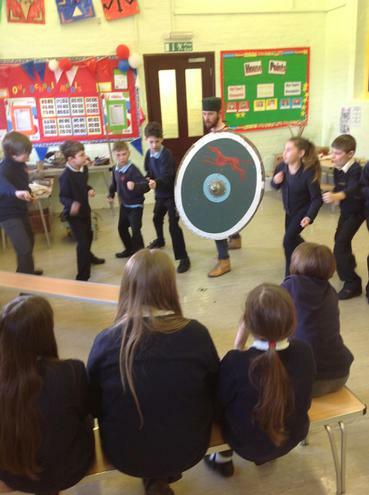 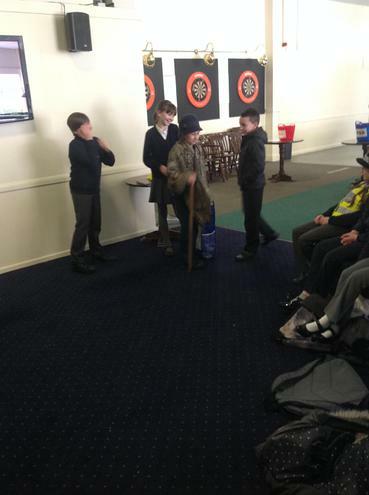 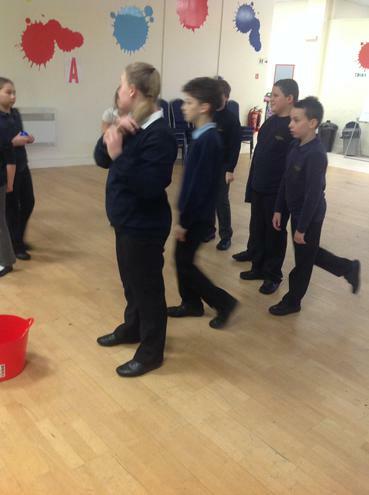 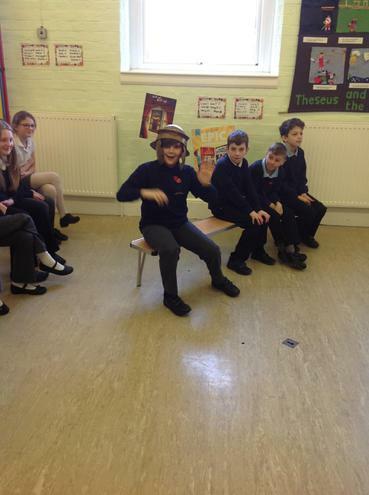 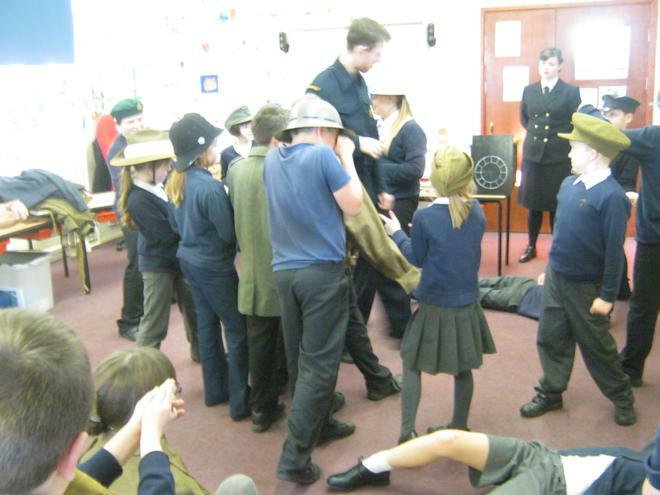 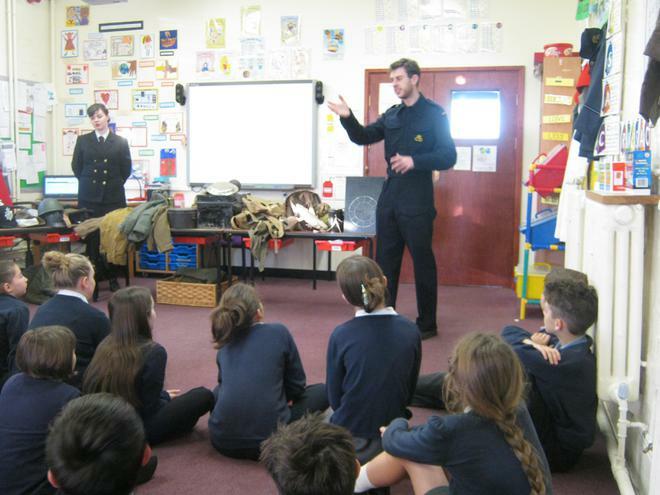 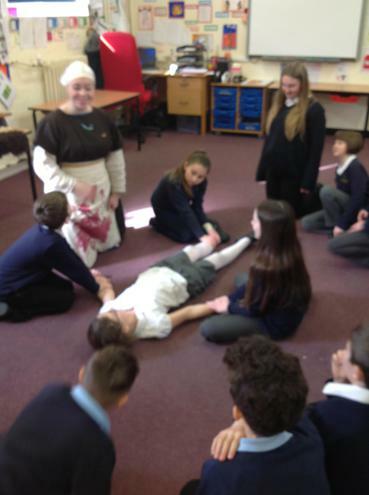 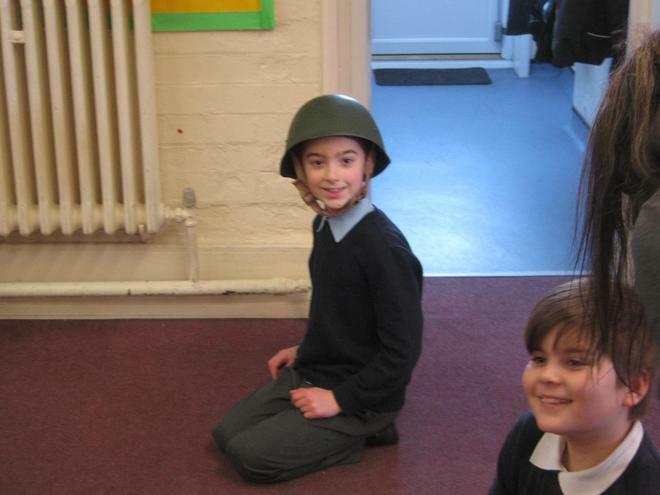 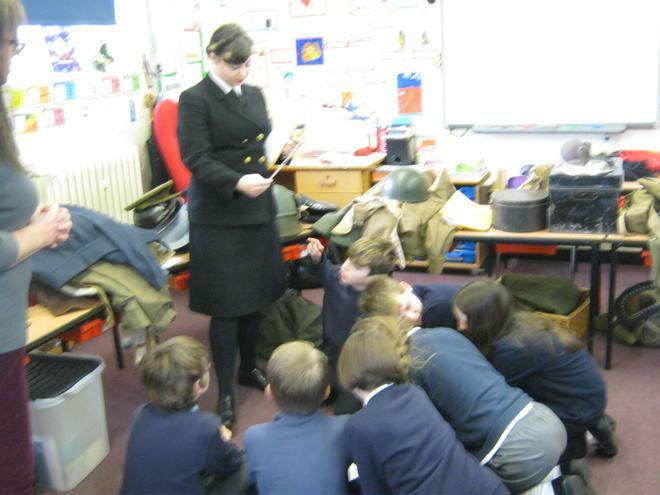 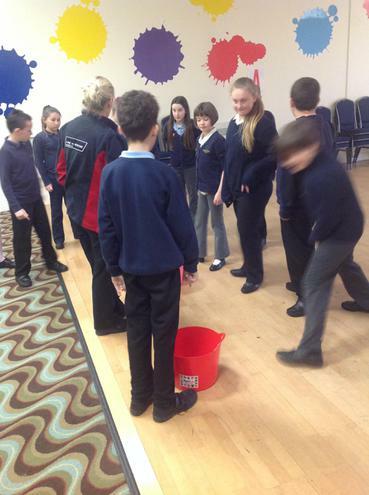 On Wedneday 2nd December, Oak class welcomed history experts Jed and Jess for a WW2 themed day. 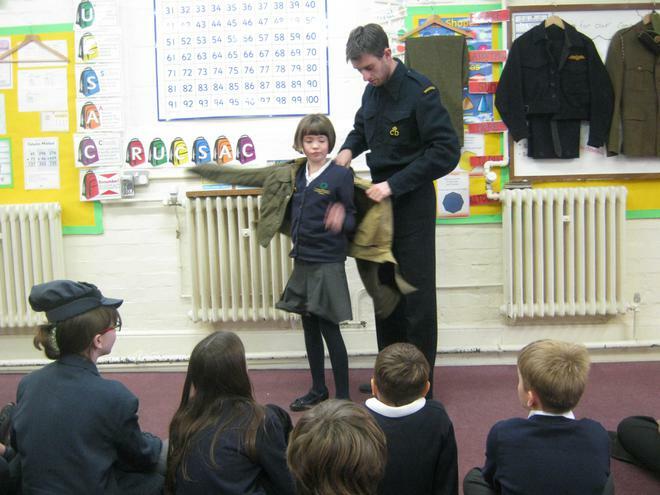 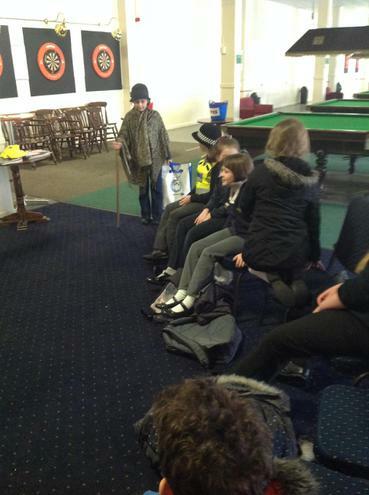 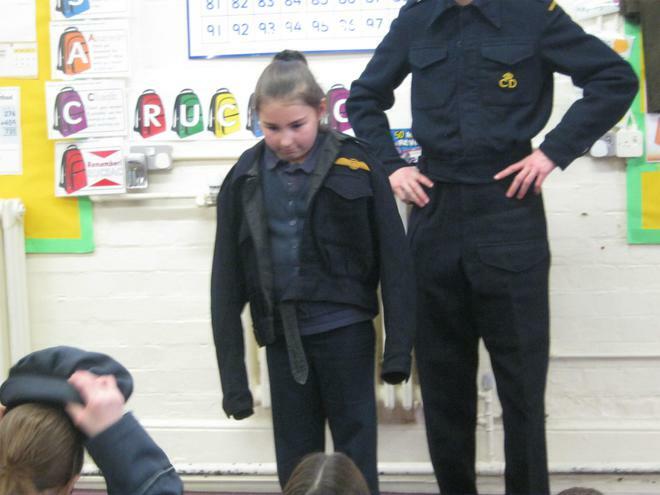 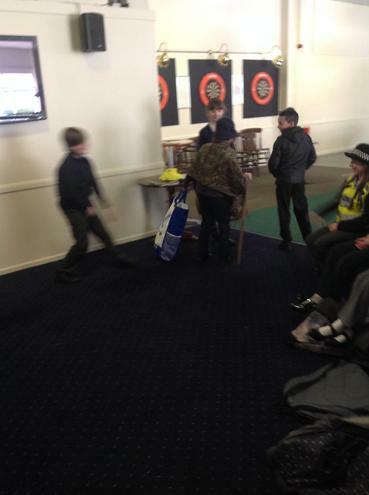 Jed and Jess brought in some original WW2 items and clothing for the children (and Mr Pollard) to try on. 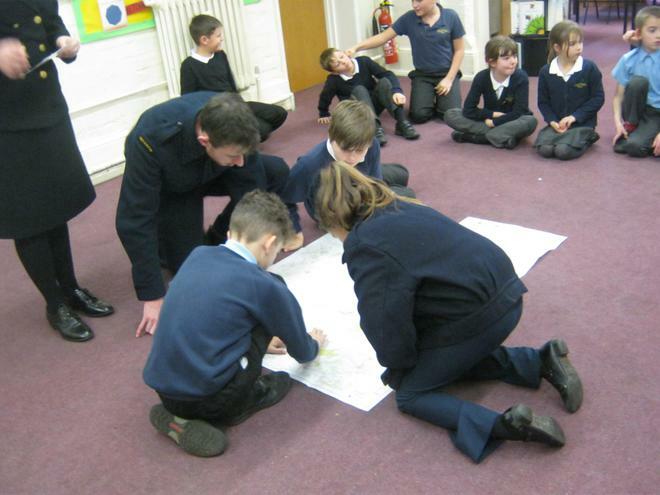 The children were then able to send messages using a real morse code machine and also scramble some jets using maps and protractors. 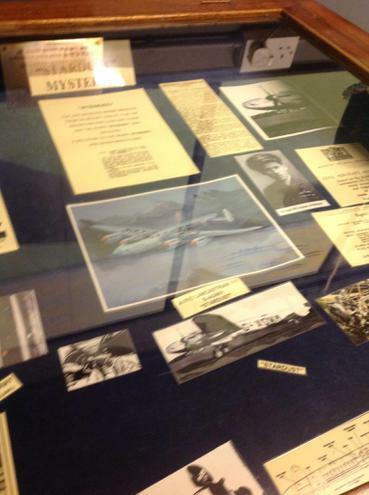 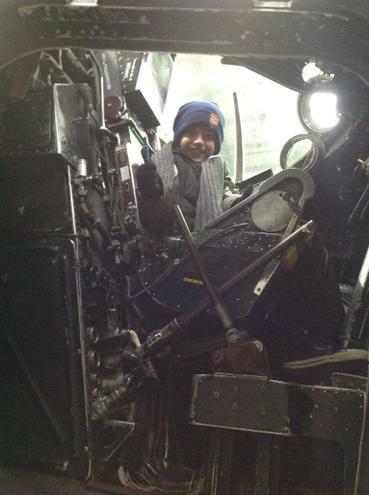 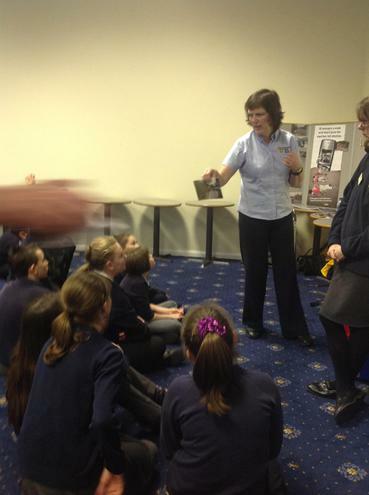 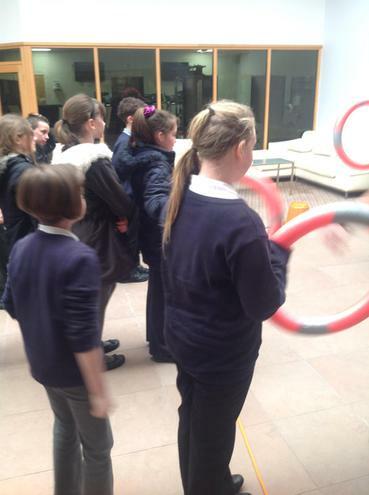 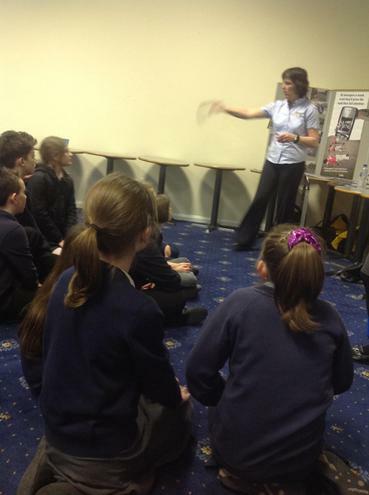 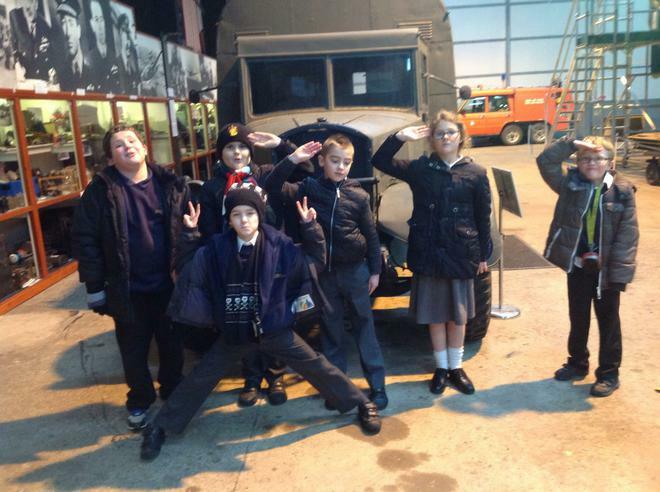 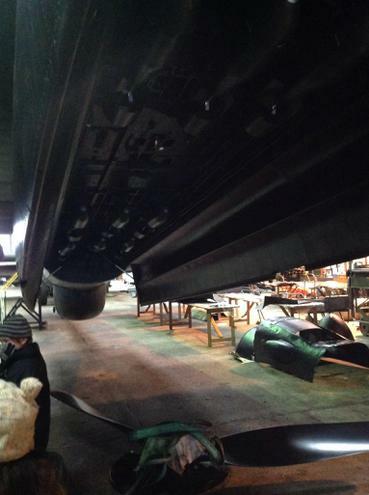 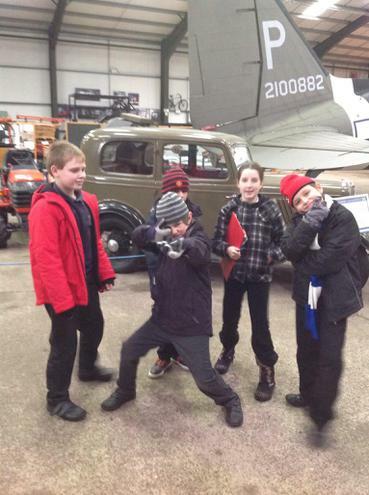 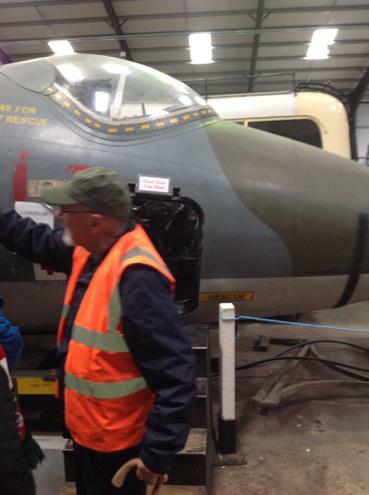 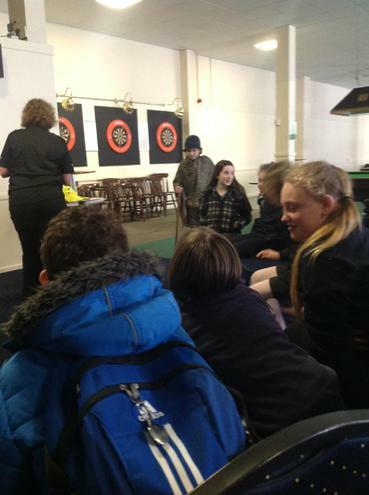 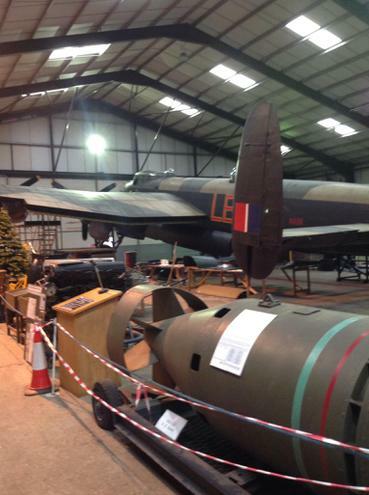 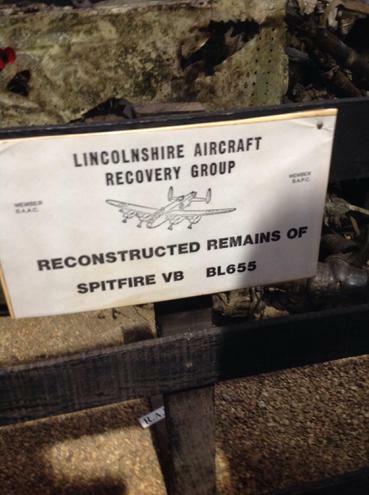 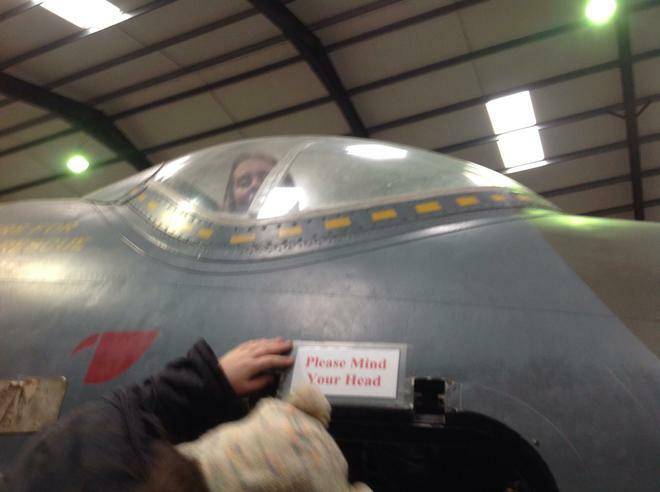 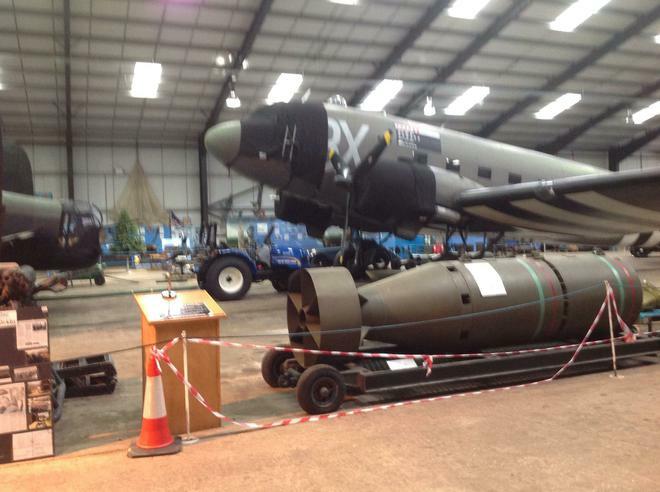 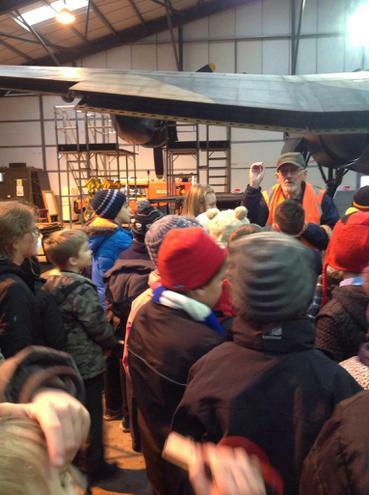 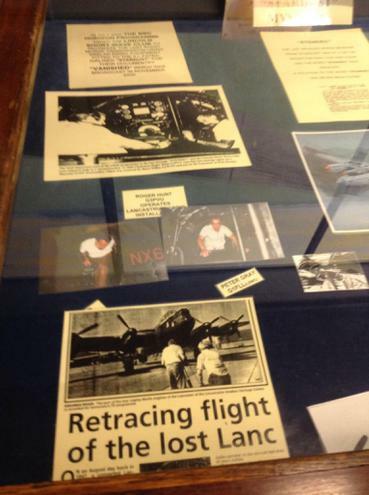 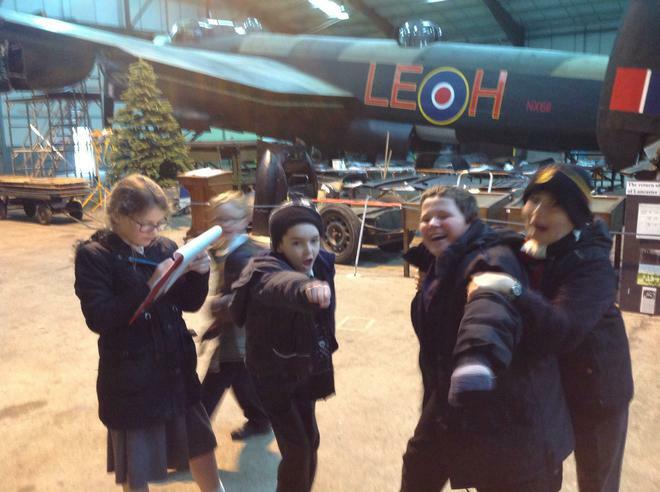 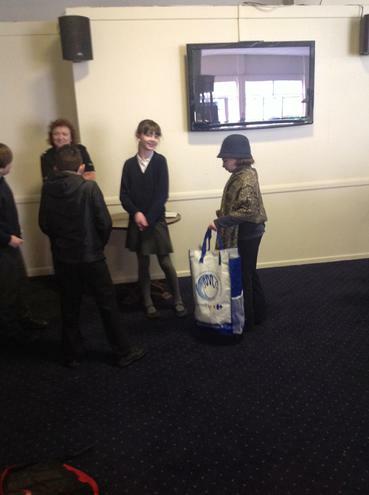 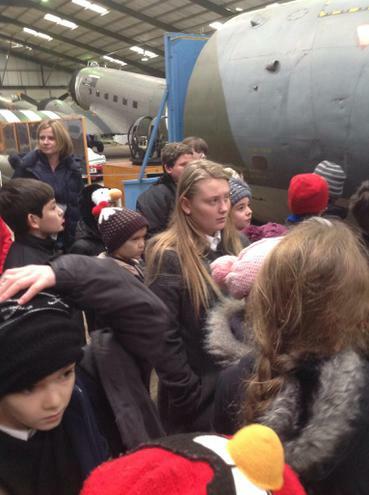 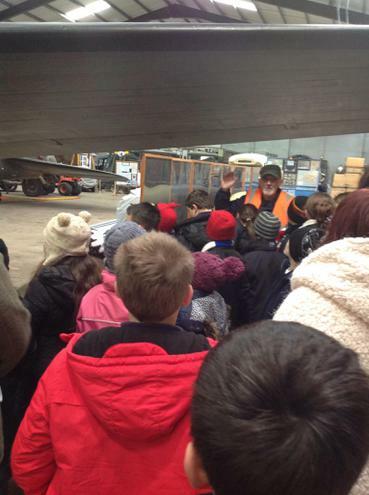 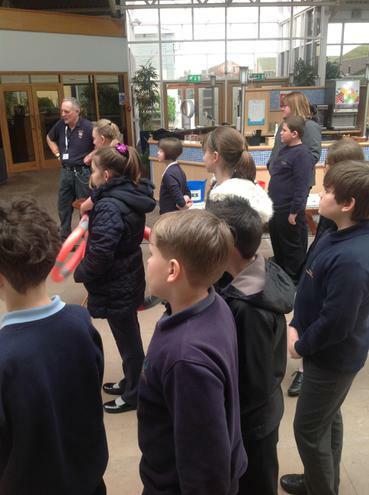 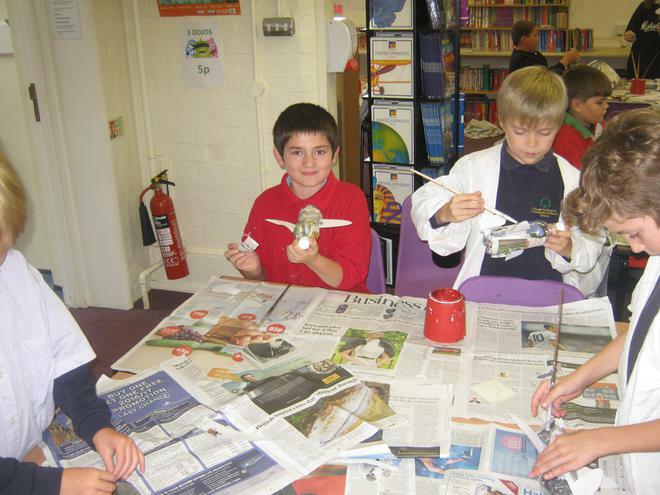 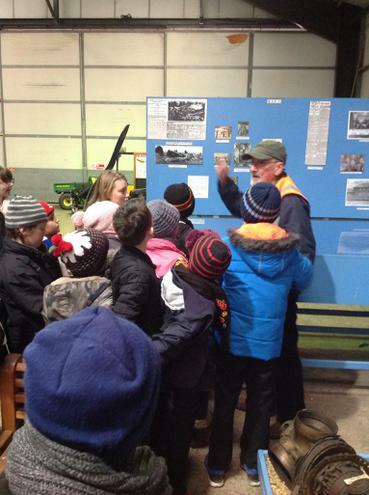 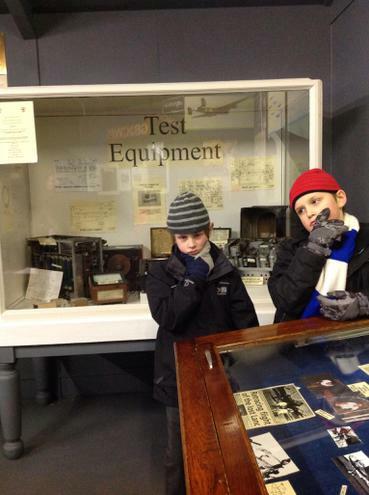 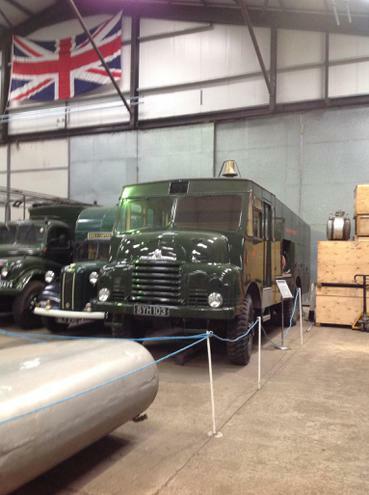 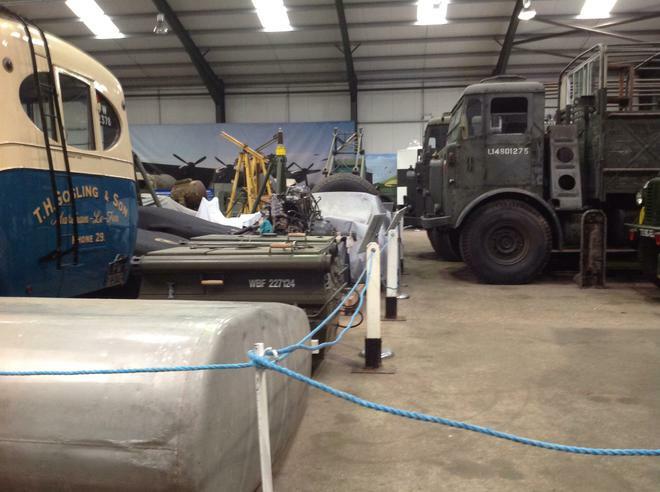 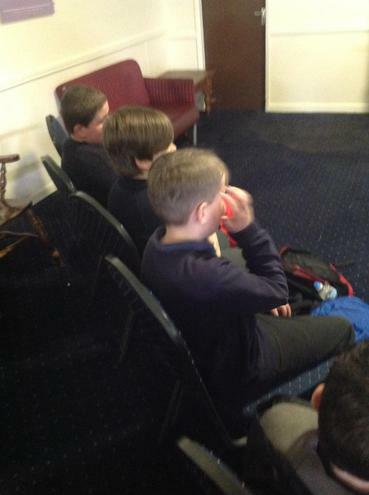 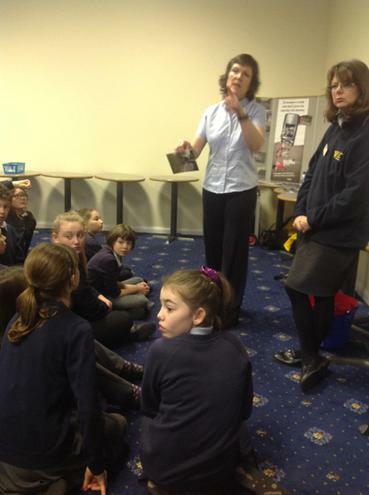 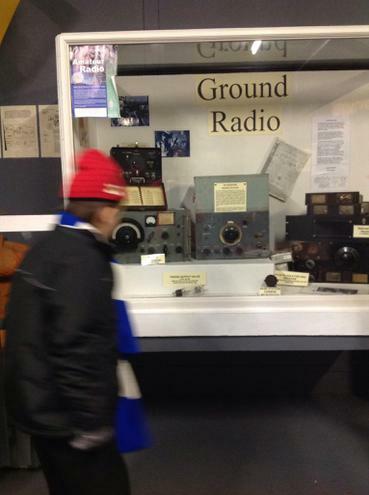 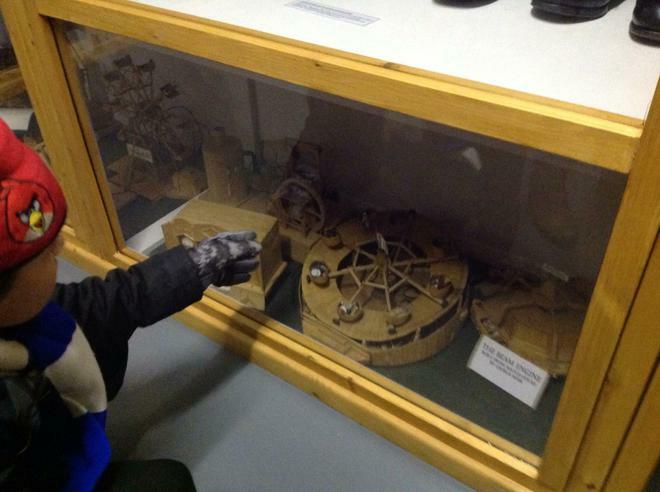 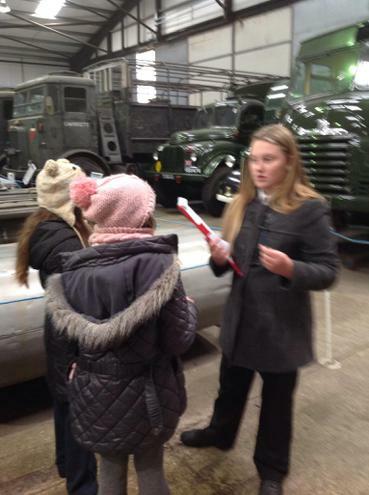 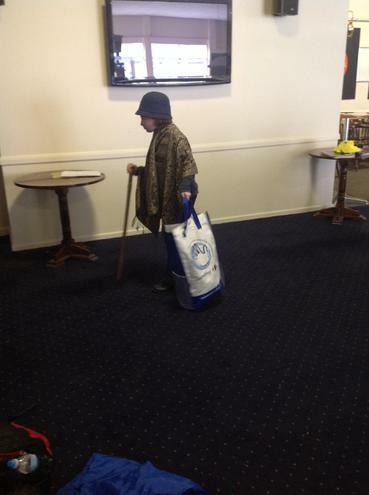 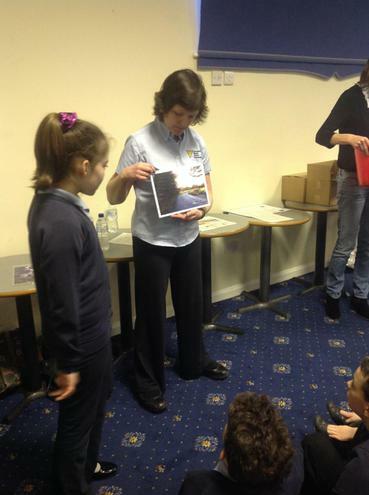 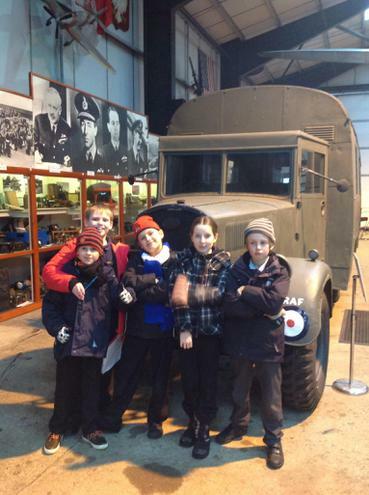 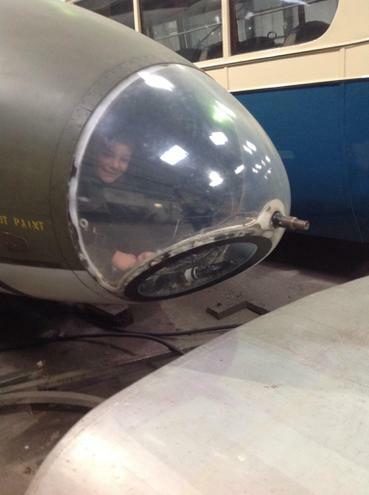 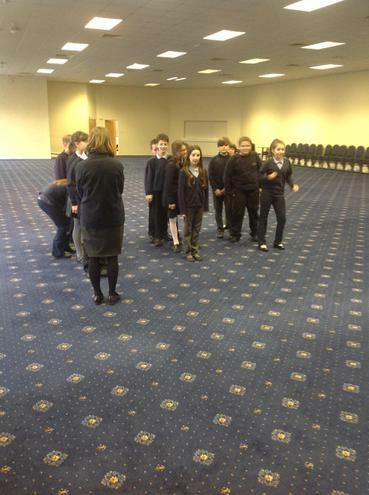 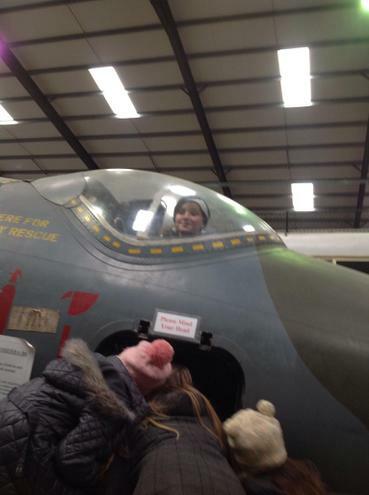 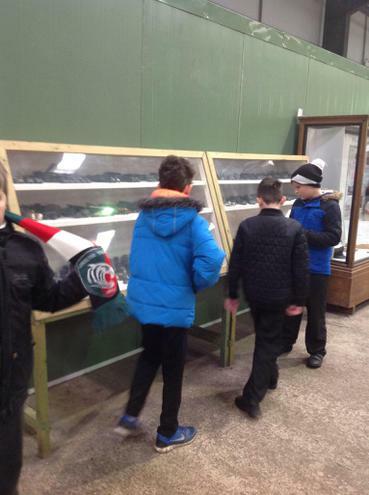 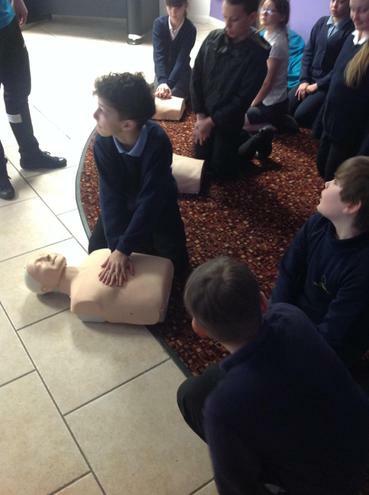 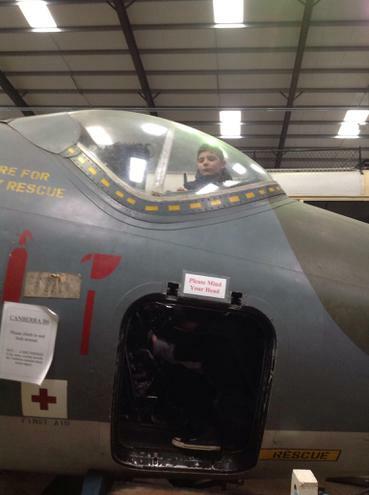 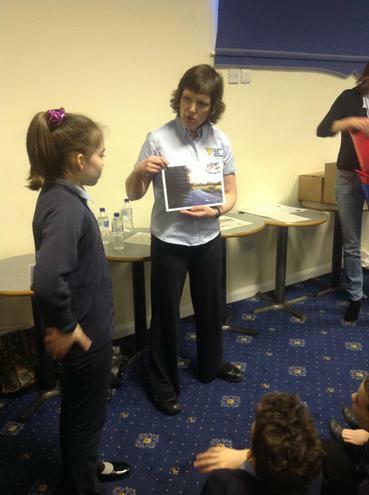 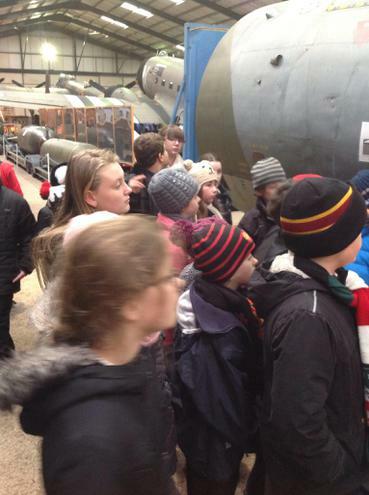 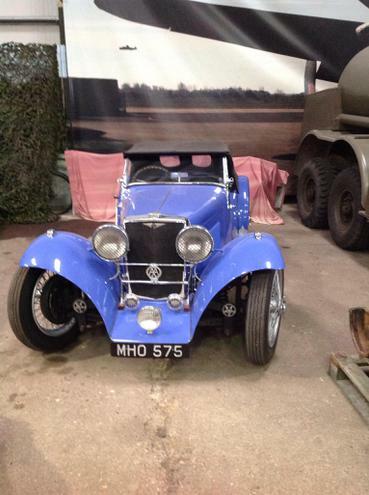 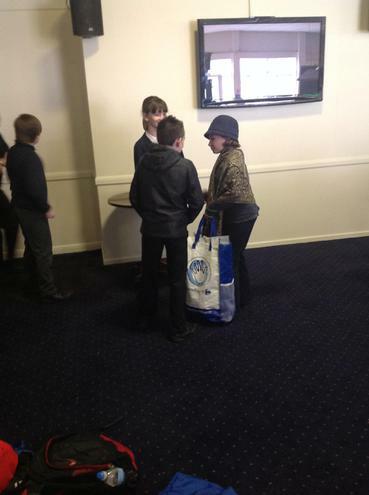 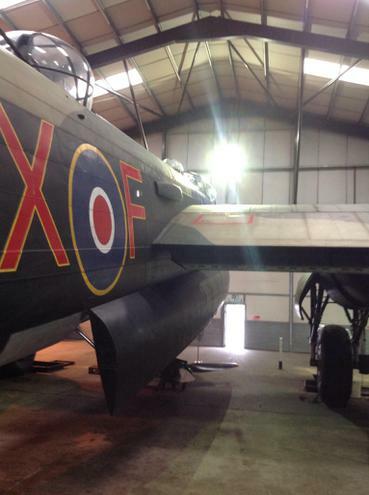 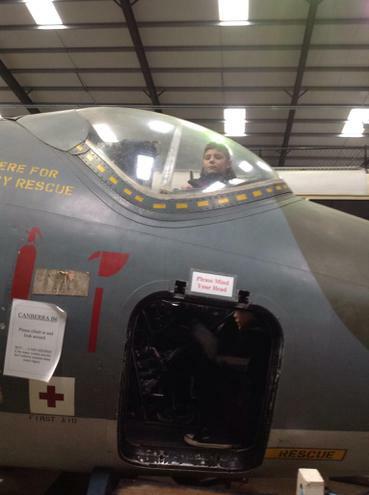 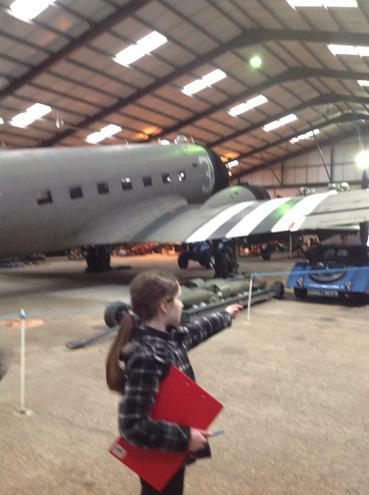 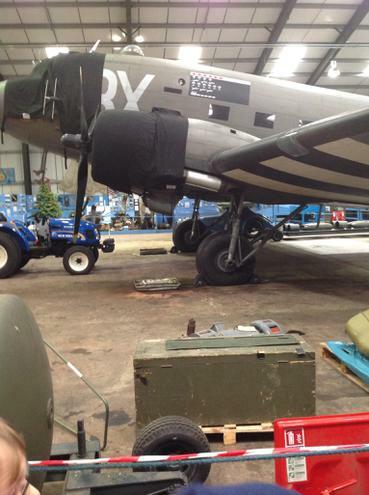 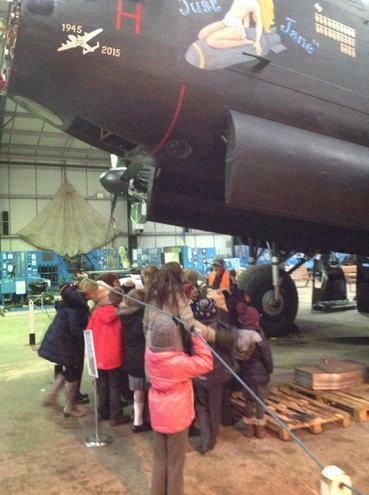 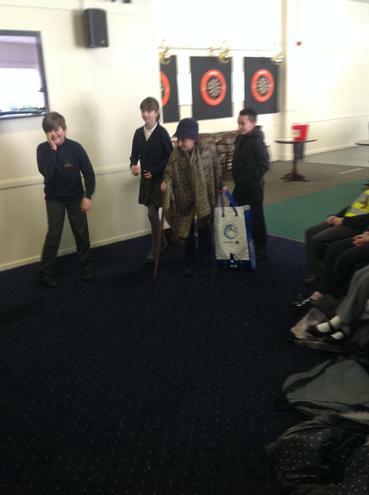 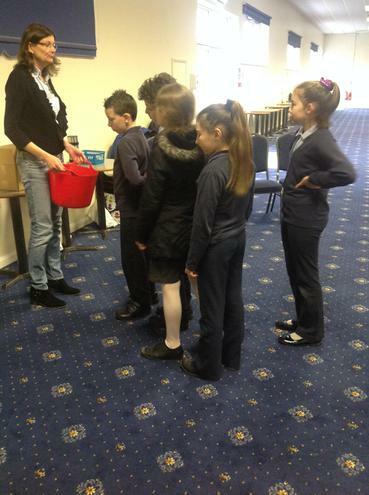 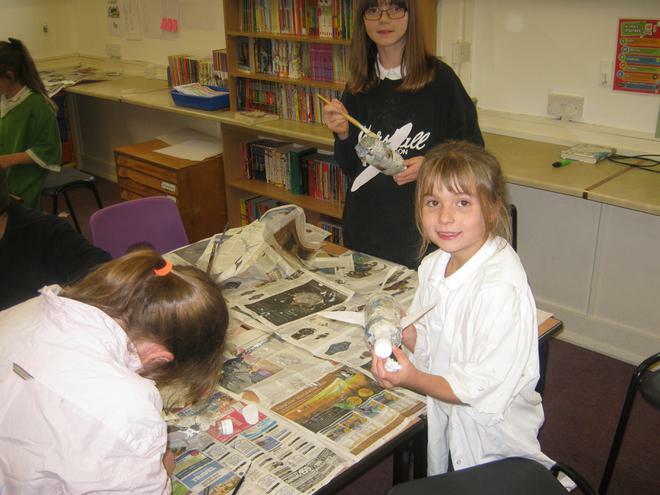 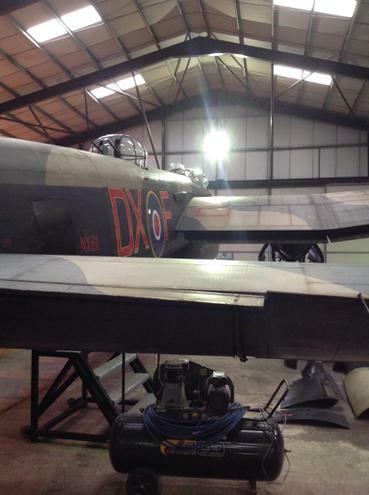 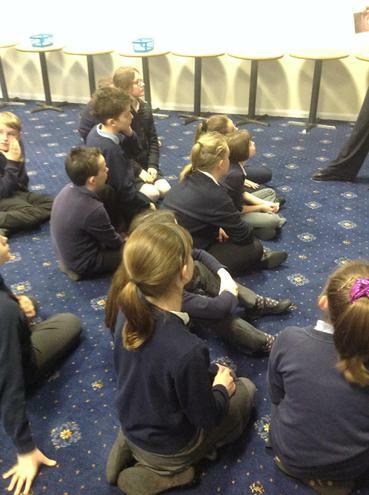 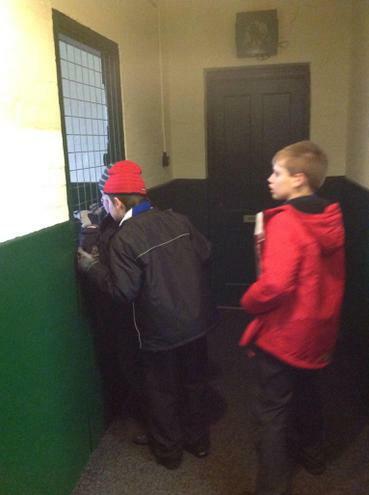 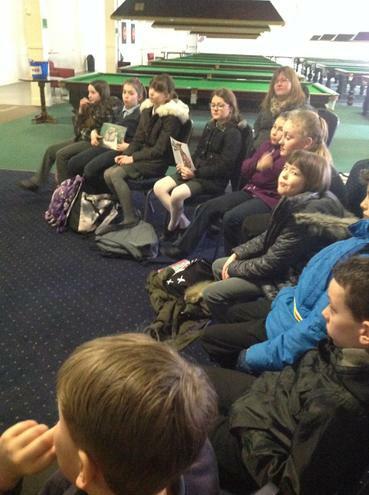 On Tuesday 24th November, Oak class went on a school education trip to the Lincolnshire Avaiation Museum in East Kirkby. 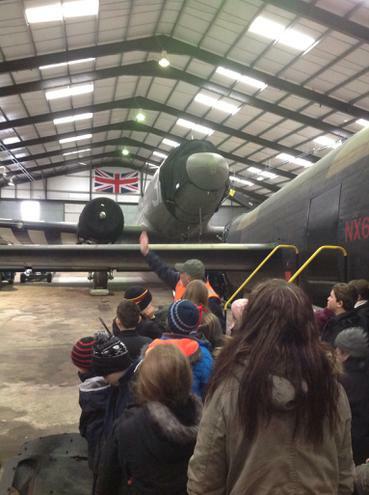 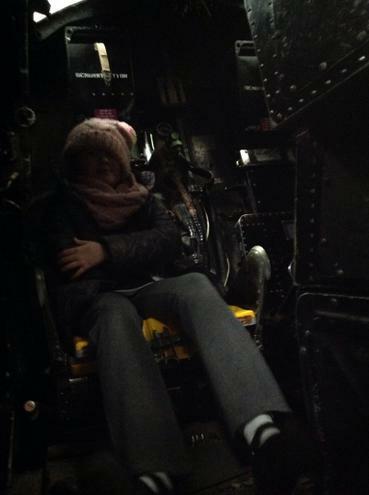 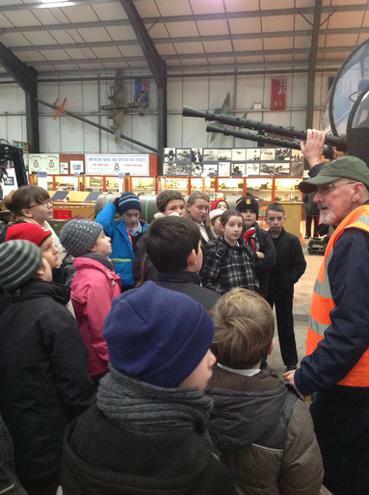 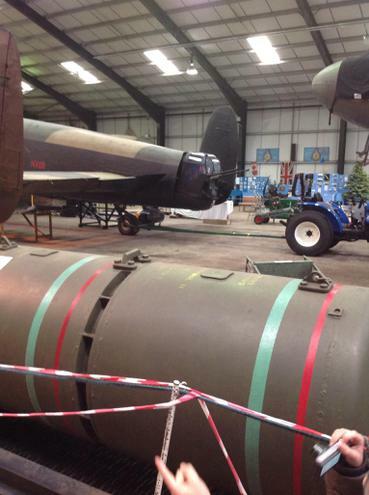 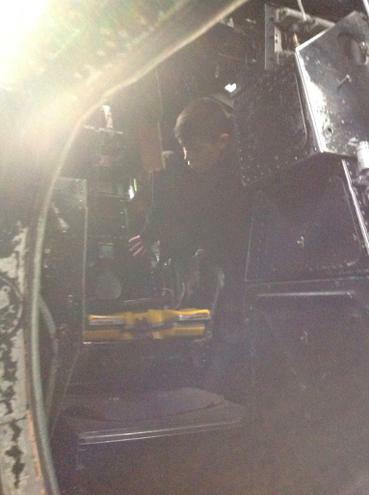 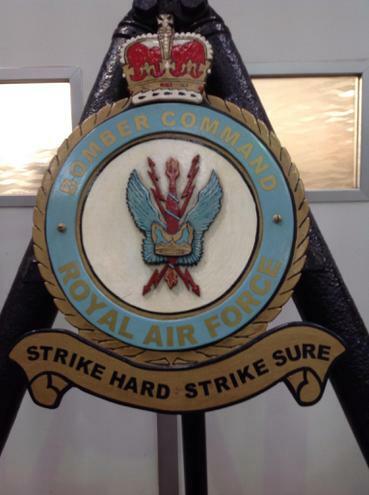 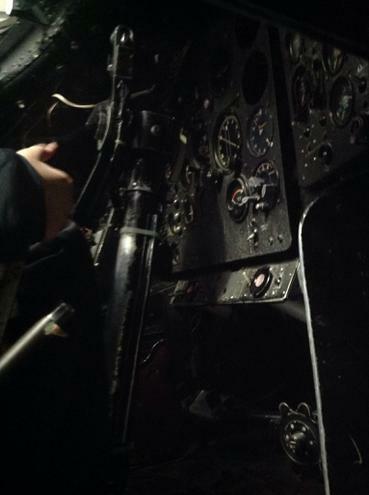 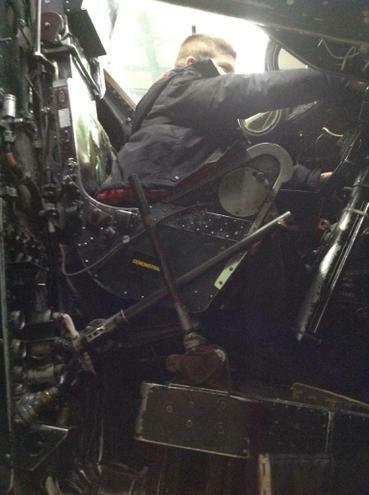 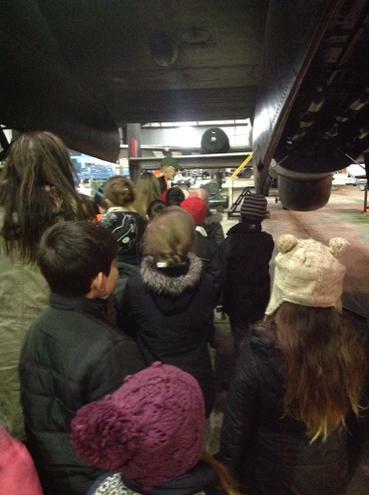 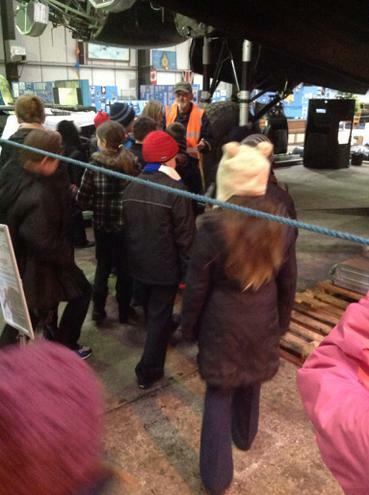 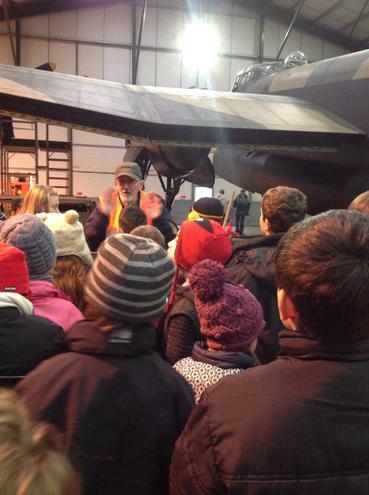 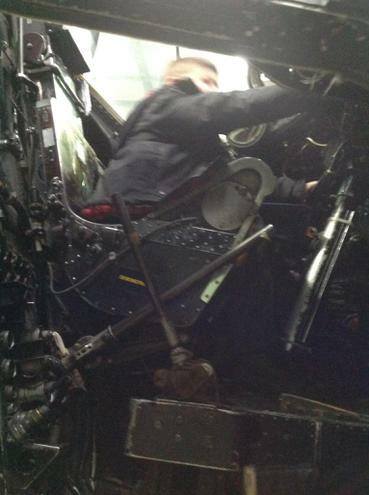 The children had a fantastic time with WW2 drills and a tour of the Lancaster bomber. 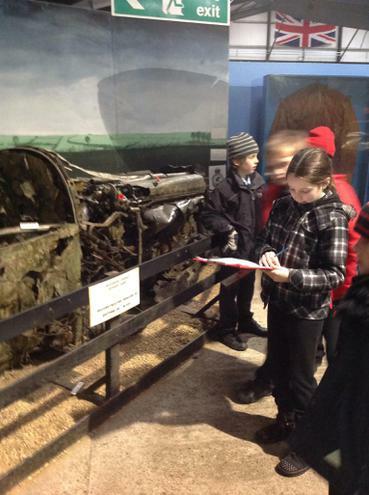 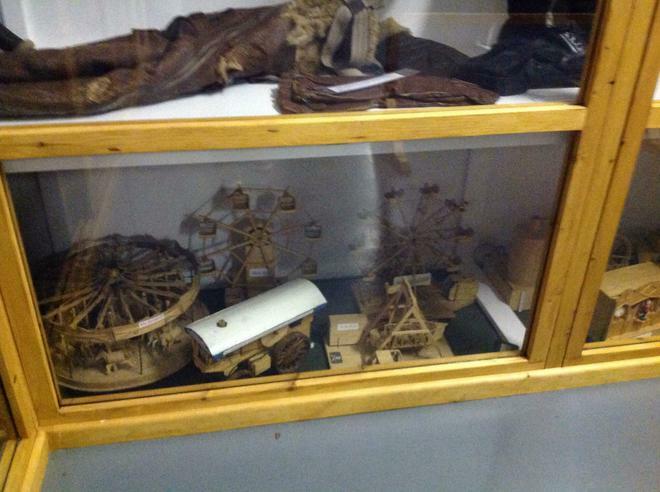 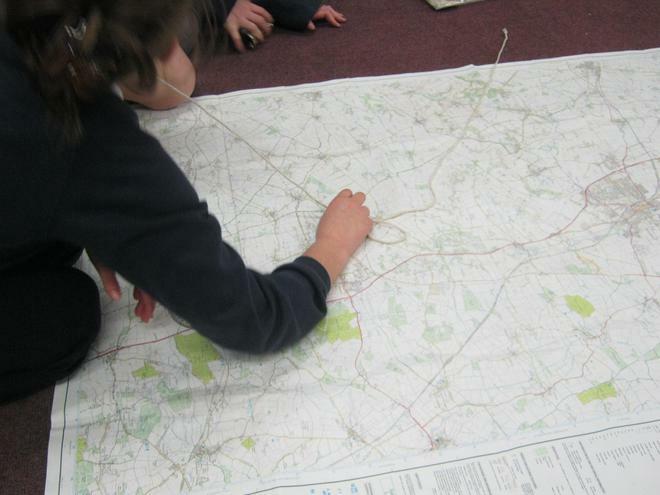 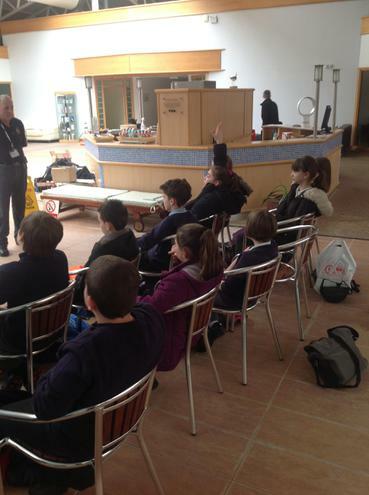 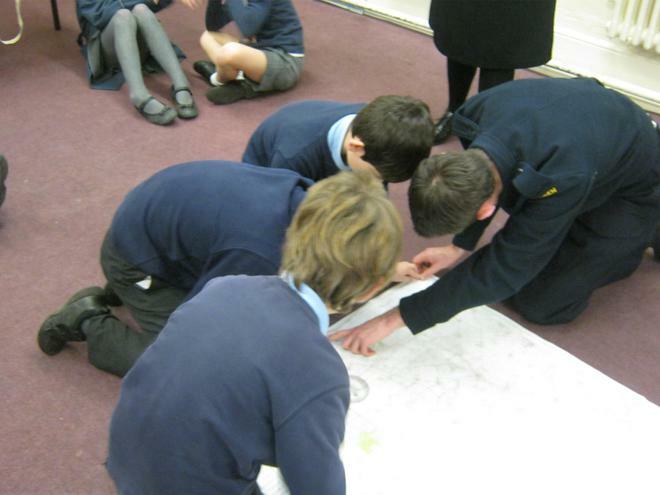 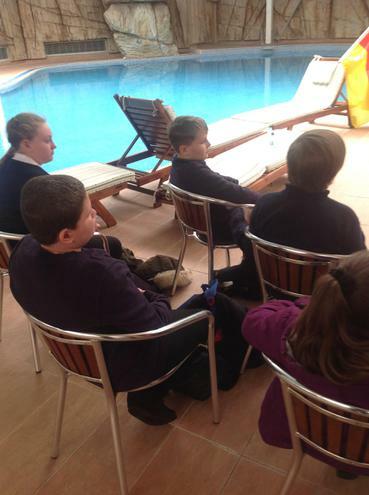 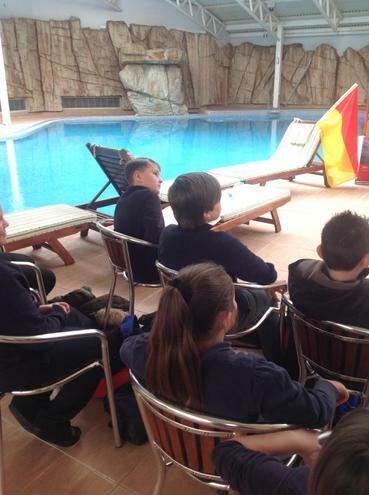 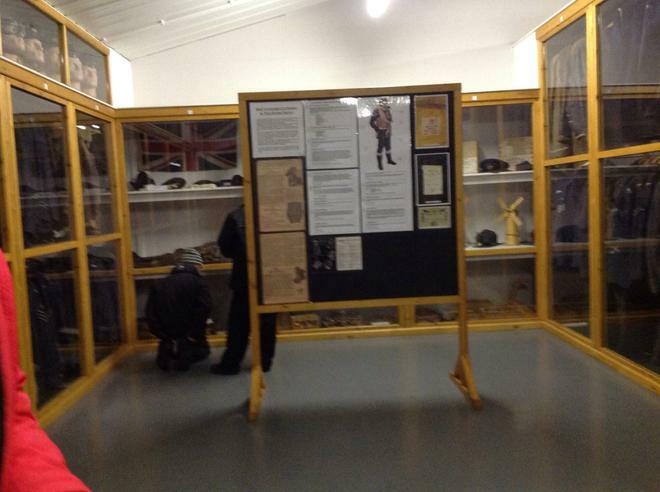 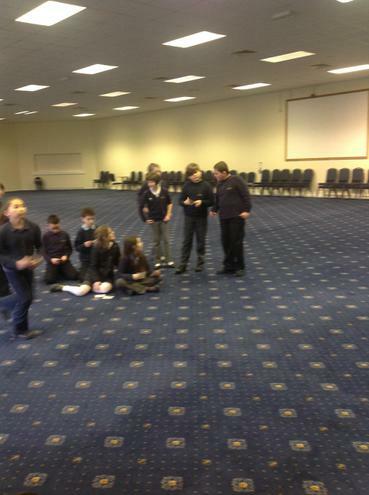 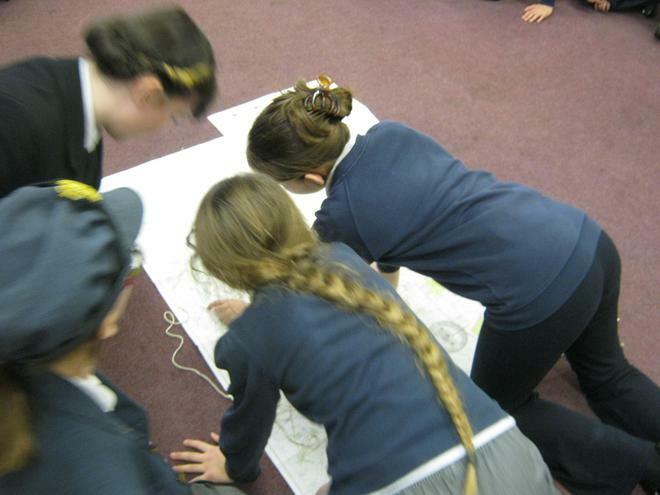 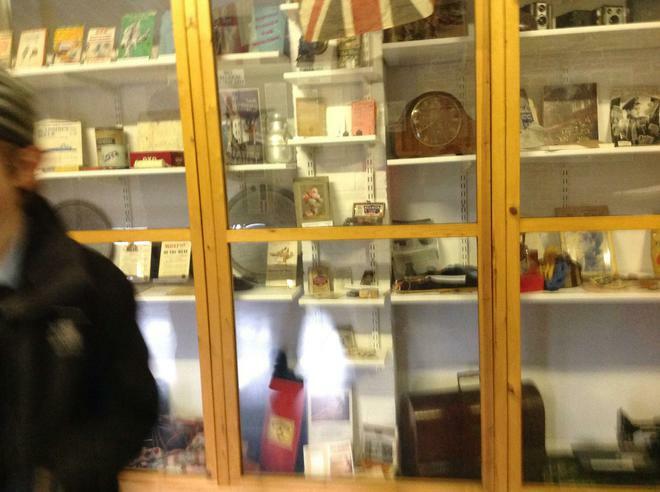 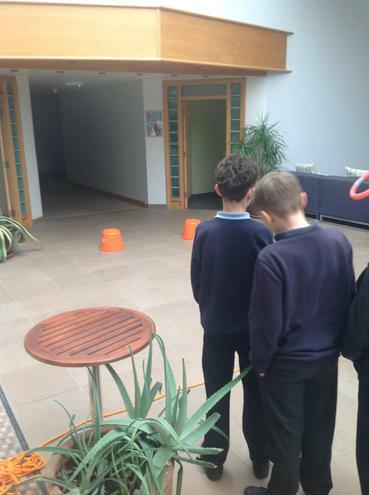 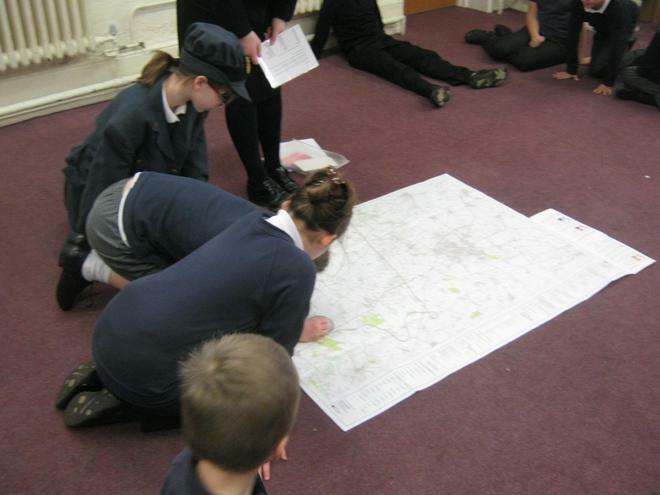 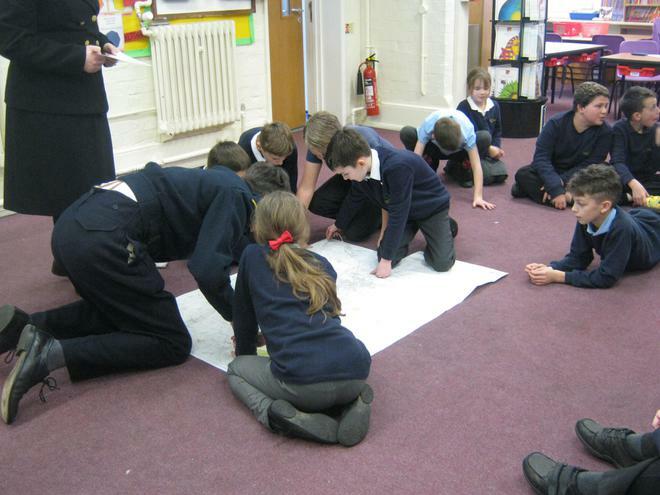 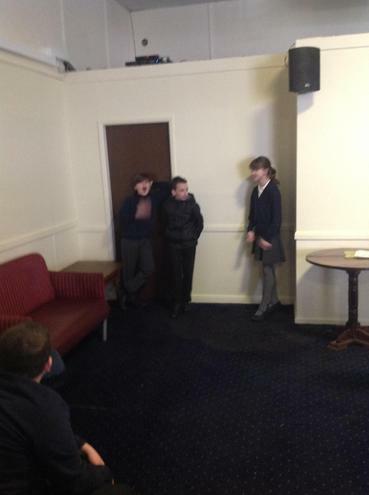 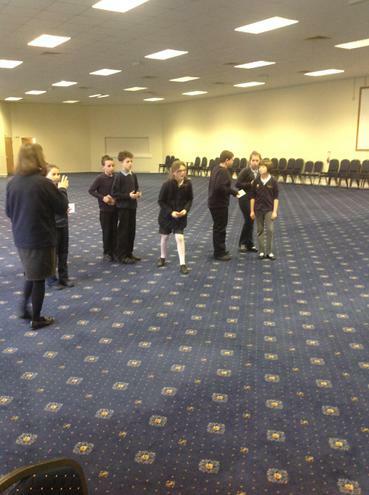 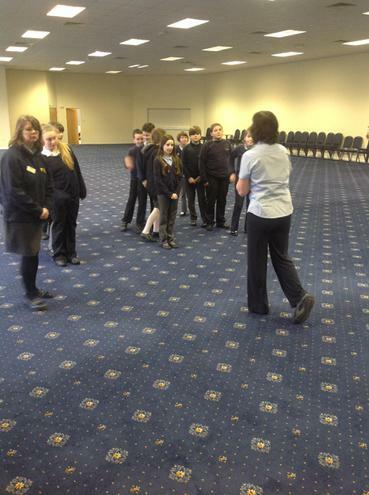 The class then explored the rest of the site that included the control tower and home front exhibition. 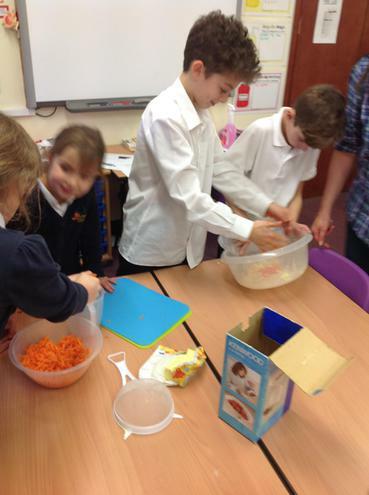 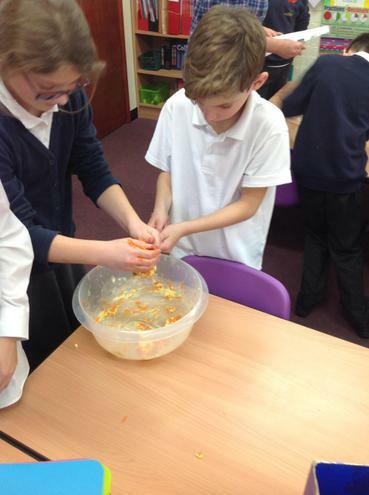 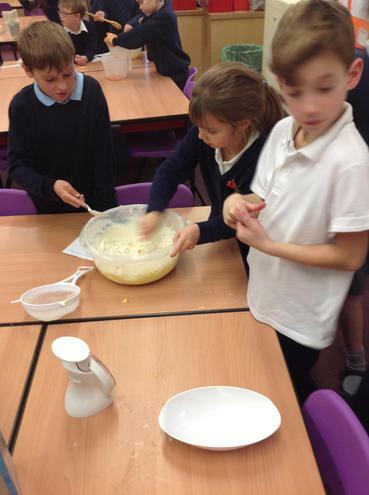 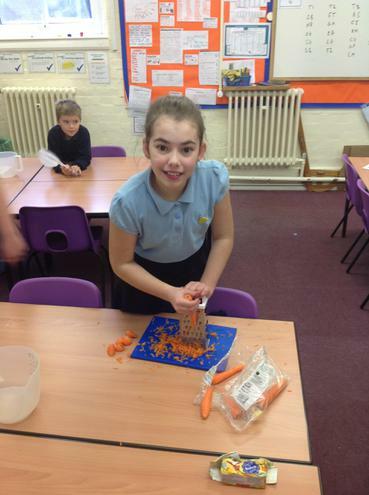 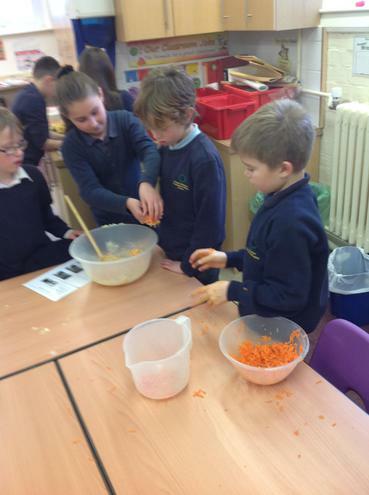 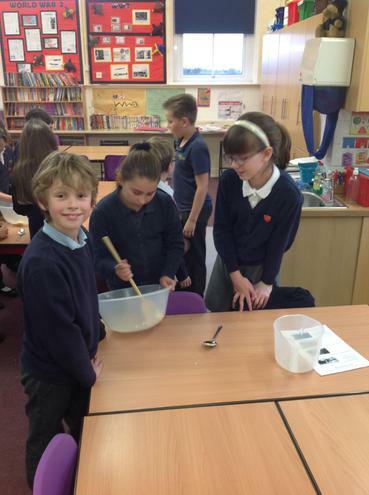 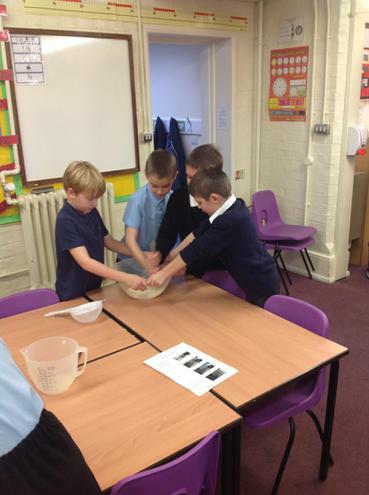 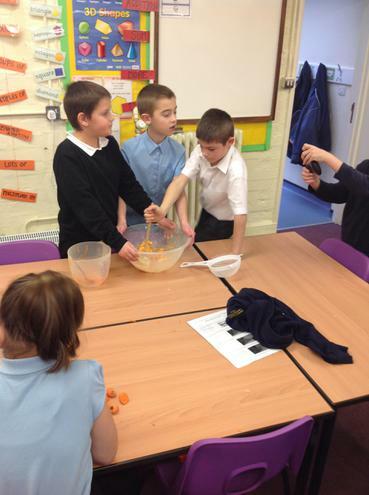 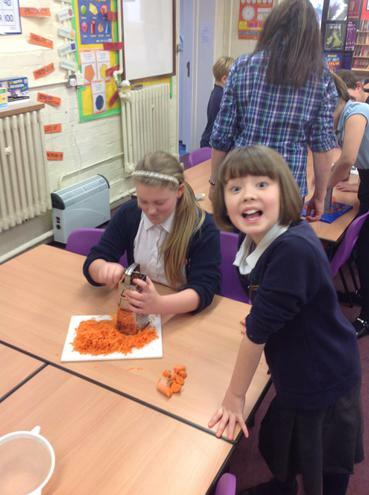 Today Oak Class have been making carrot cookies! 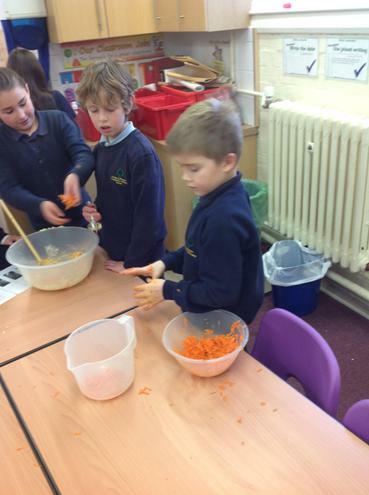 These cookies were made during WW2 and the carrot was added to make the cookies sweet due to the lack of sugar in England at the time. 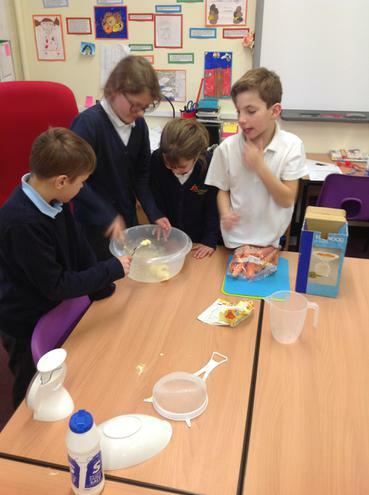 How did they taste?